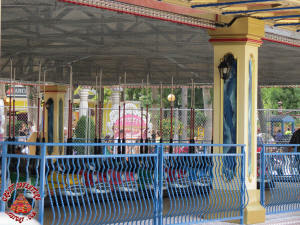 Originally home to the Super Round Up ride, the area next to the Dream Street Skyride Station has always been a prime location in the park. 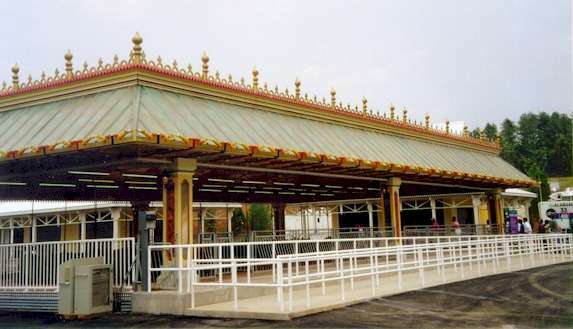 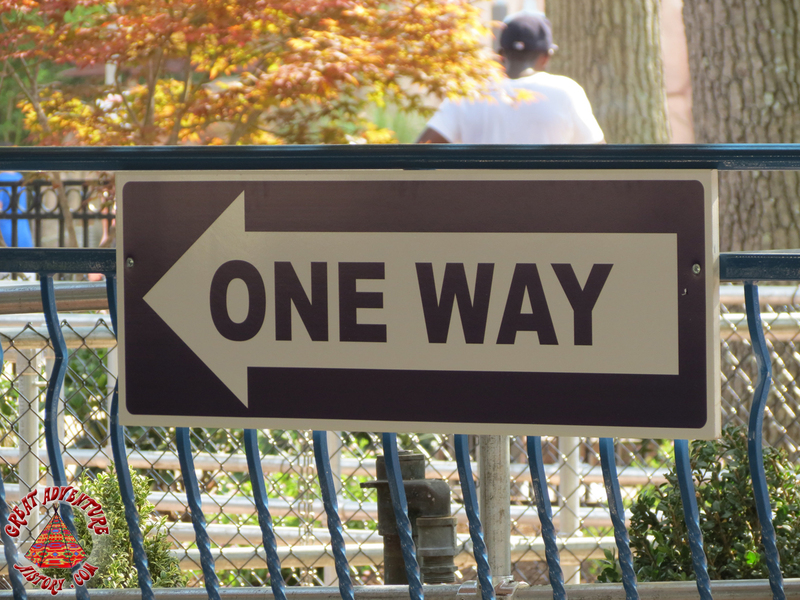 In 1999, the same area became home to the new Evolution ride which was added as part of the "War On Lines" and was the first of its kind in the United States. 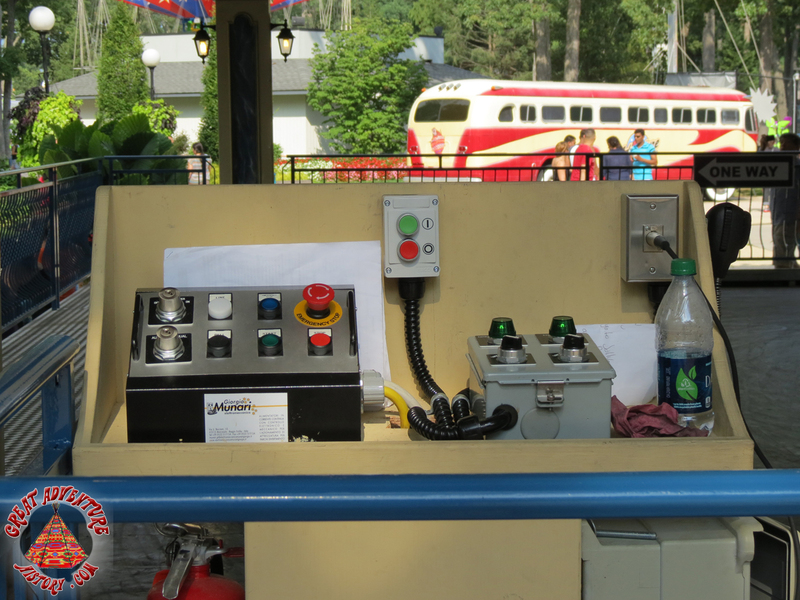 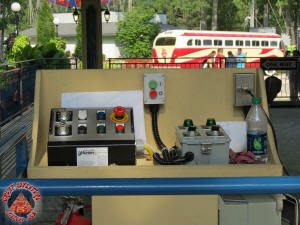 The Evolution ride was plagued with operating problems and required modifications. 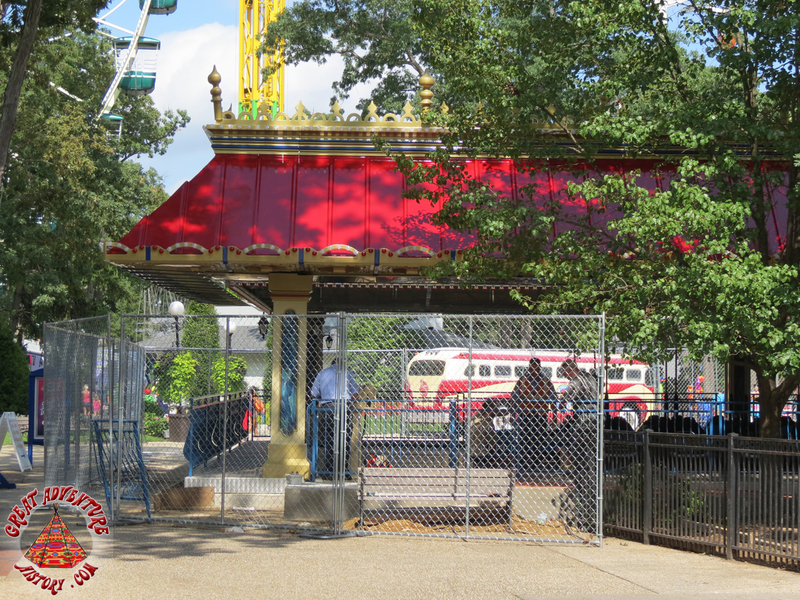 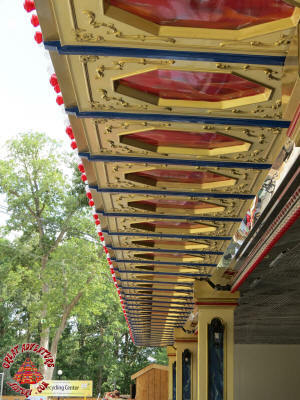 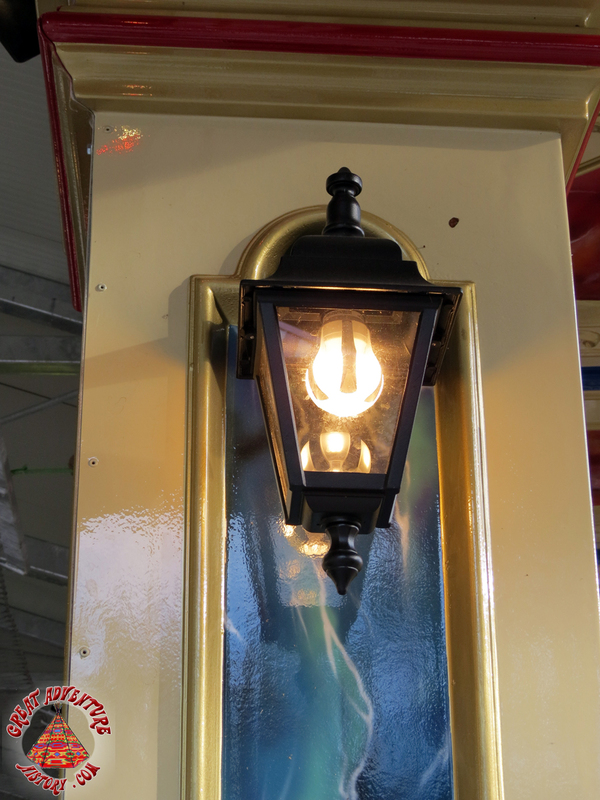 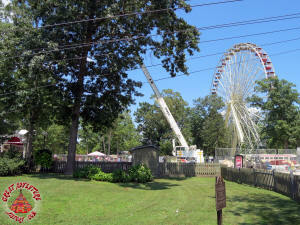 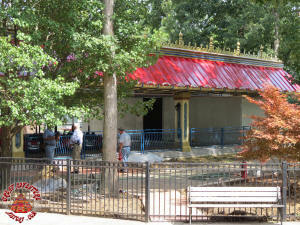 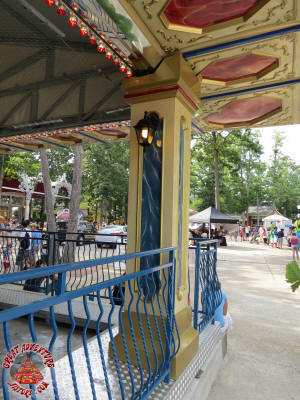 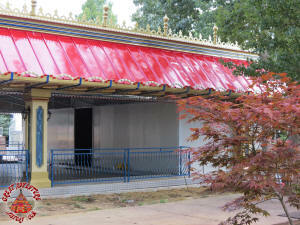 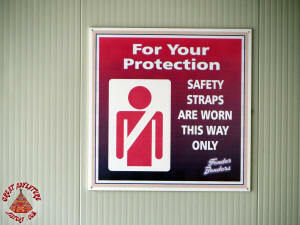 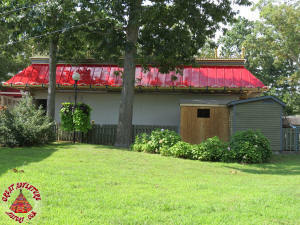 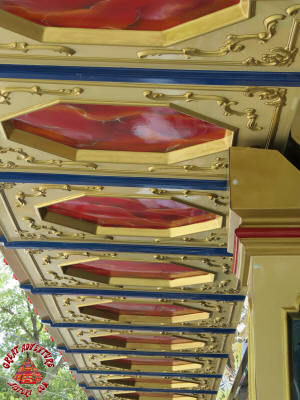 It was relocated to Six Flags Saint Louis in 2003. 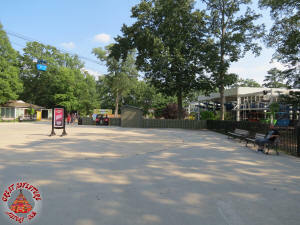 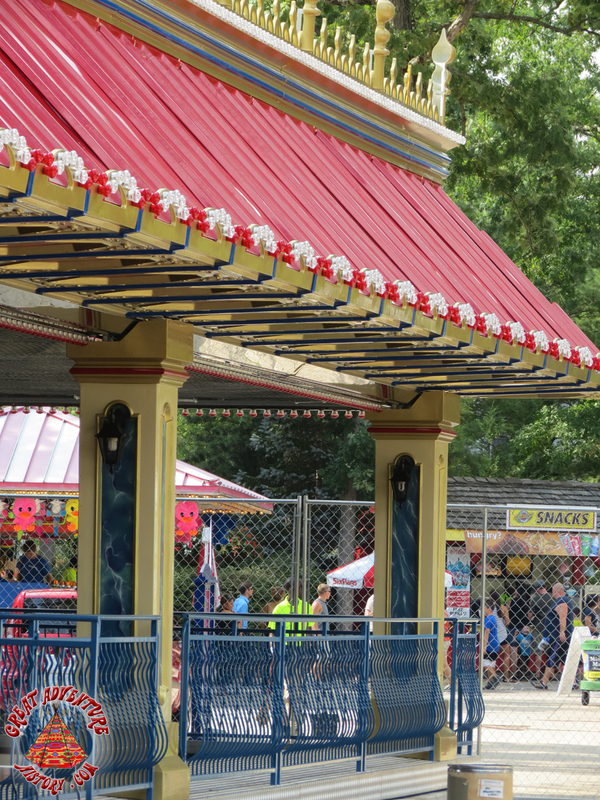 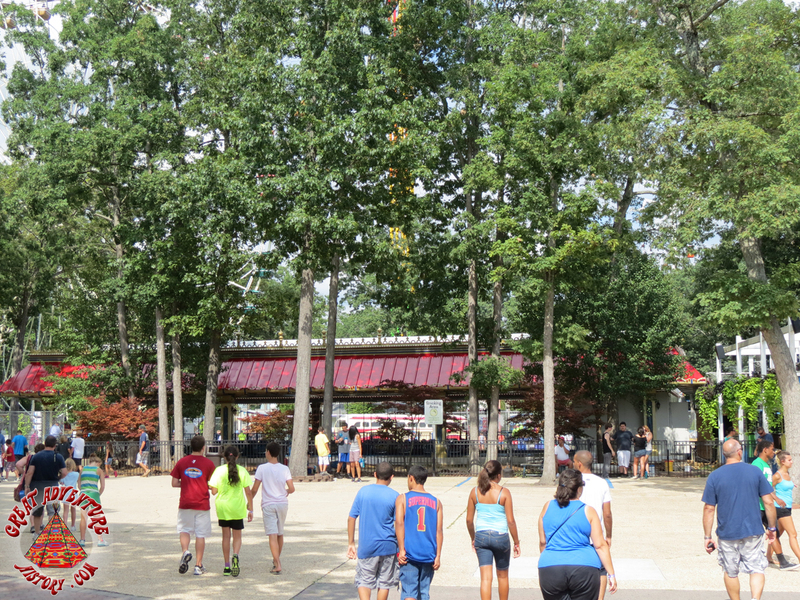 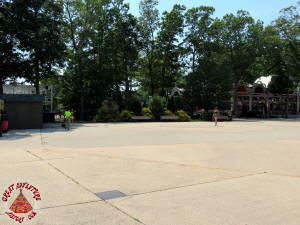 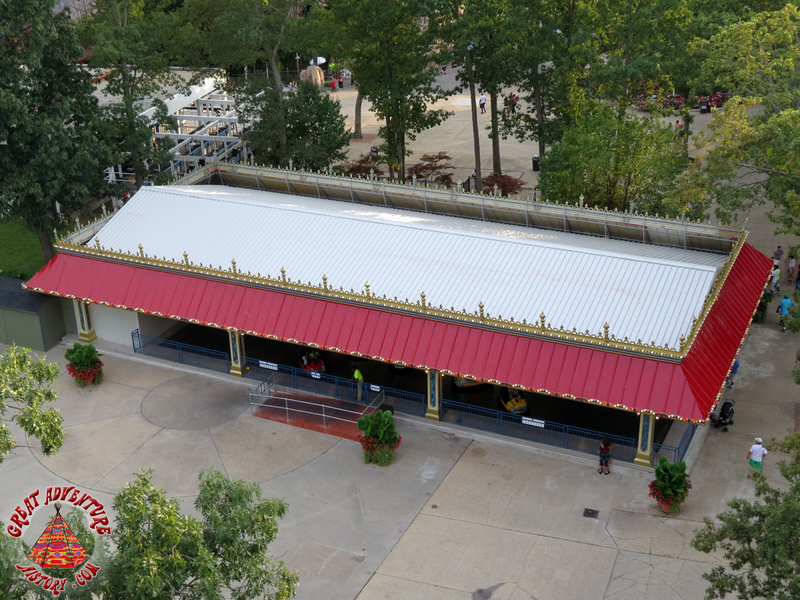 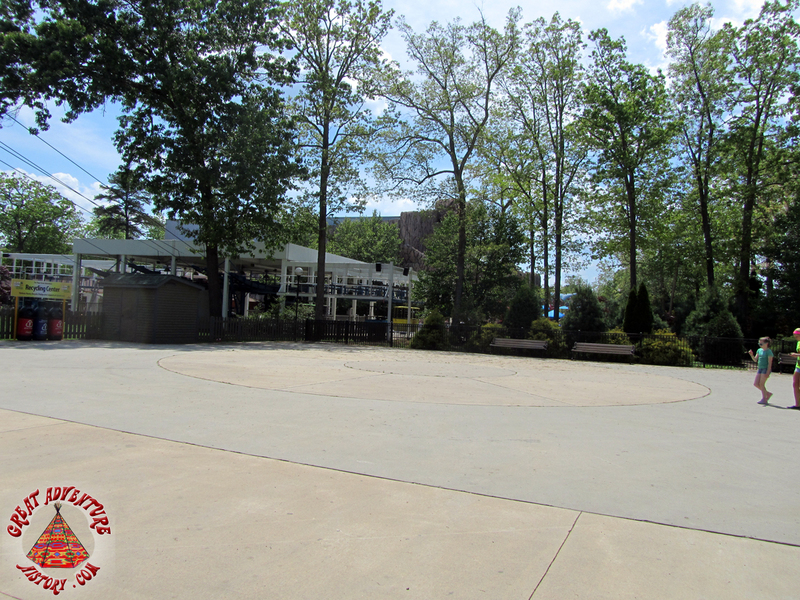 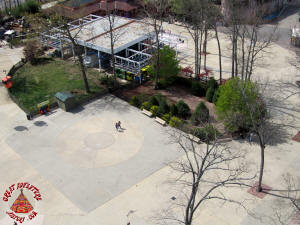 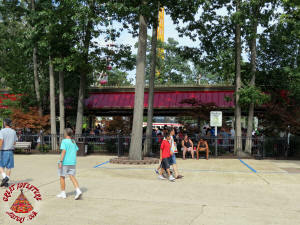 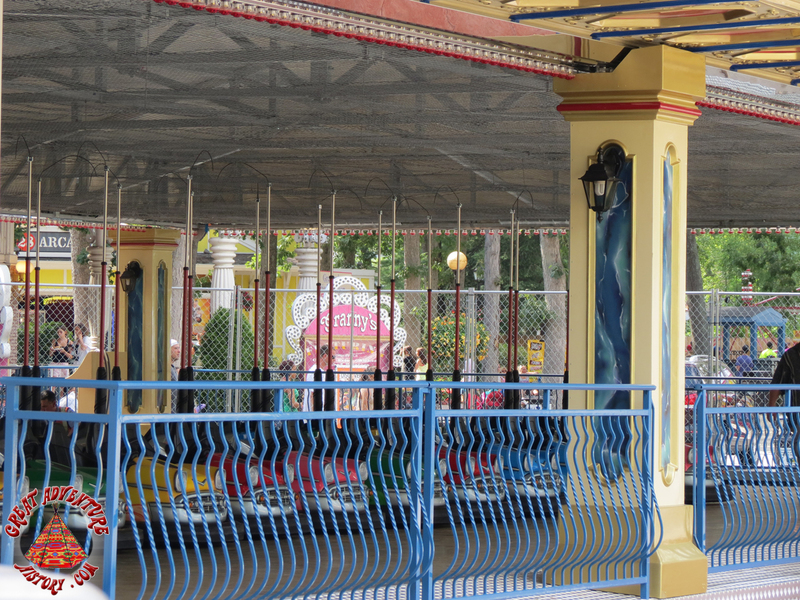 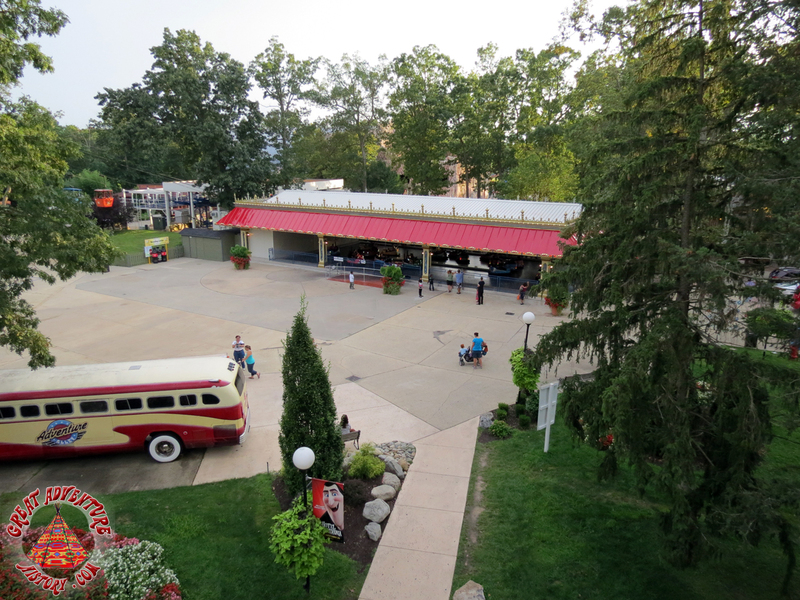 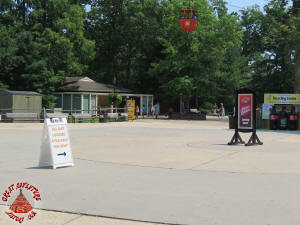 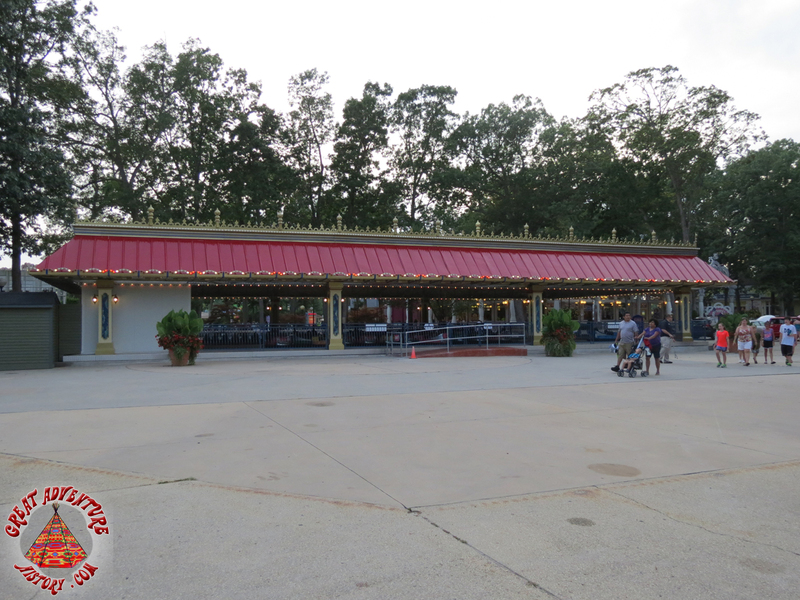 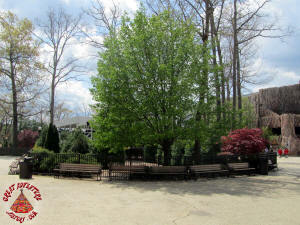 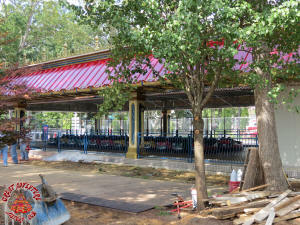 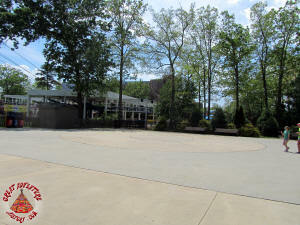 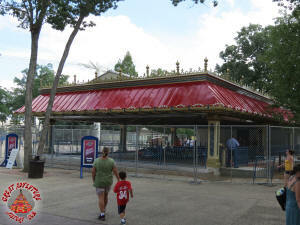 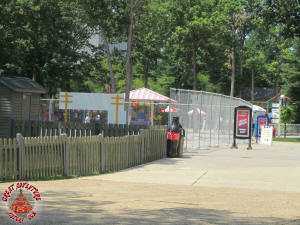 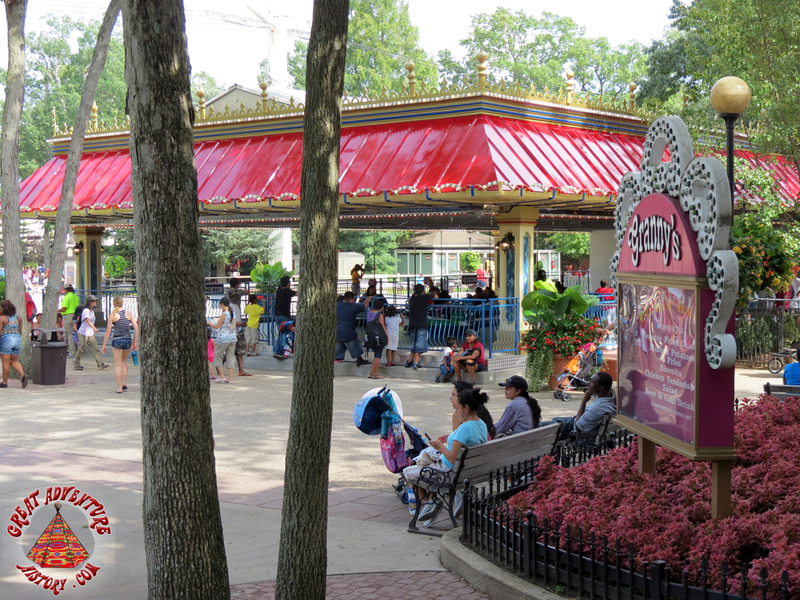 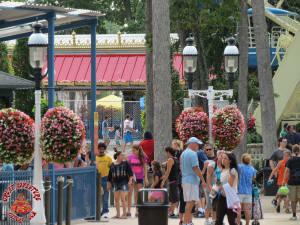 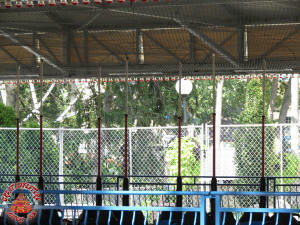 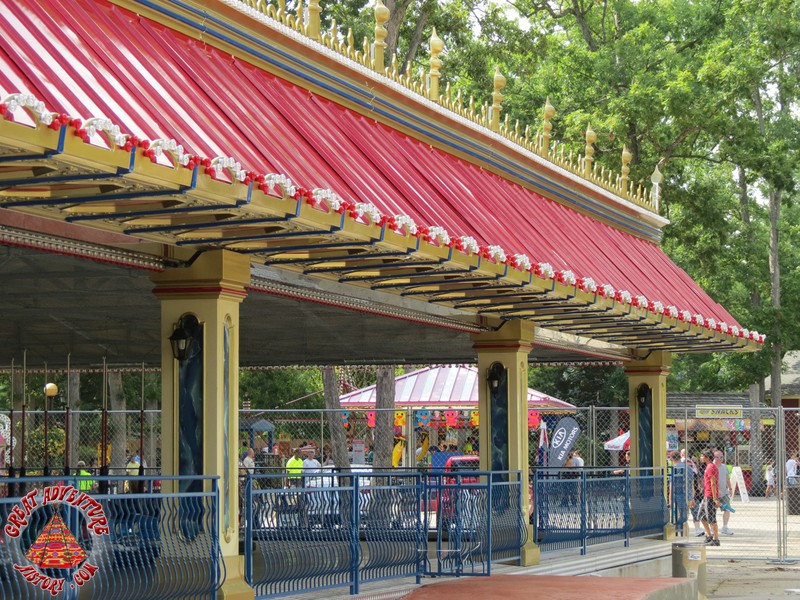 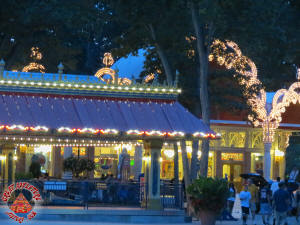 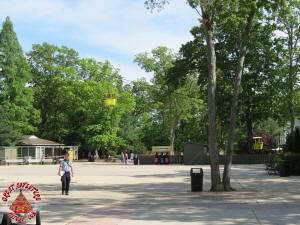 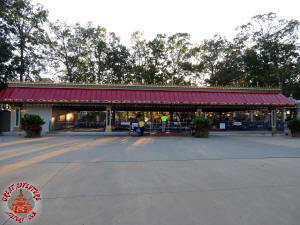 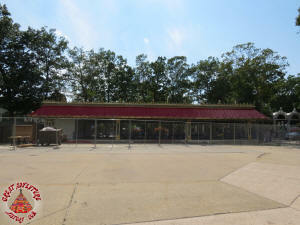 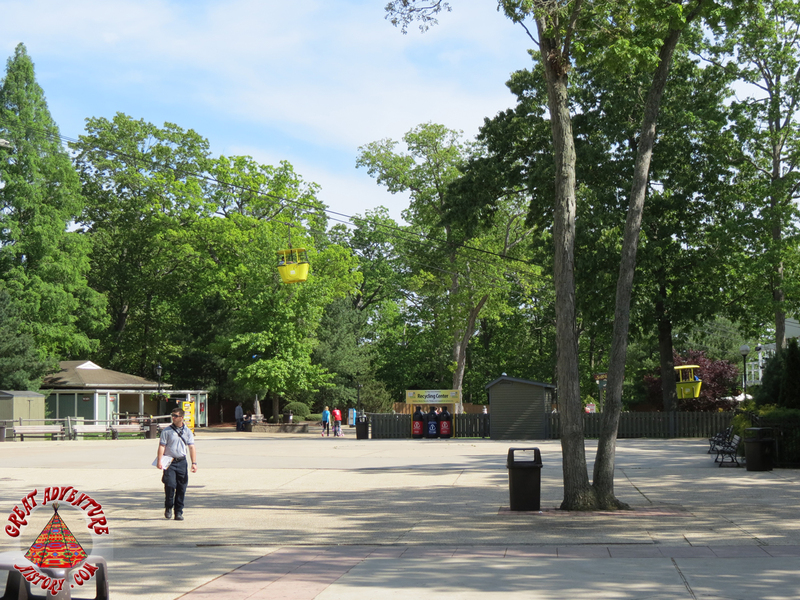 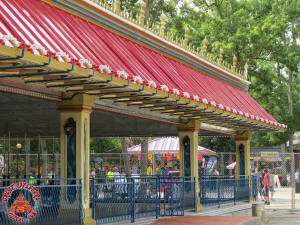 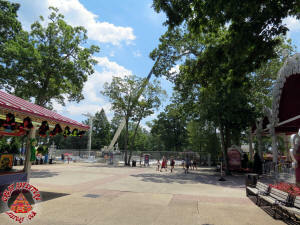 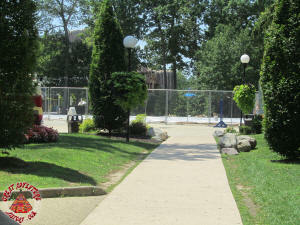 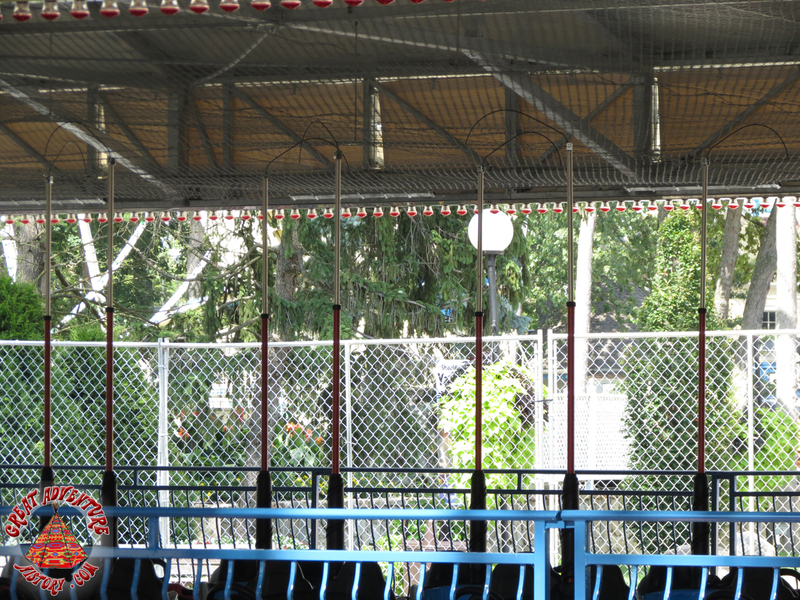 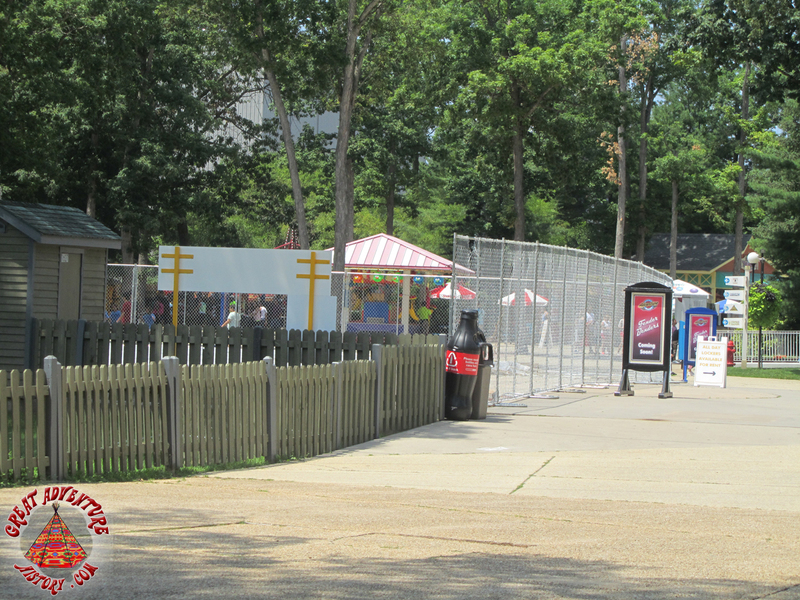 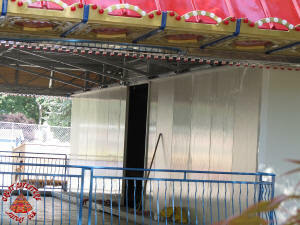 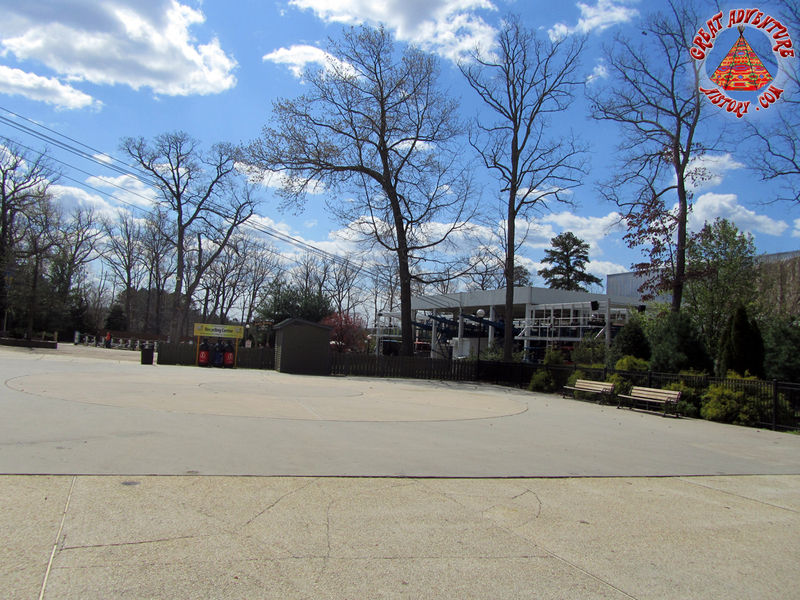 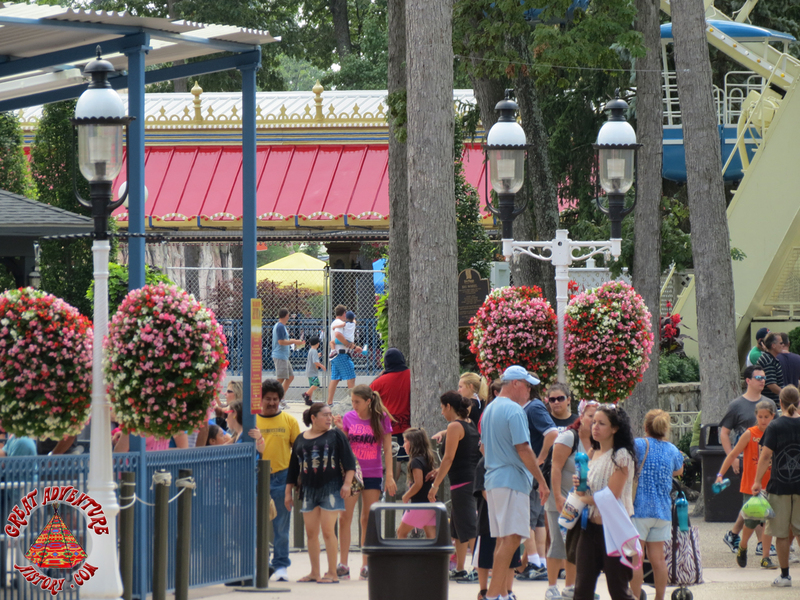 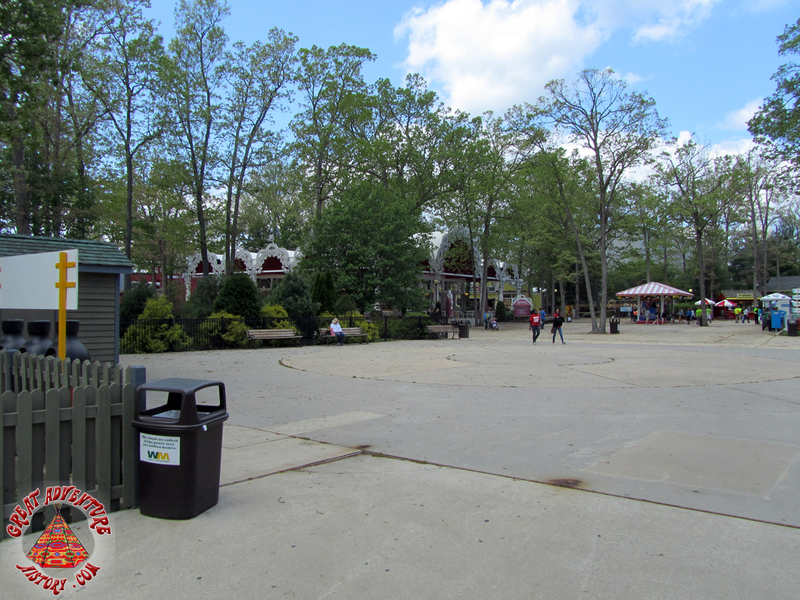 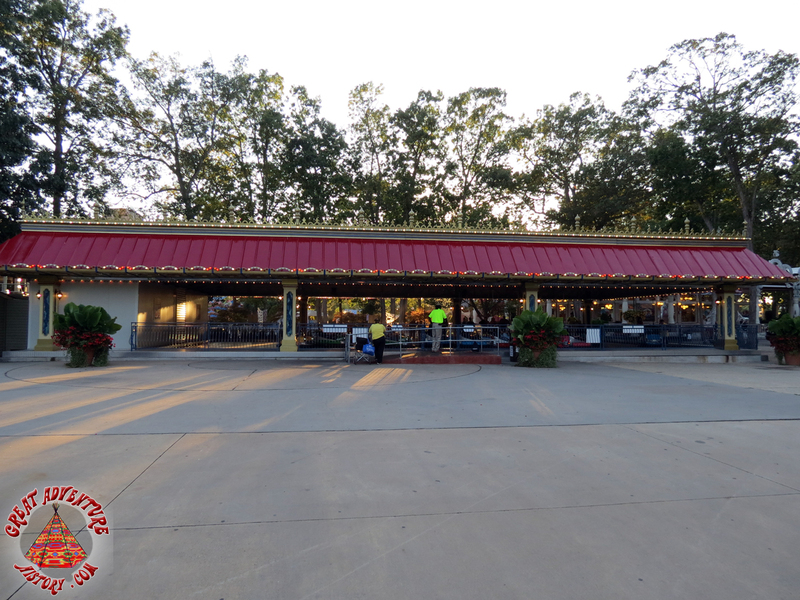 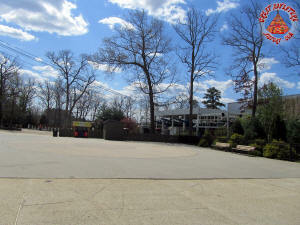 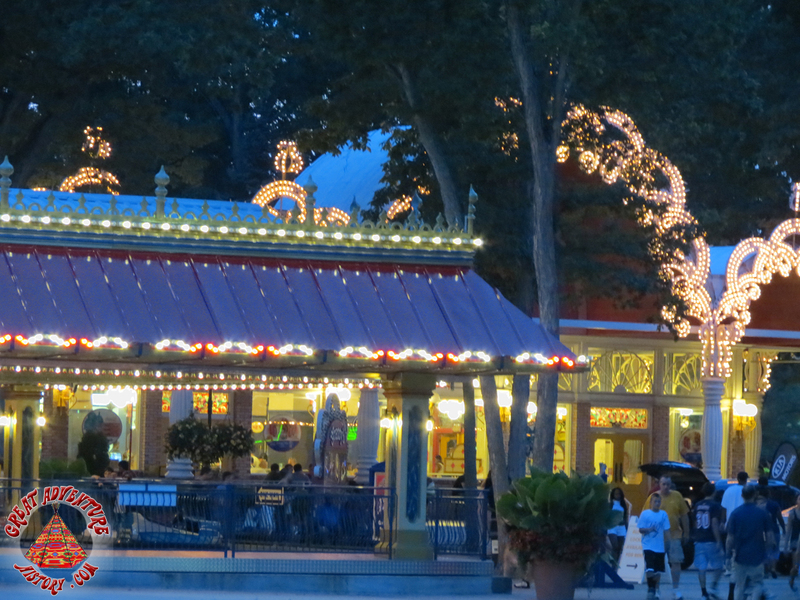 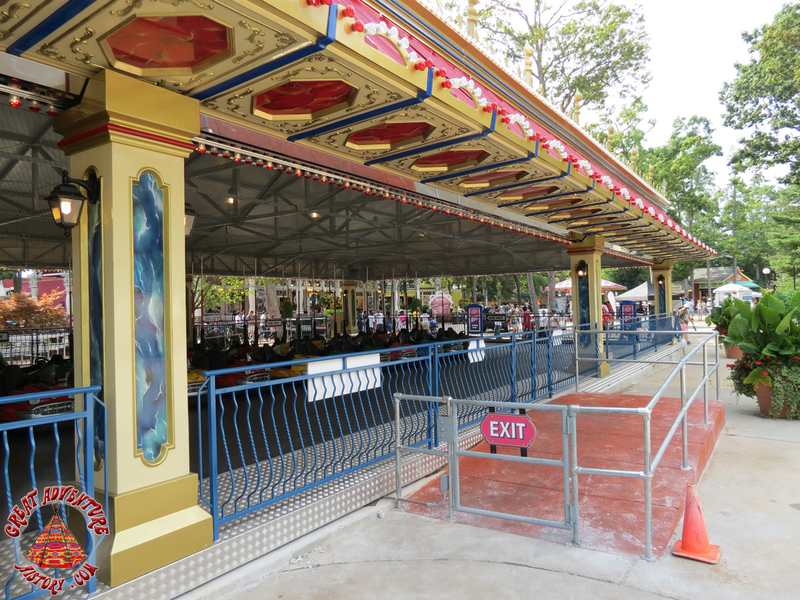 The ride area sat vacant for several seasons, and over time became known as Playtime Plaza where special events and temporary displays were located throughout the season. 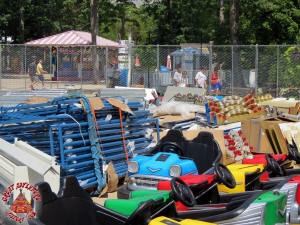 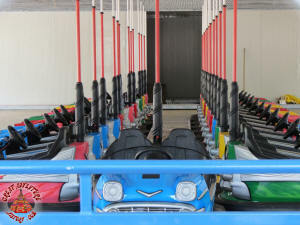 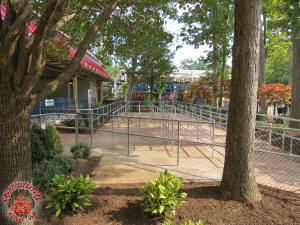 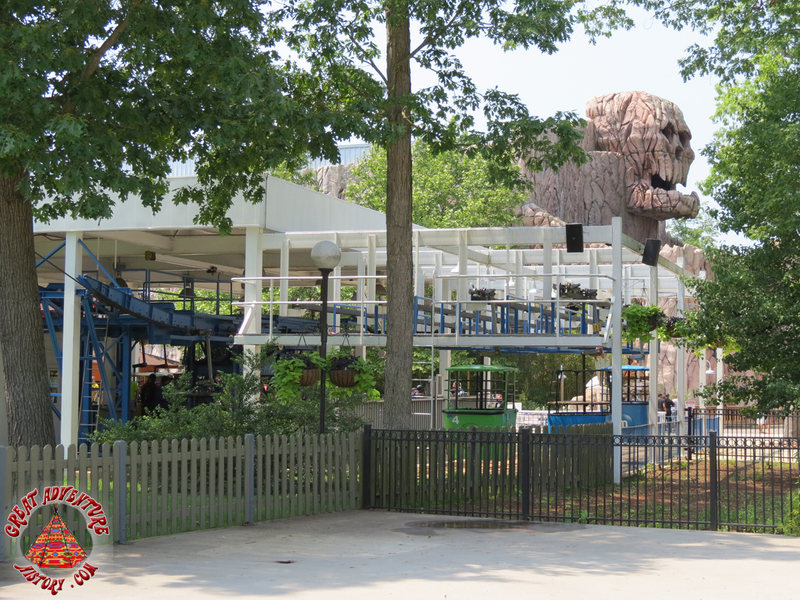 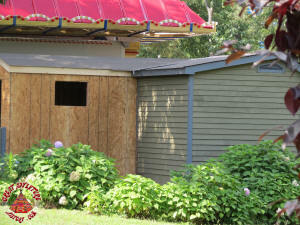 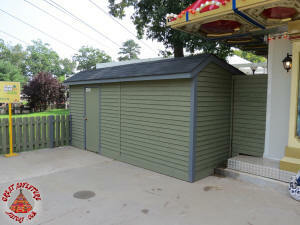 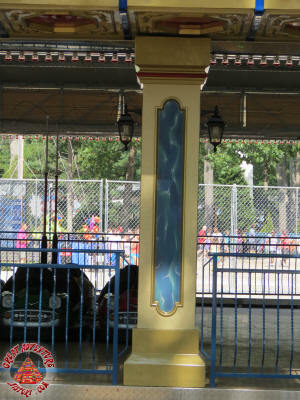 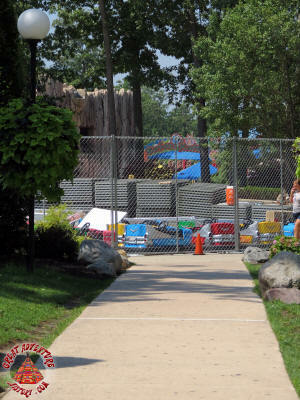 For the 2012 season a series of classic rides was reintroduced to the park as part of the new Adventure Alley area of the park, revitalizing a section that had lost many rides over the seasons. 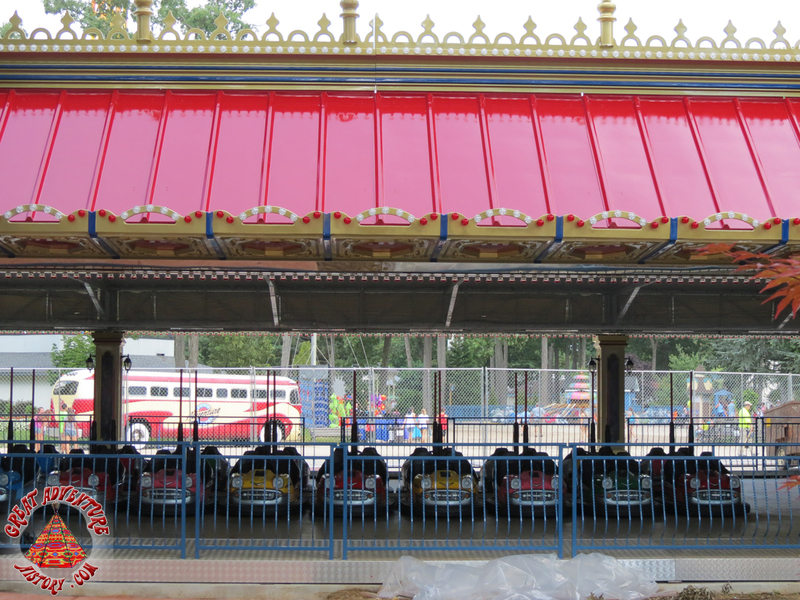 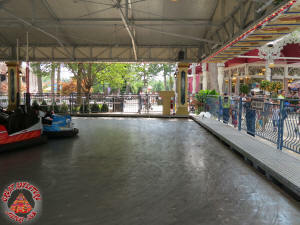 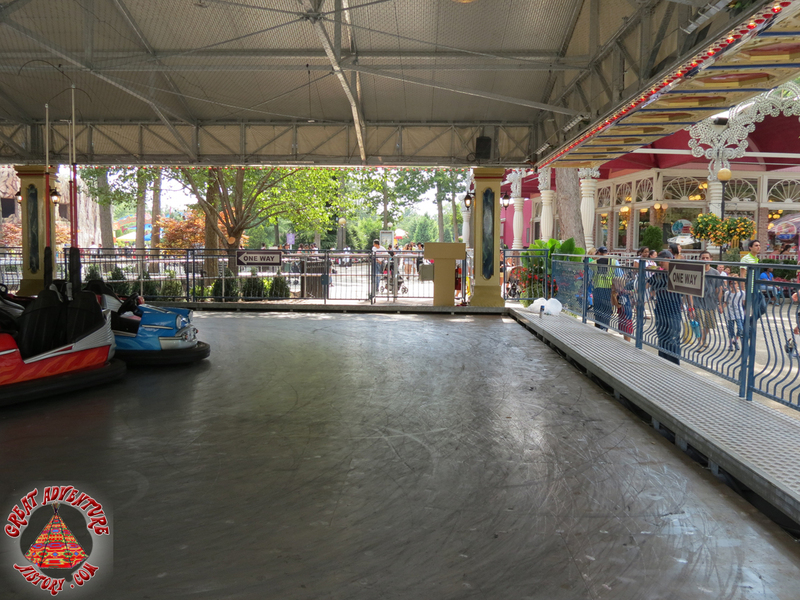 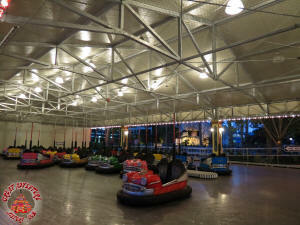 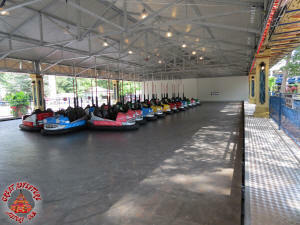 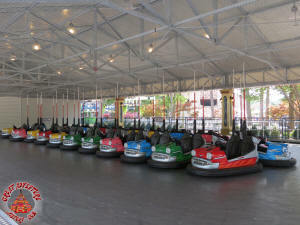 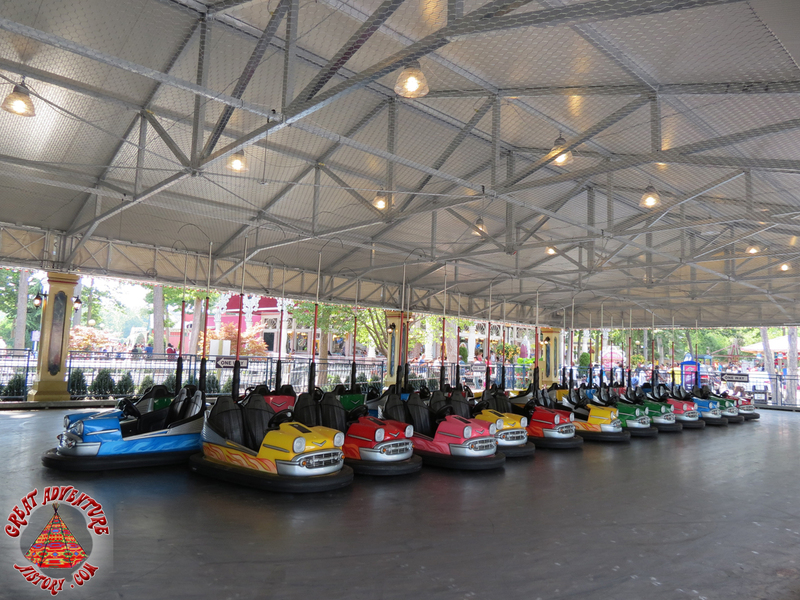 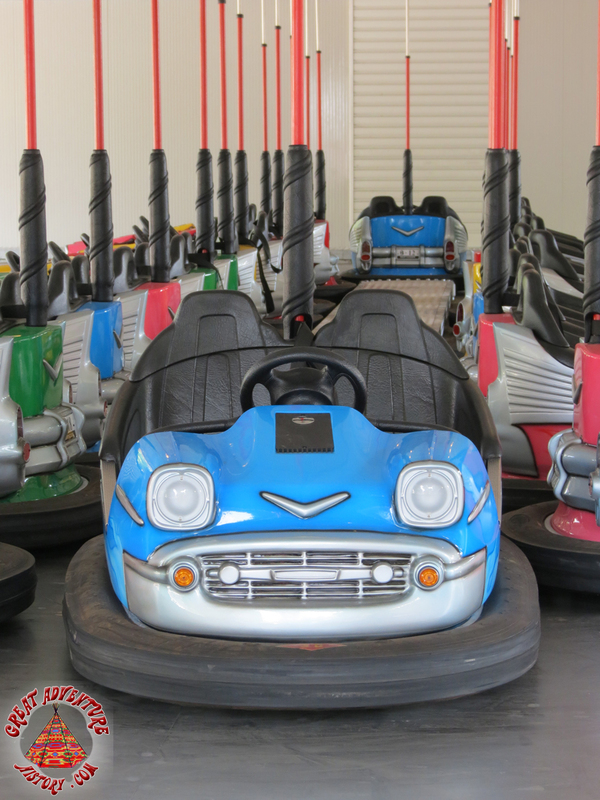 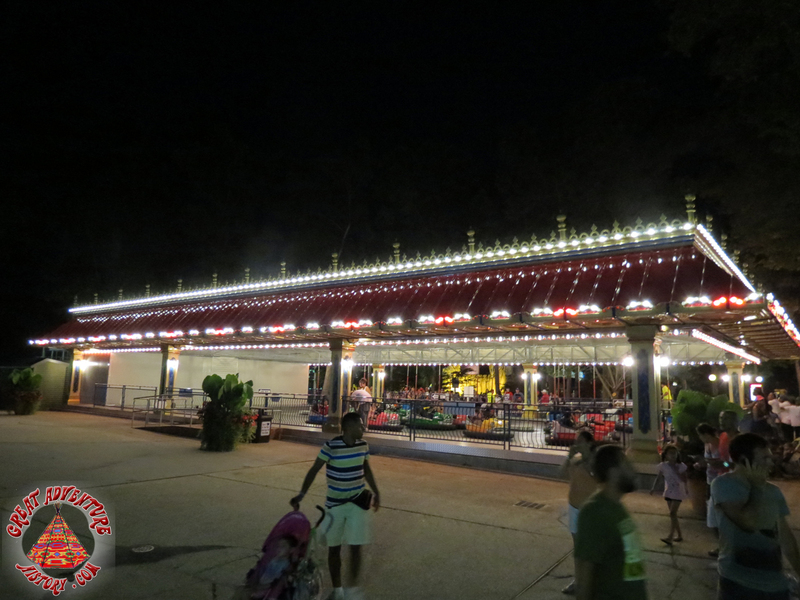 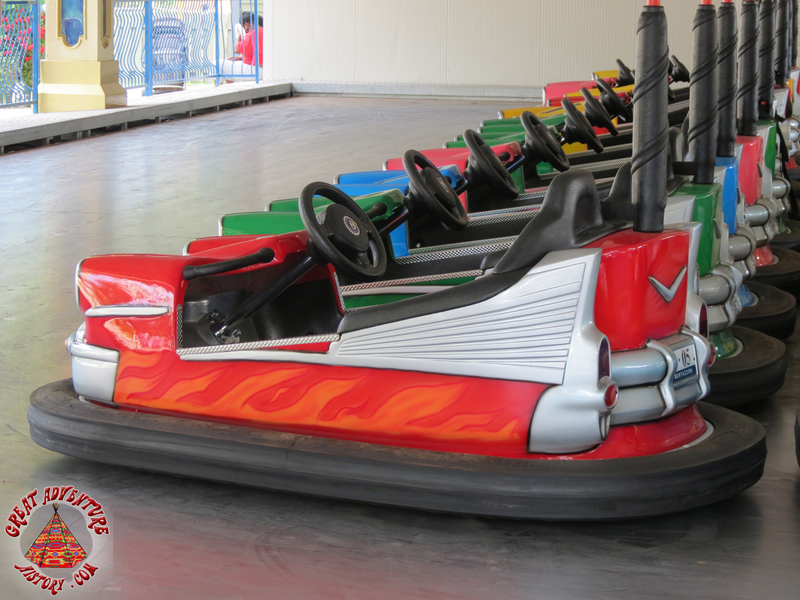 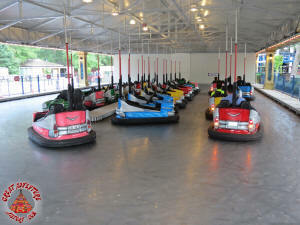 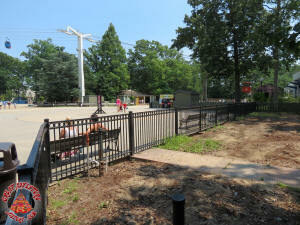 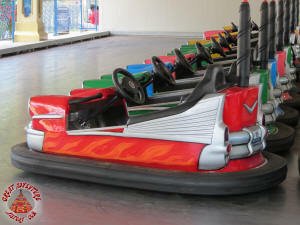 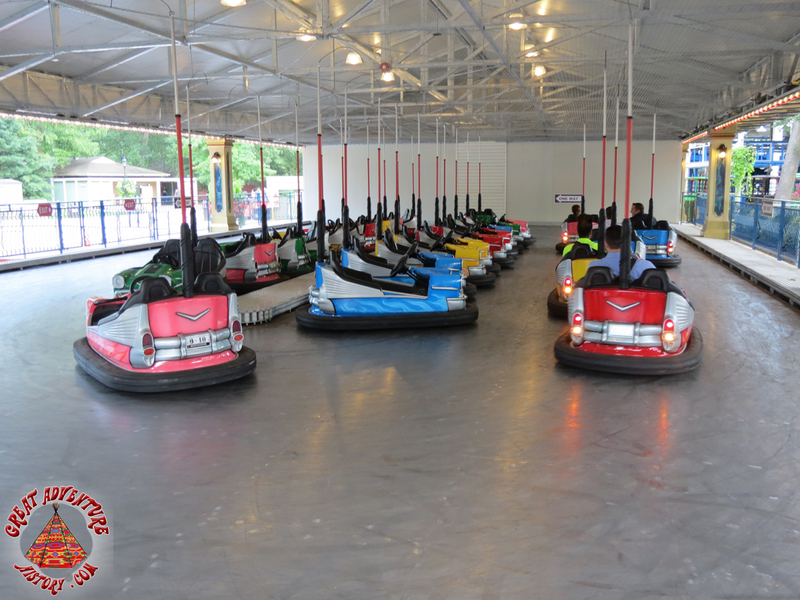 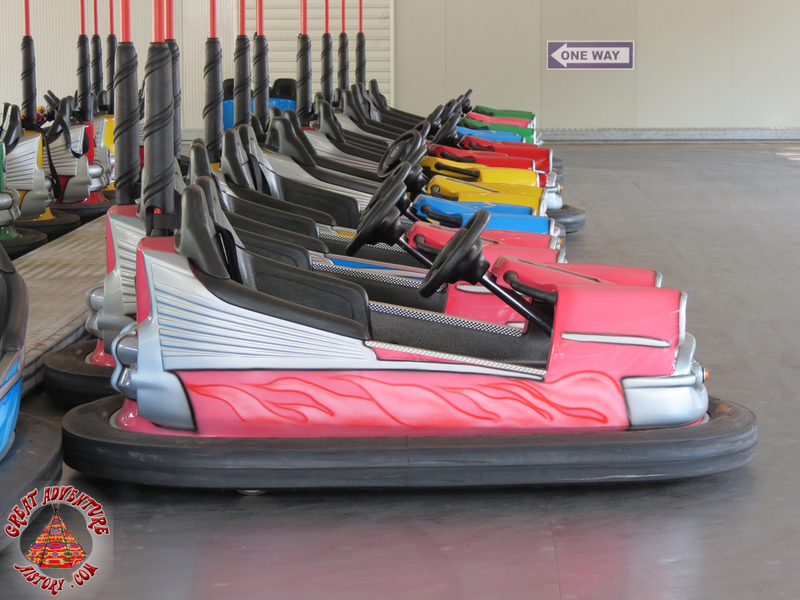 The large Evolution site was ideal for introducing a new bumper car ride. 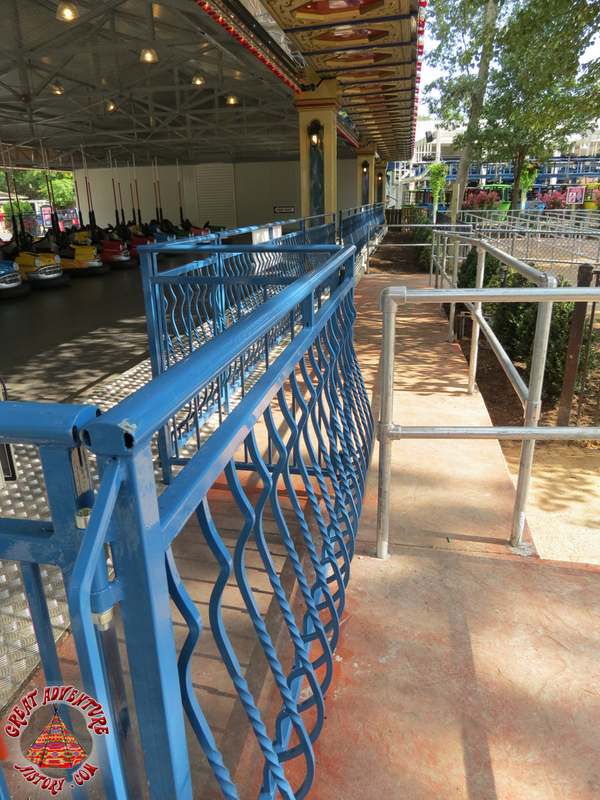 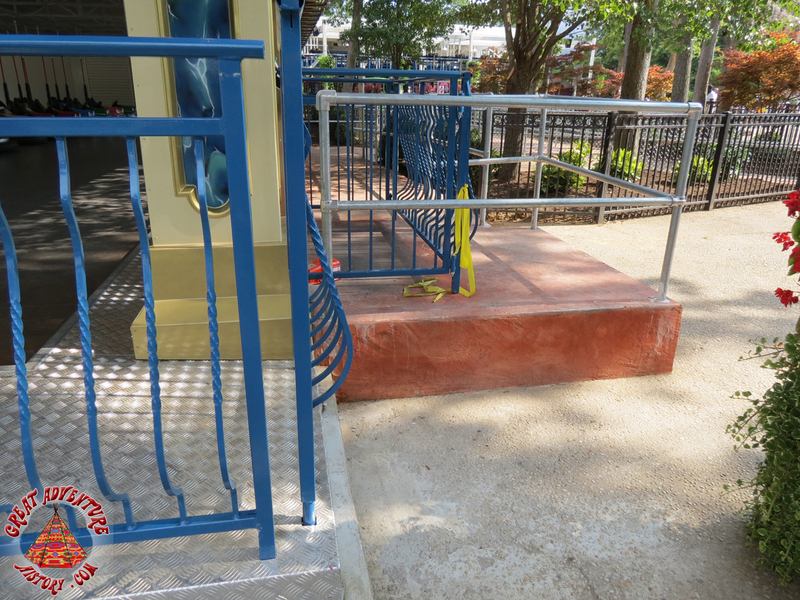 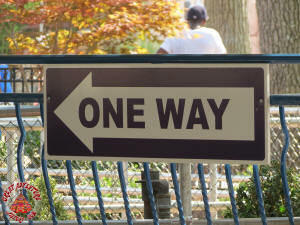 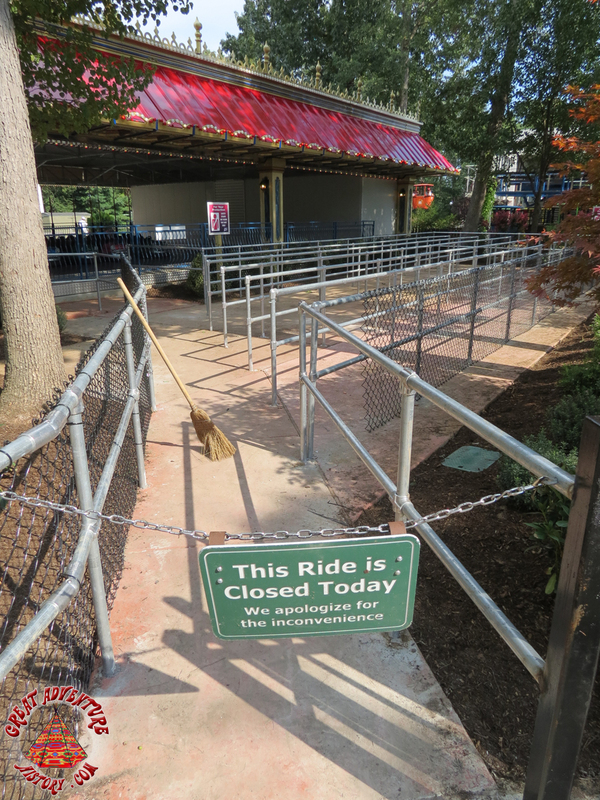 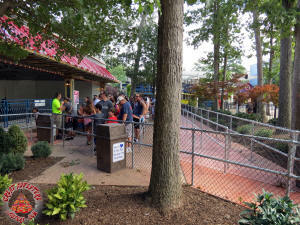 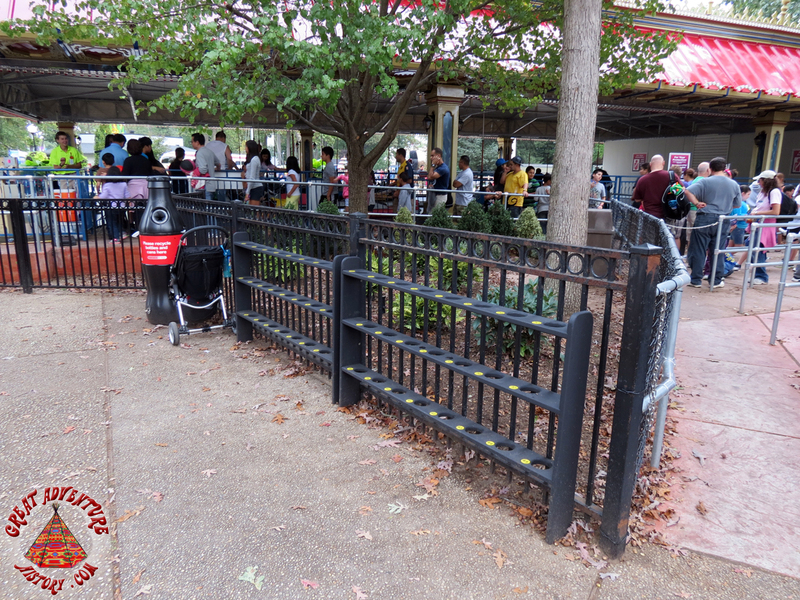 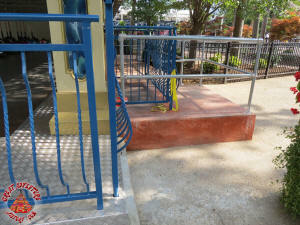 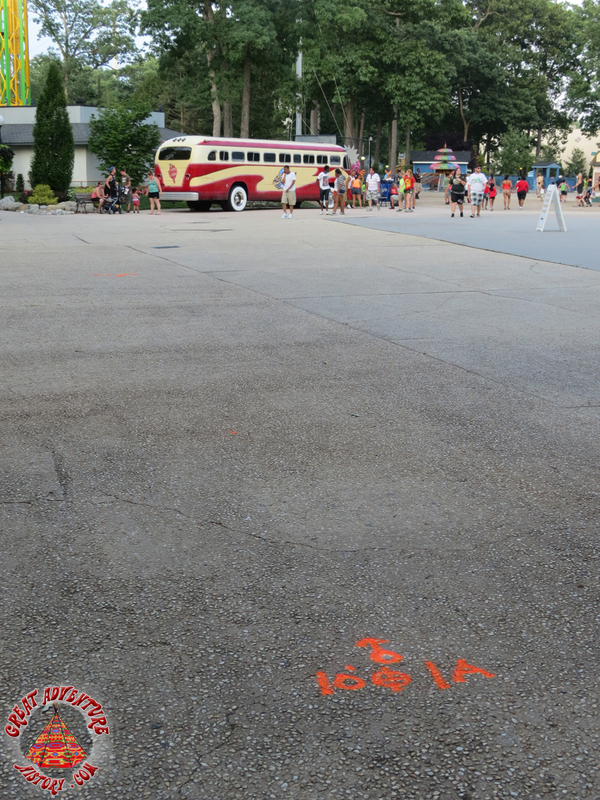 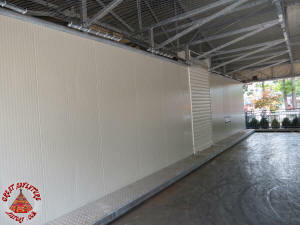 The old Evolution queue was even re-used for the new Fender Bender bumper car queue. The Fender Benders ride took the name of the park's second bumper car ride which was introduced in 1975. 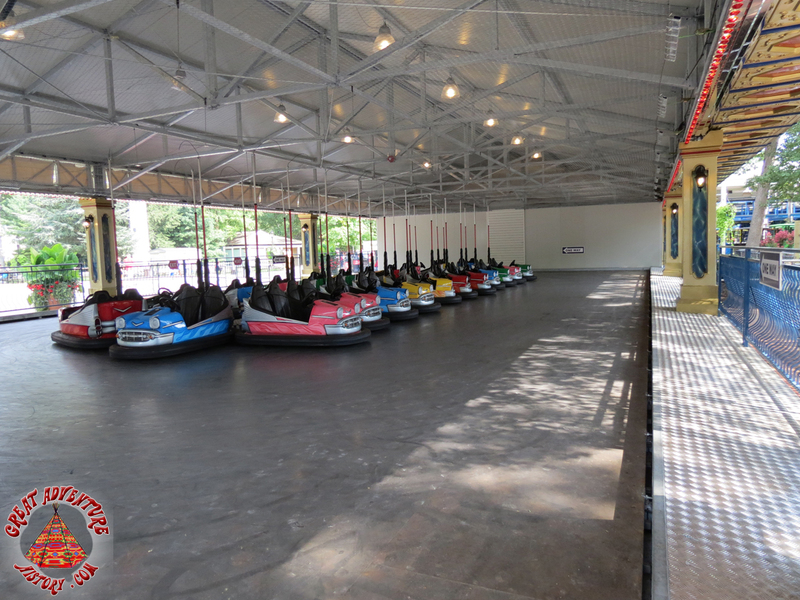 When the park opened in 1974 the Traffic Jam bumper cars were the "world's largest bumper car ride" only to be eclipsed in 1975 when the even larger Skooter (later known as the Fender Bender) was added to the new Fun Fair section of the park. 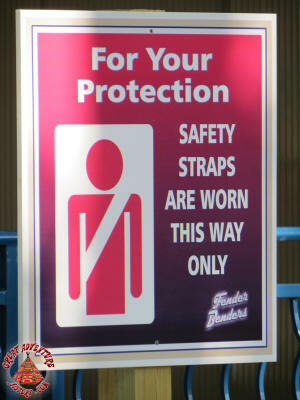 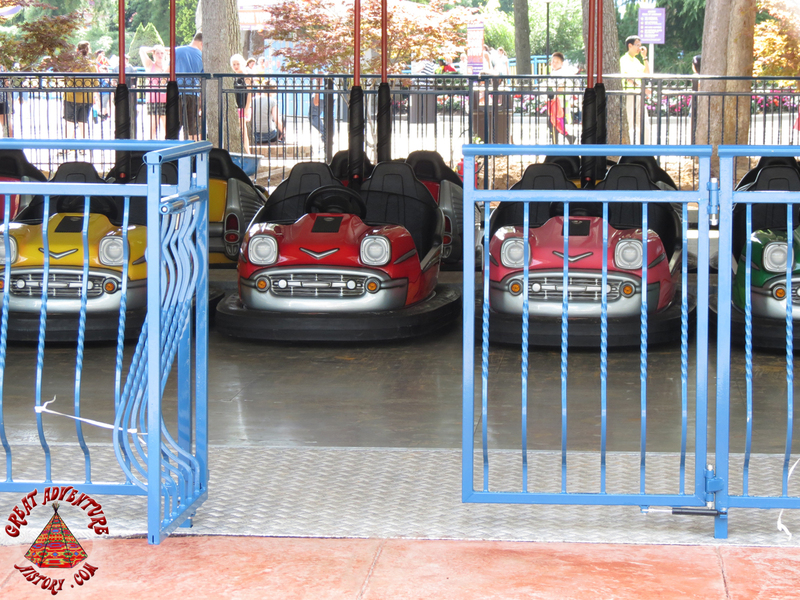 The original Fender Bender ride was removed after 1987 season and Traffic Jam was removed prior to the 1993 season. 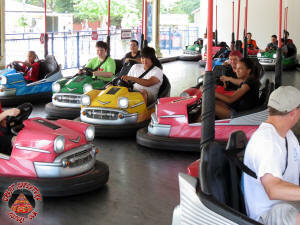 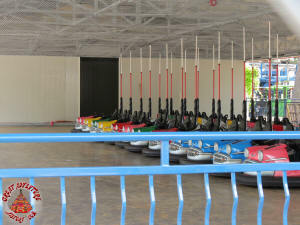 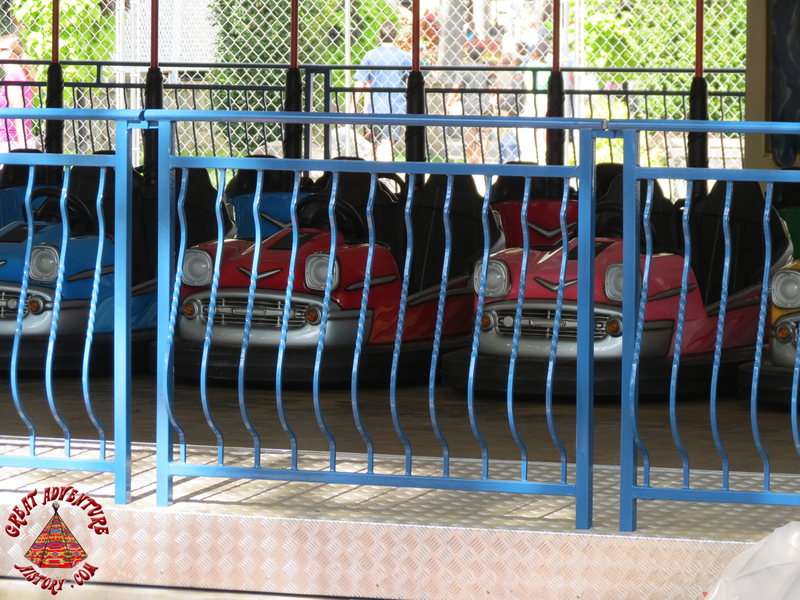 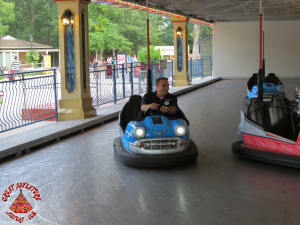 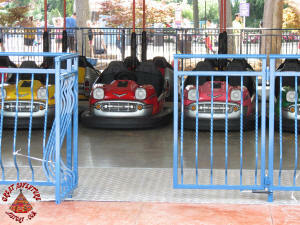 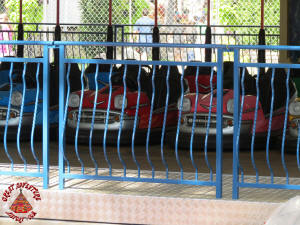 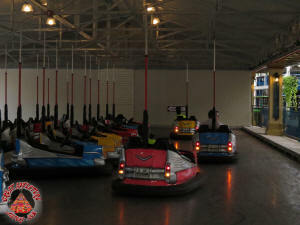 Great Adventure added the Autobahn bumper cars in 1994, but the ride closed in 2008 leaving the park without bumper cars until 2012 when the new Fender Benders opened. 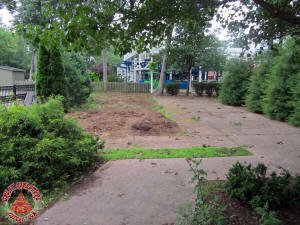 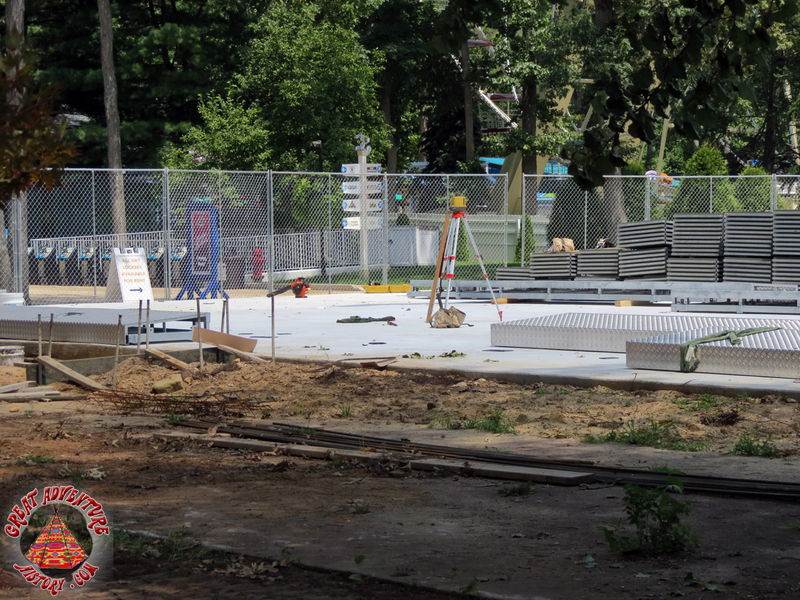 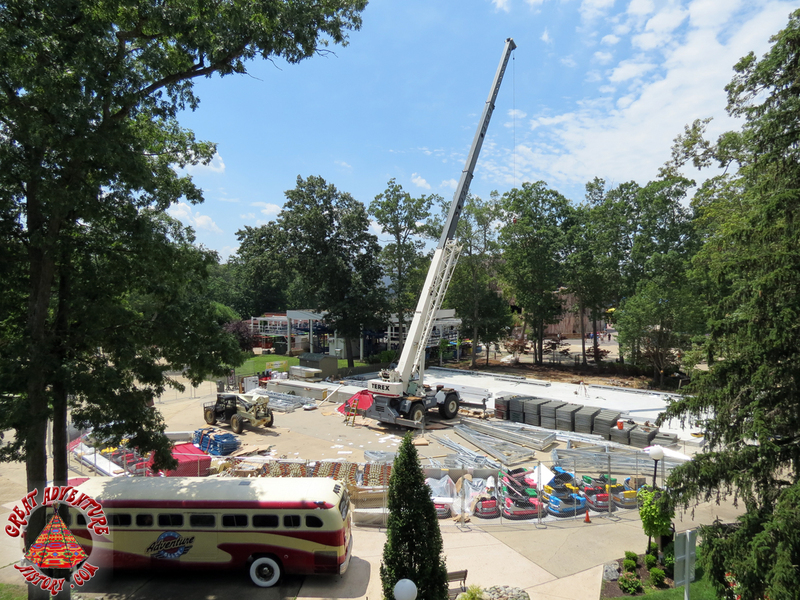 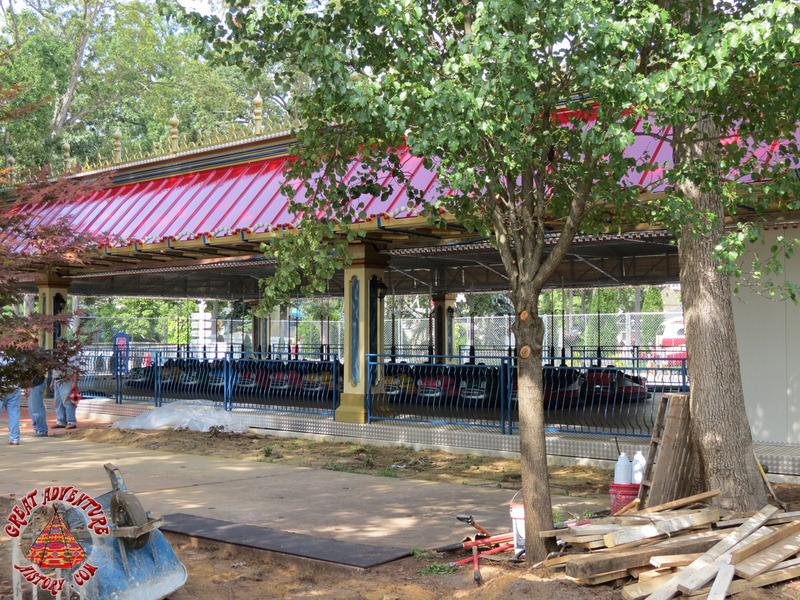 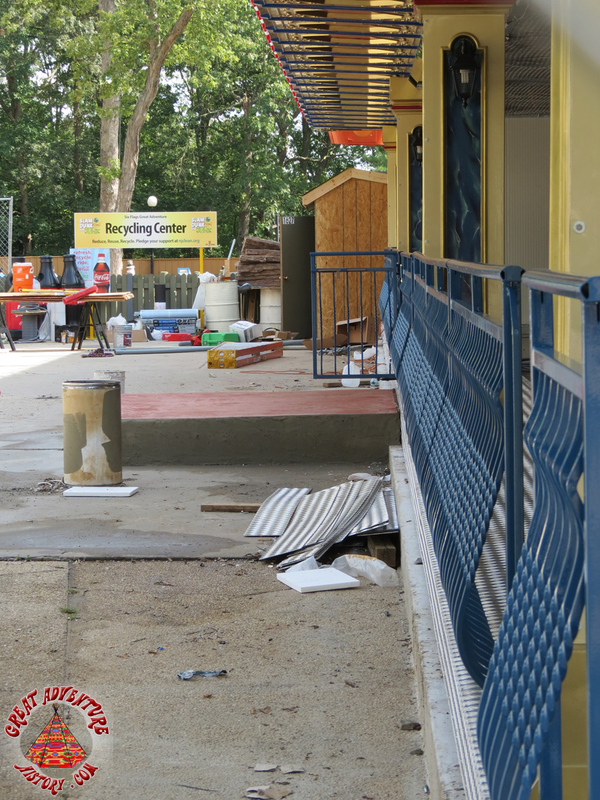 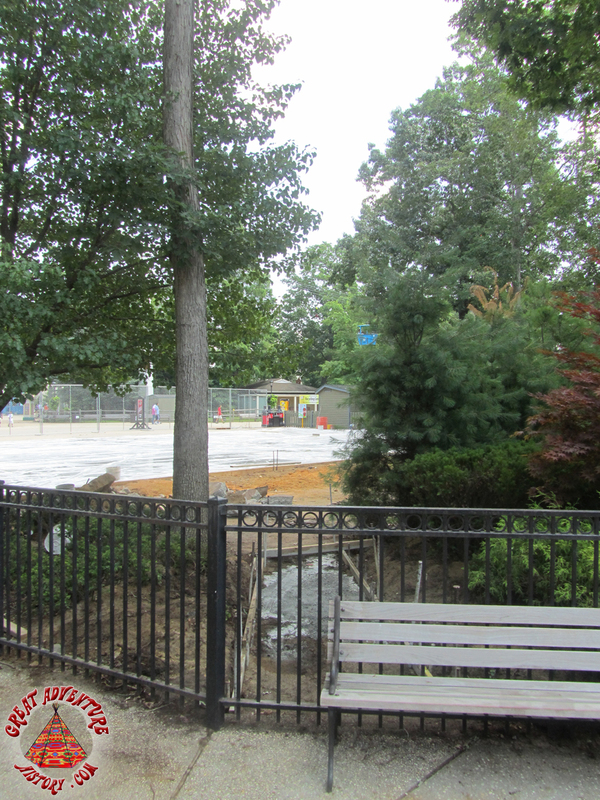 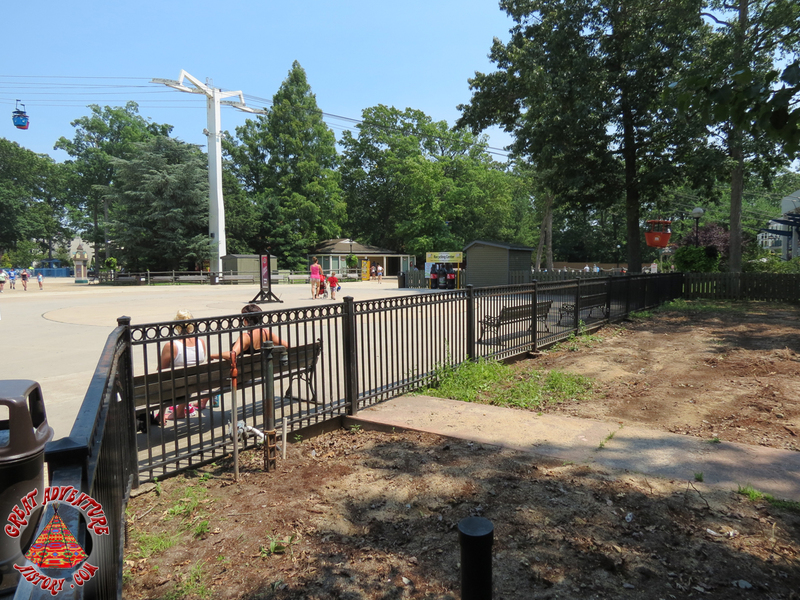 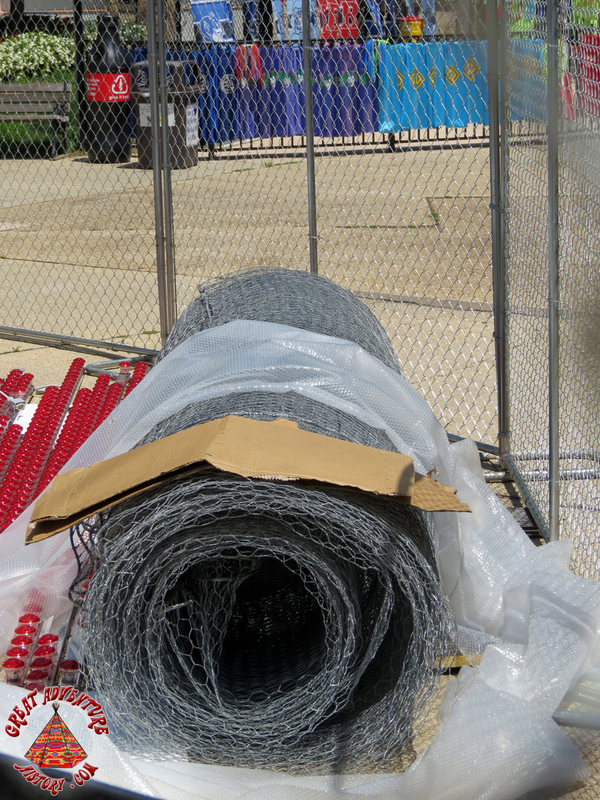 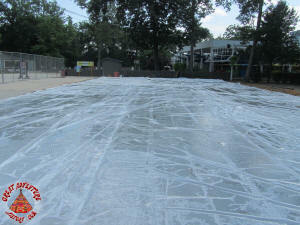 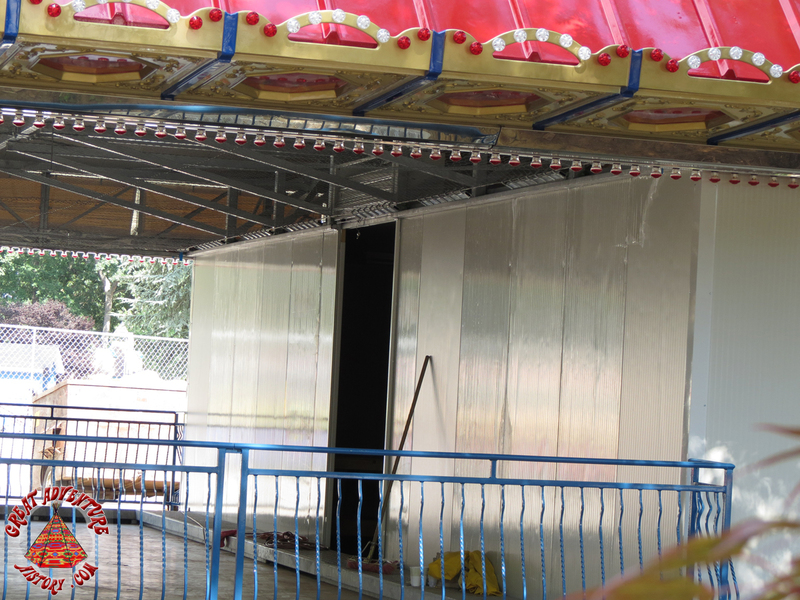 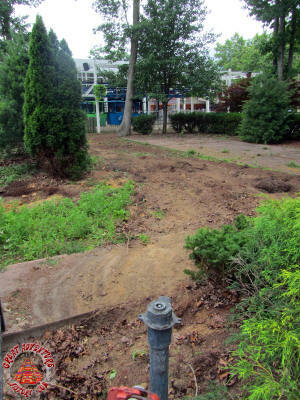 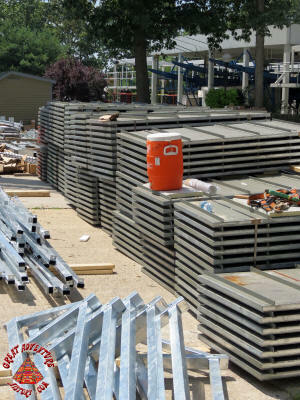 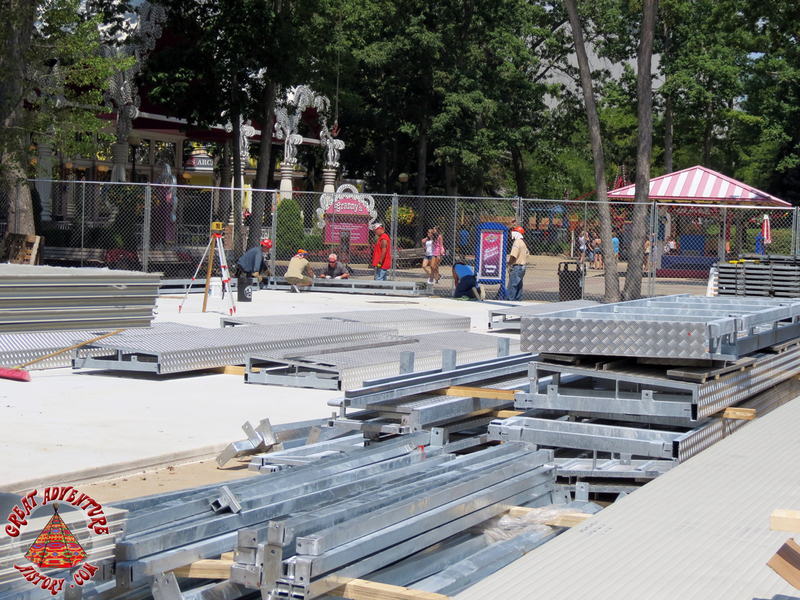 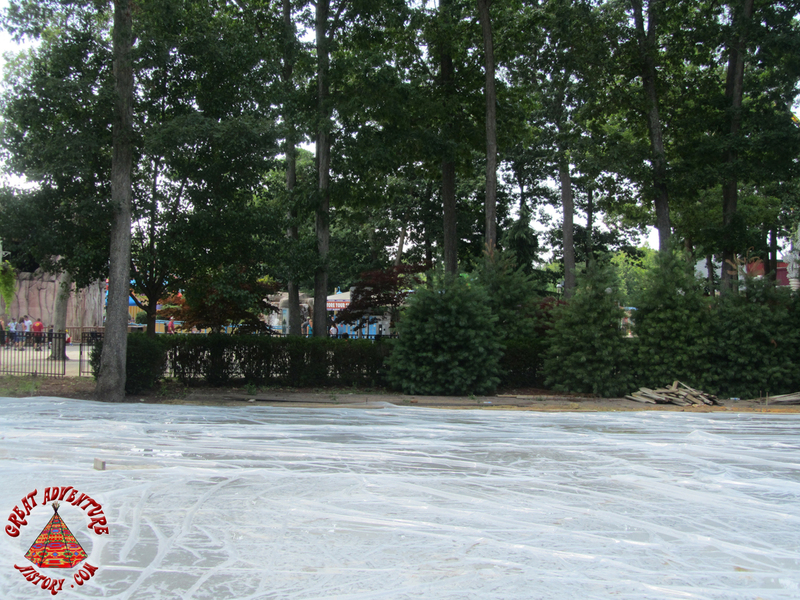 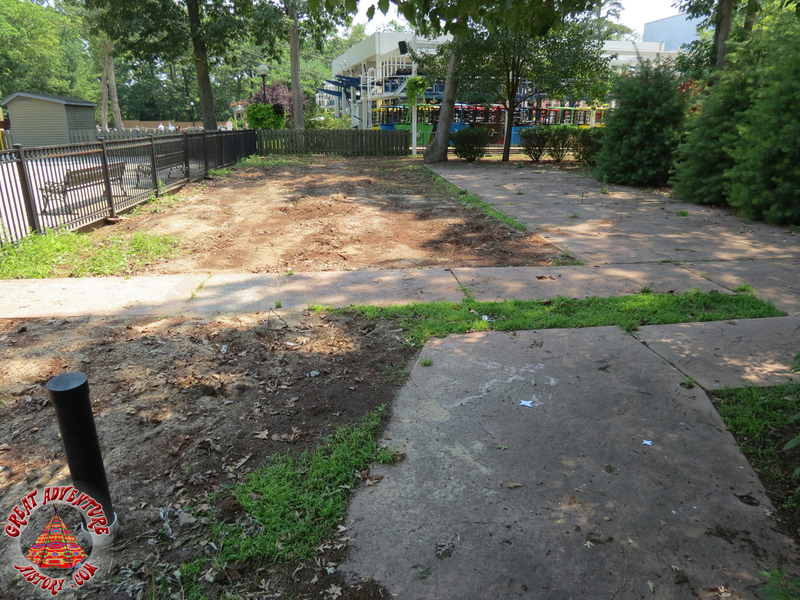 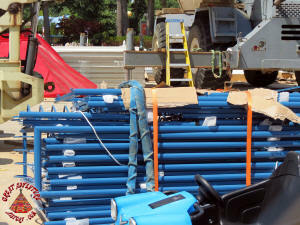 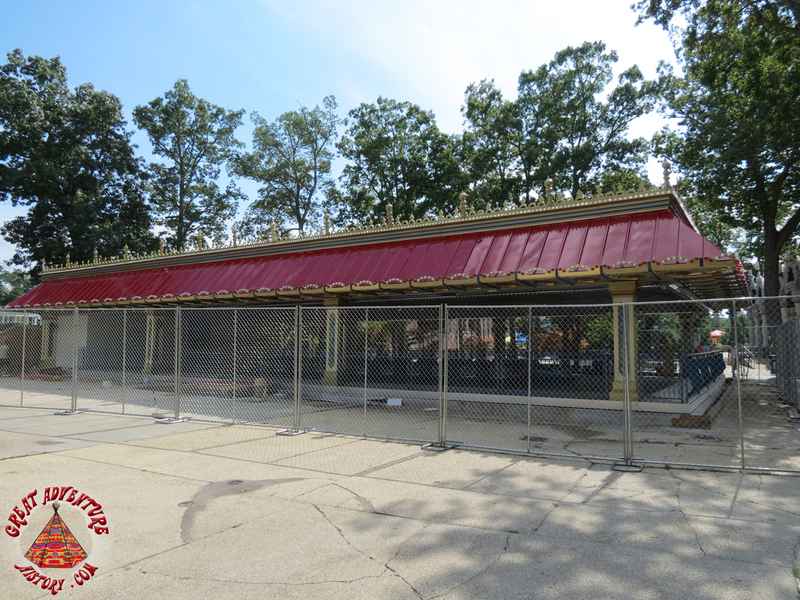 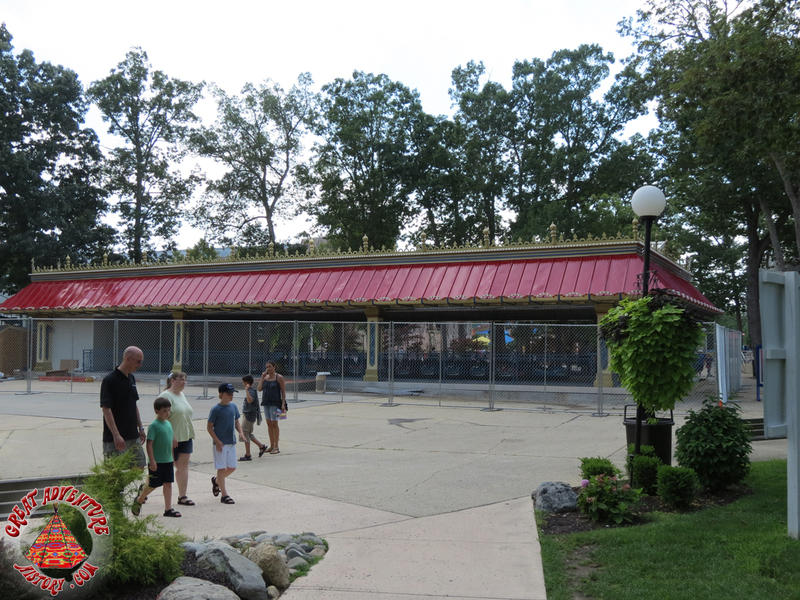 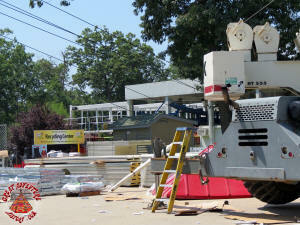 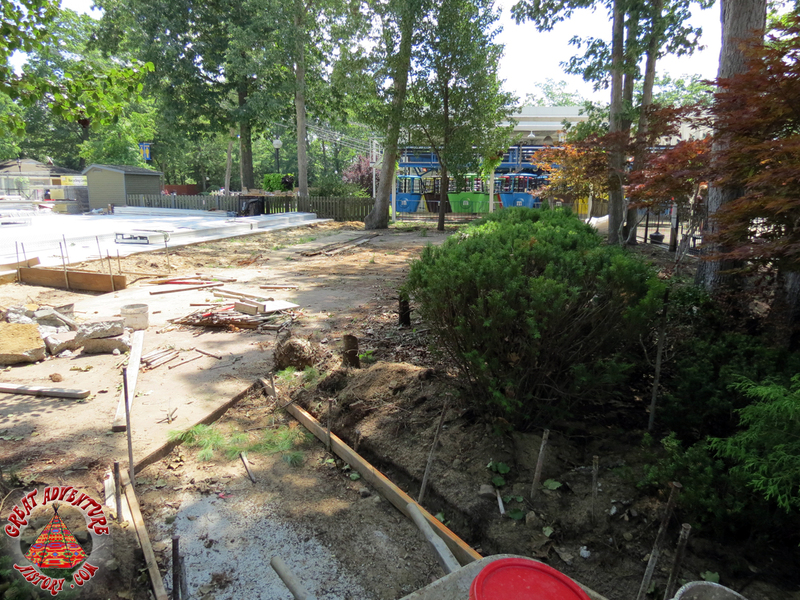 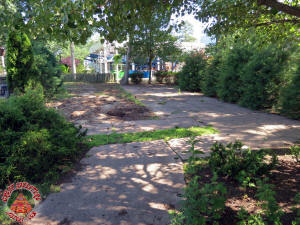 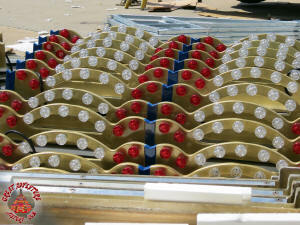 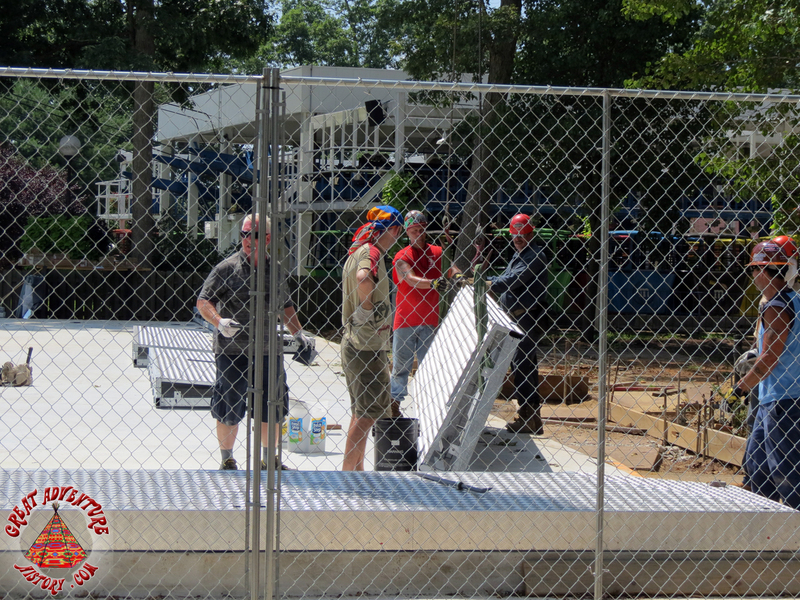 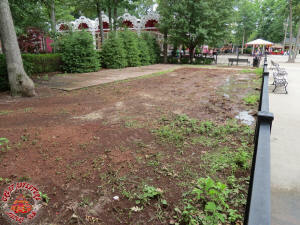 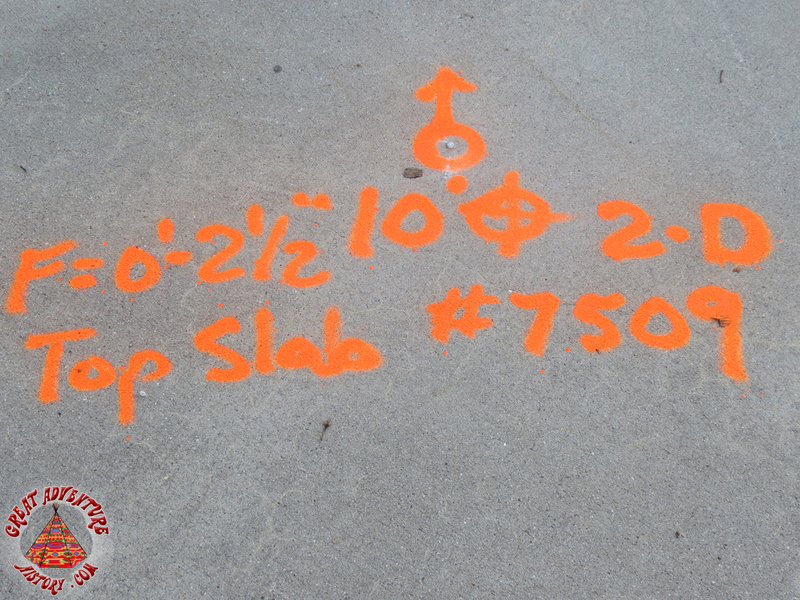 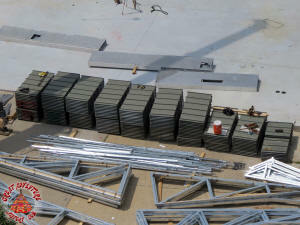 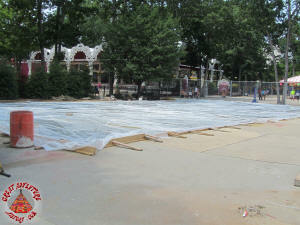 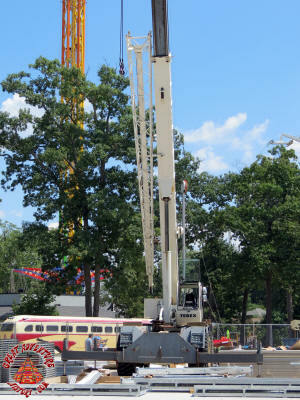 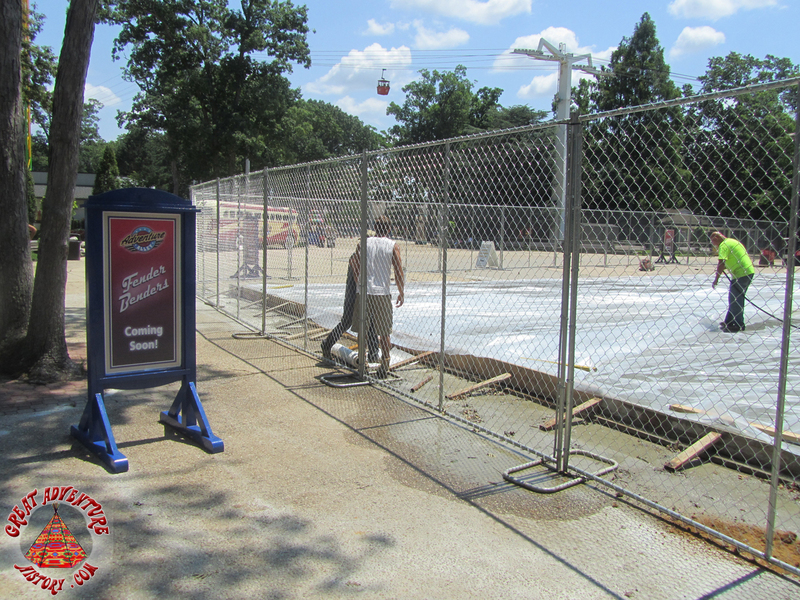 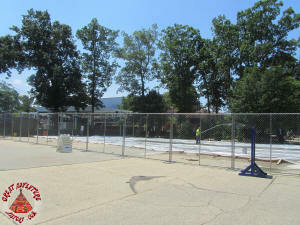 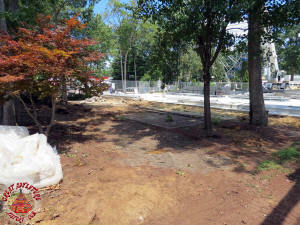 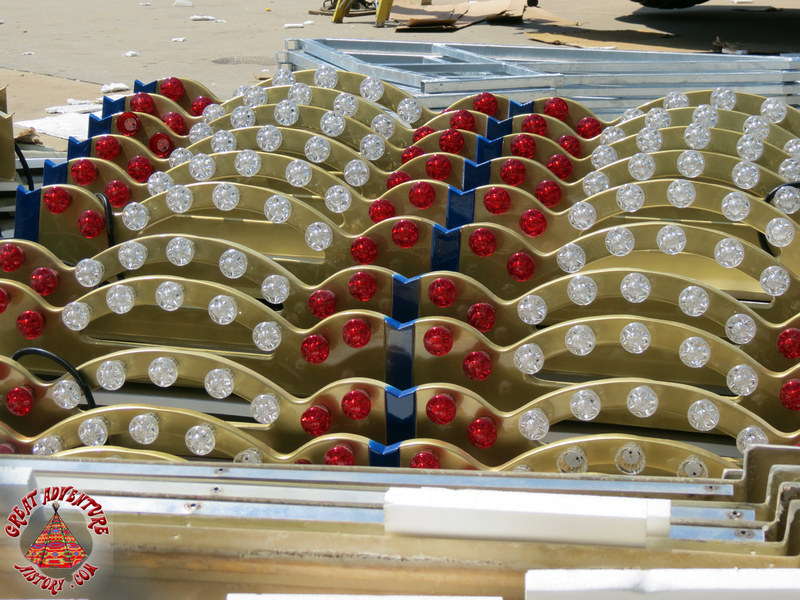 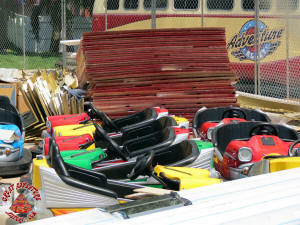 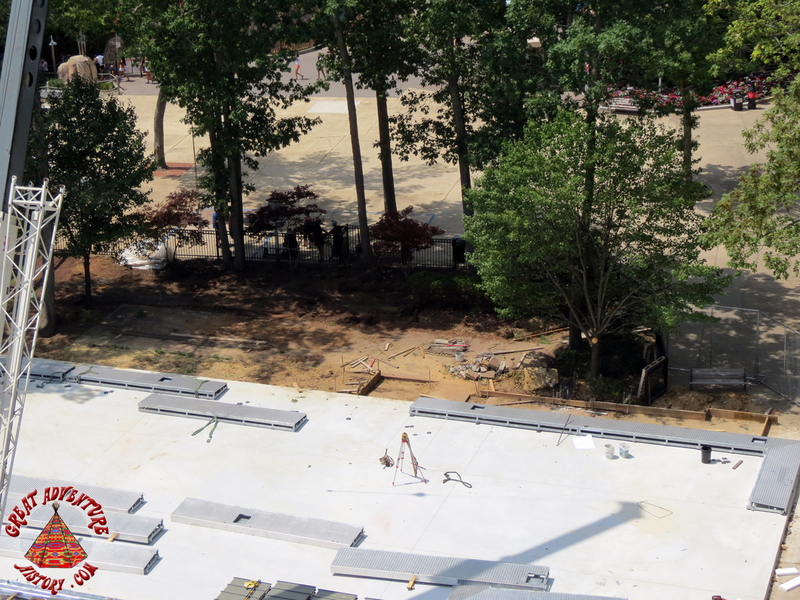 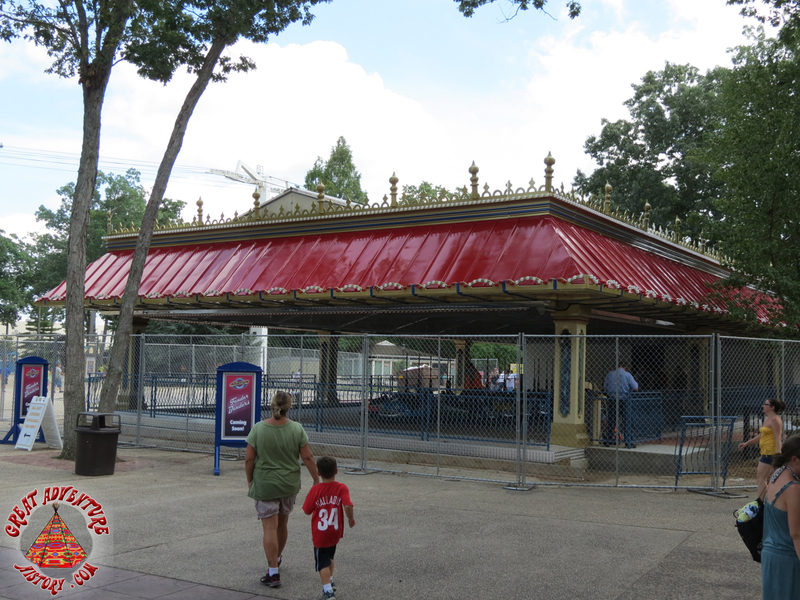 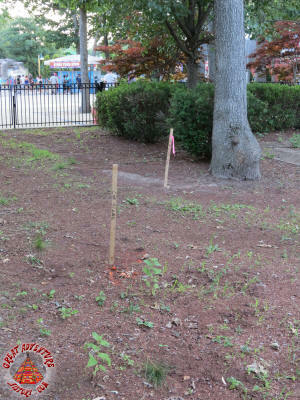 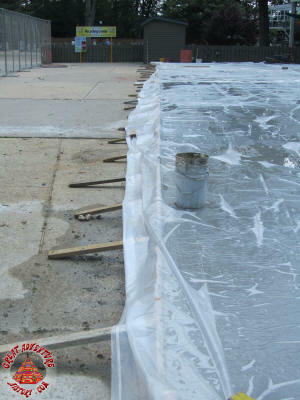 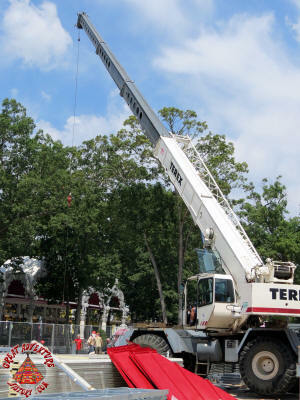 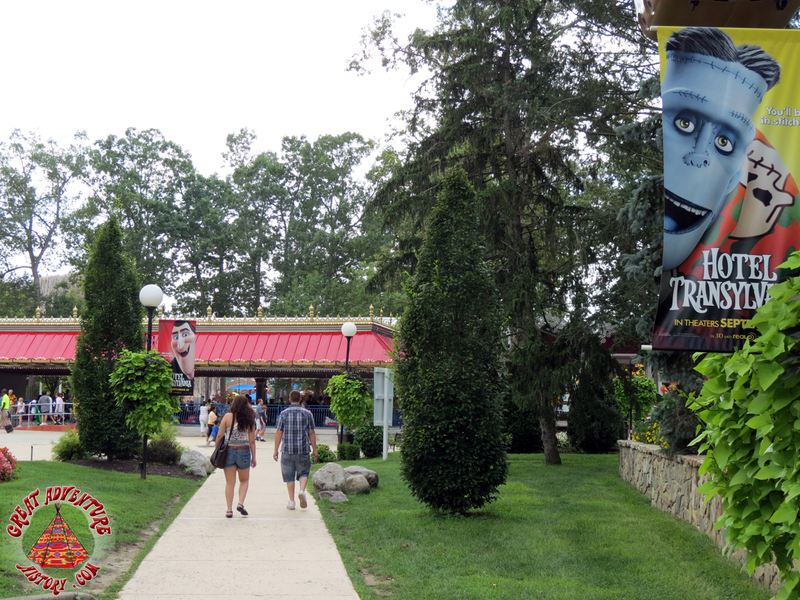 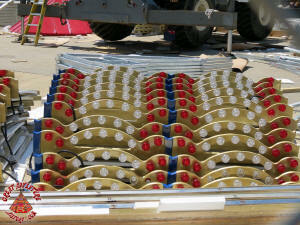 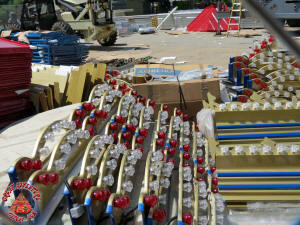 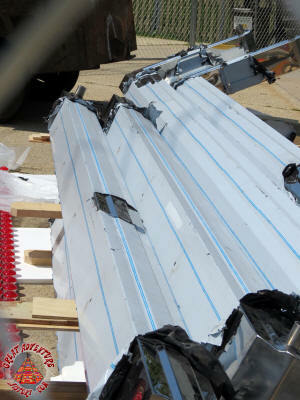 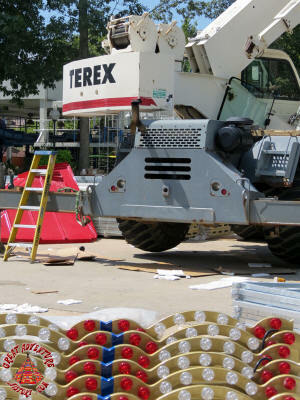 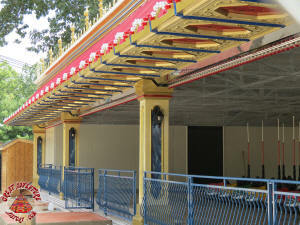 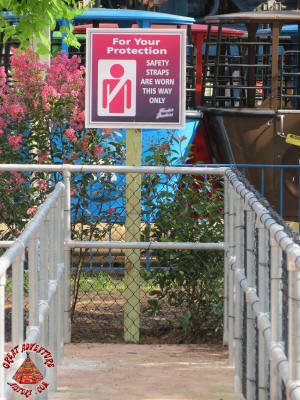 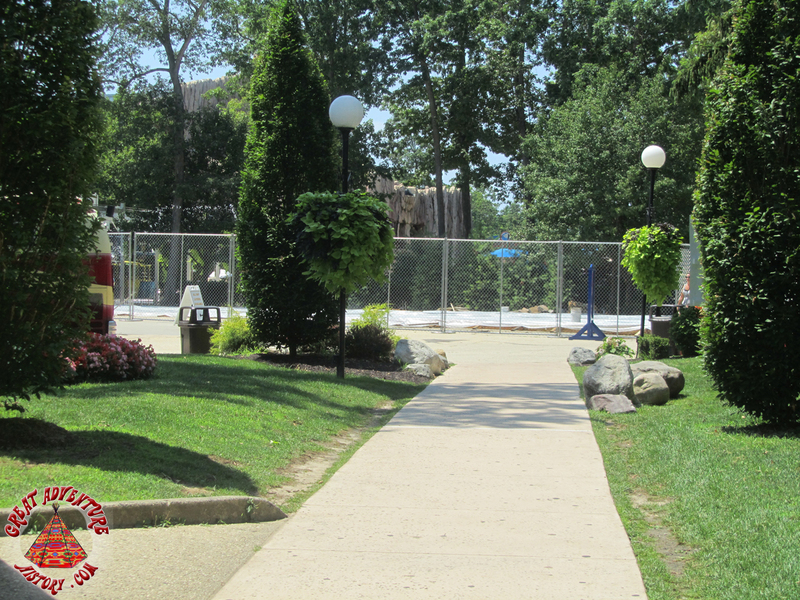 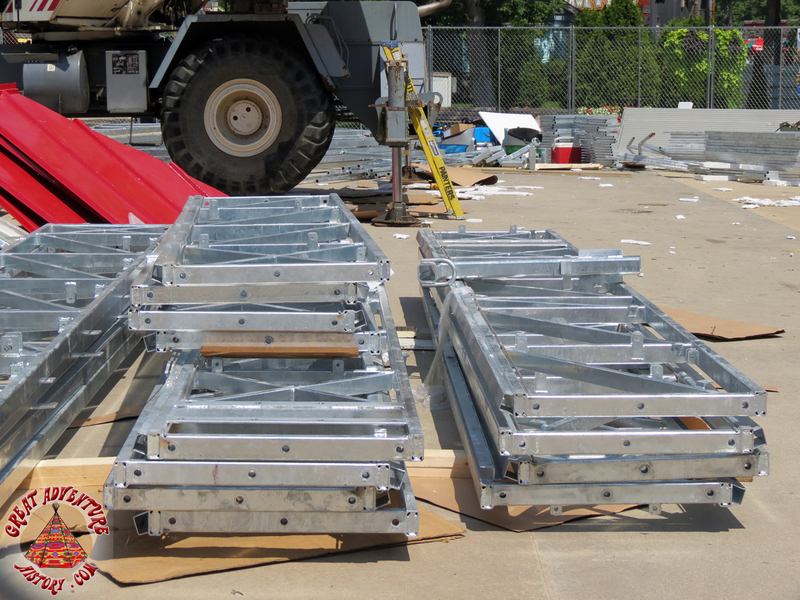 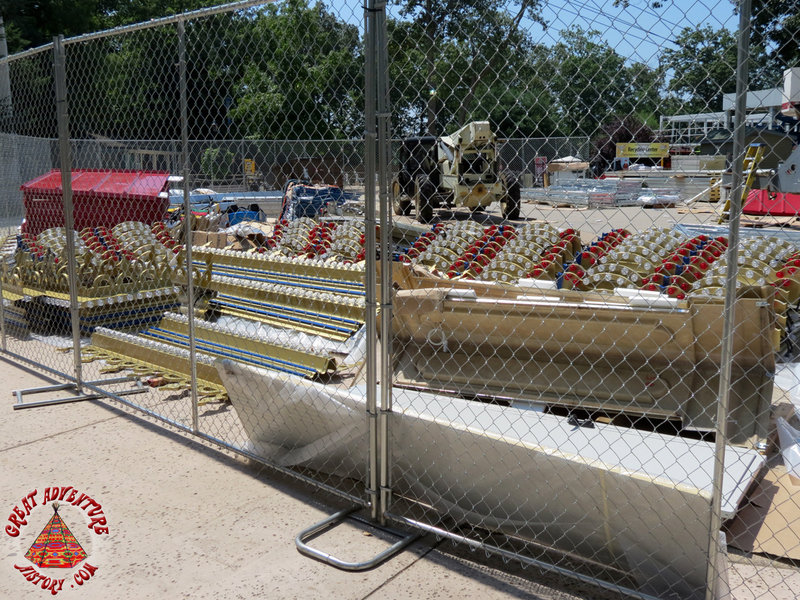 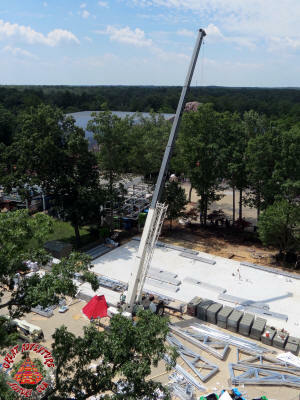 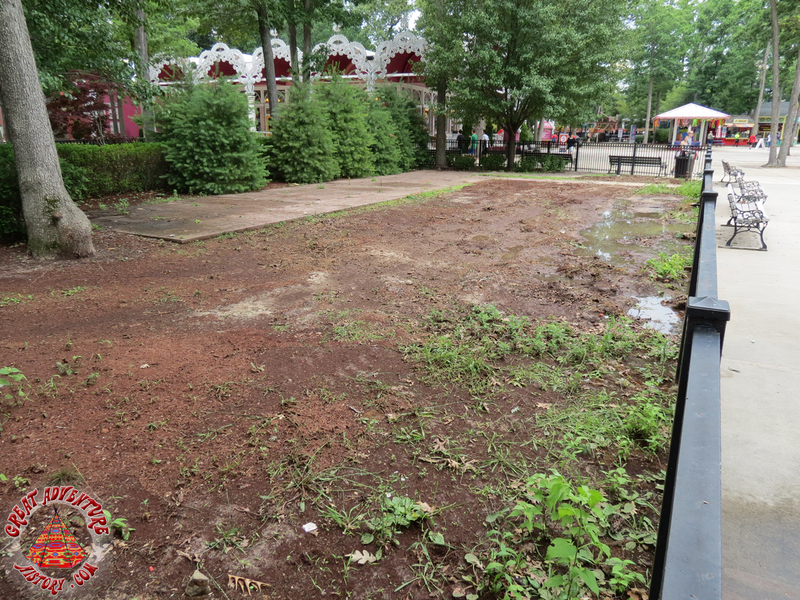 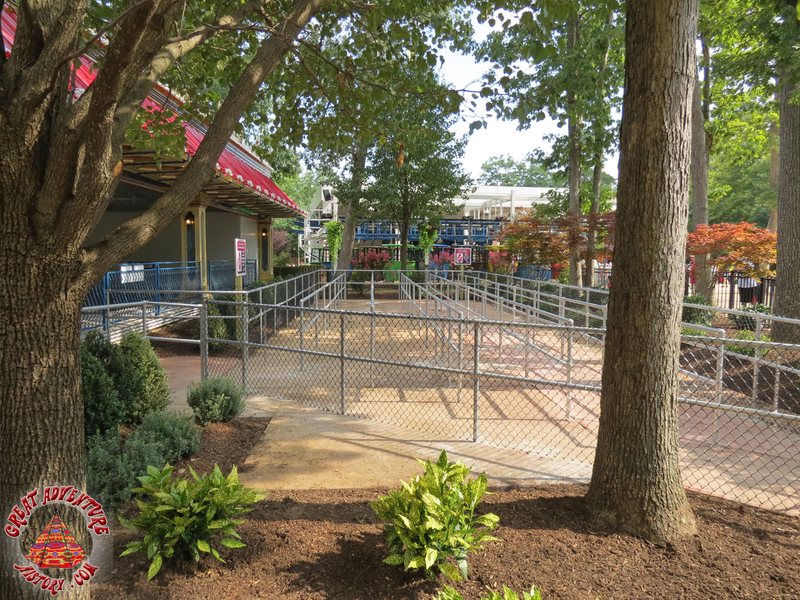 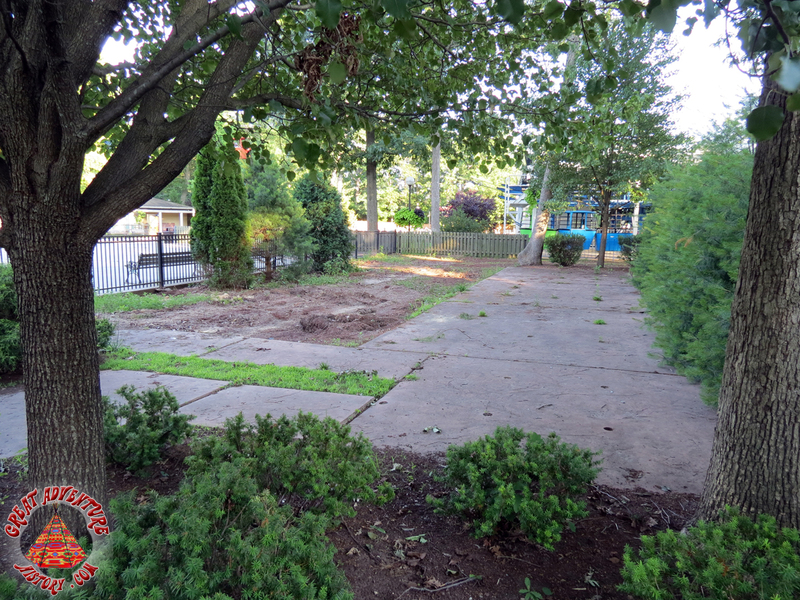 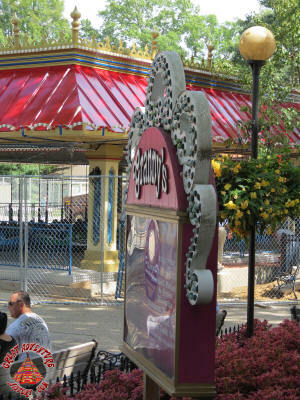 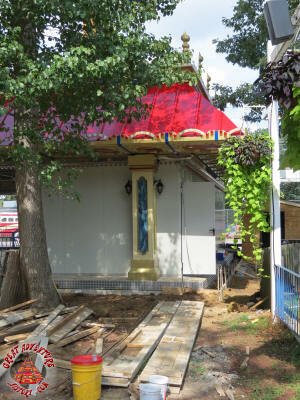 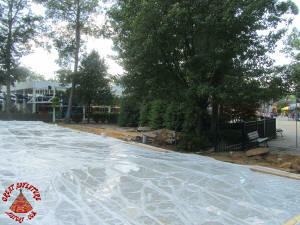 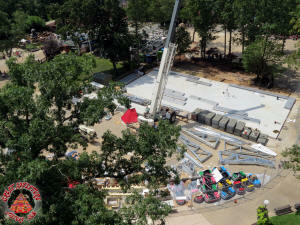 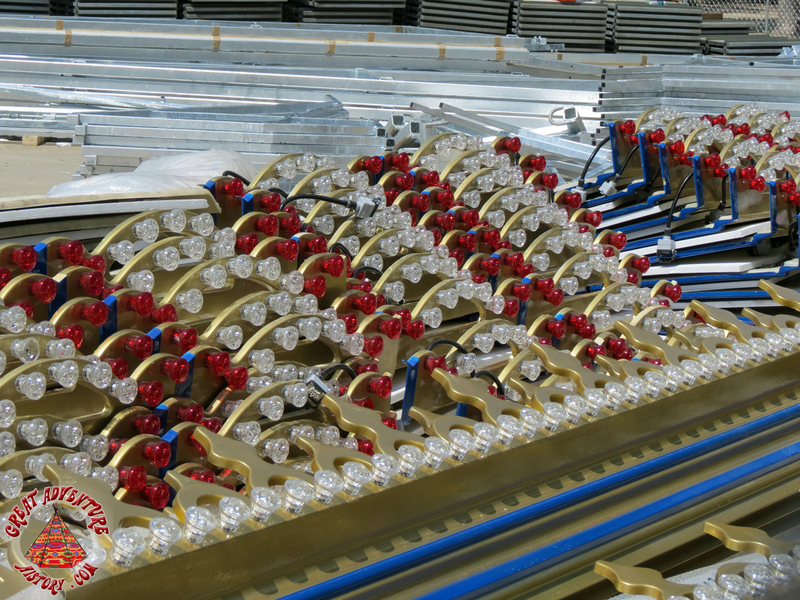 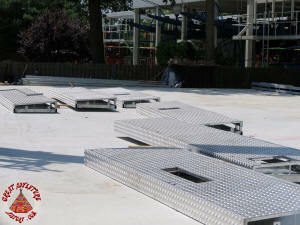 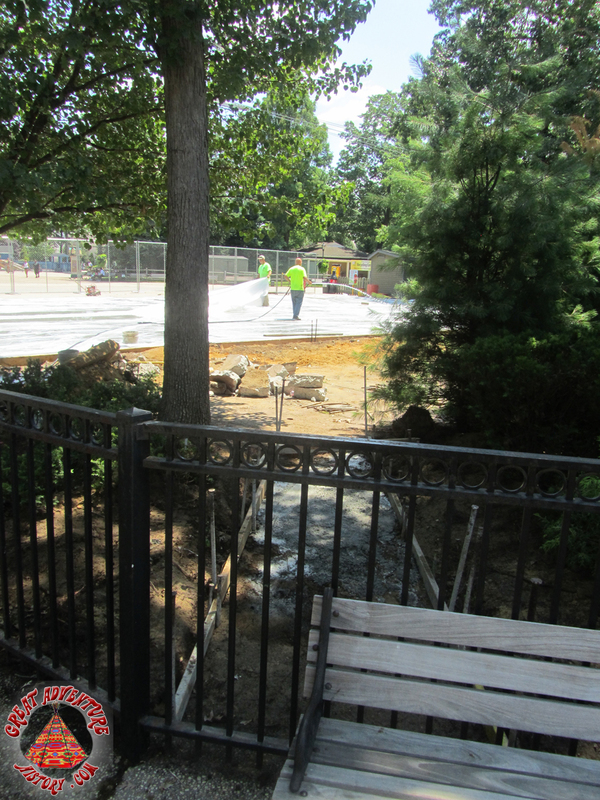 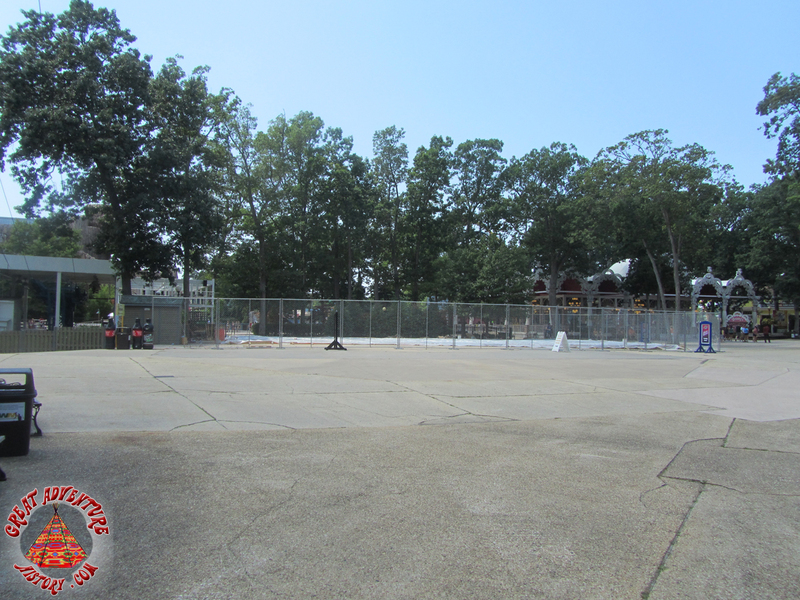 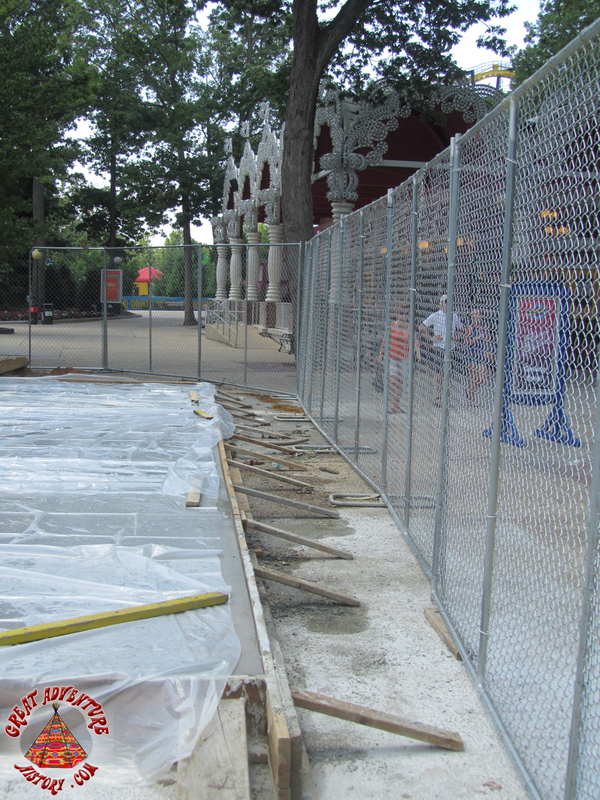 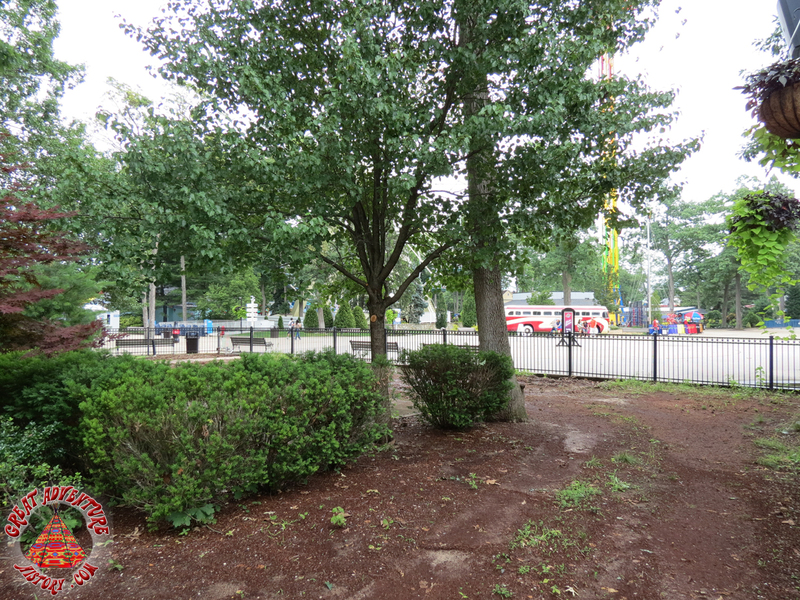 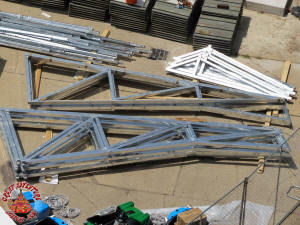 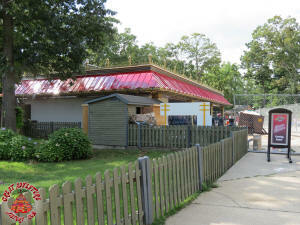 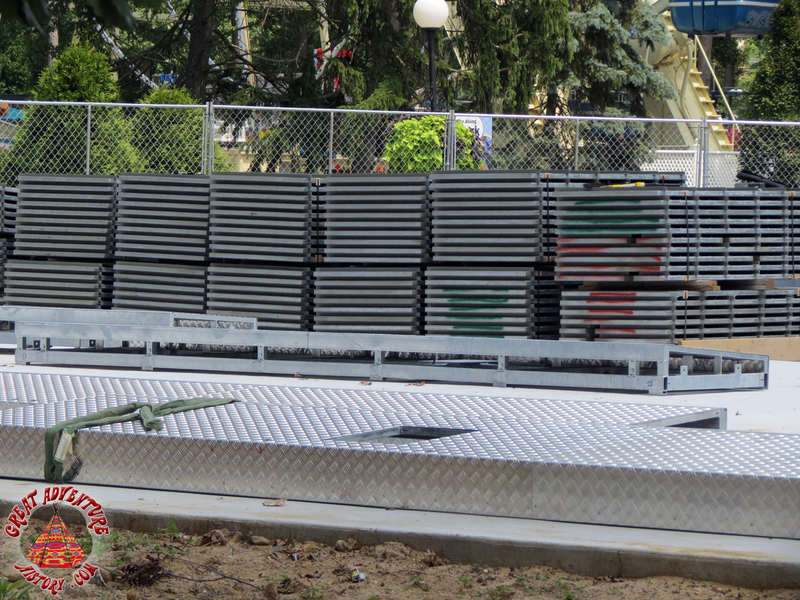 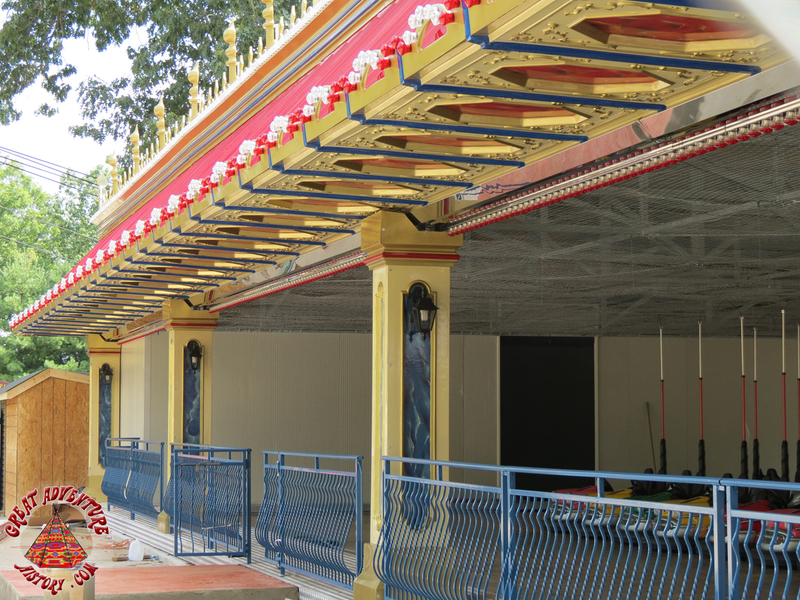 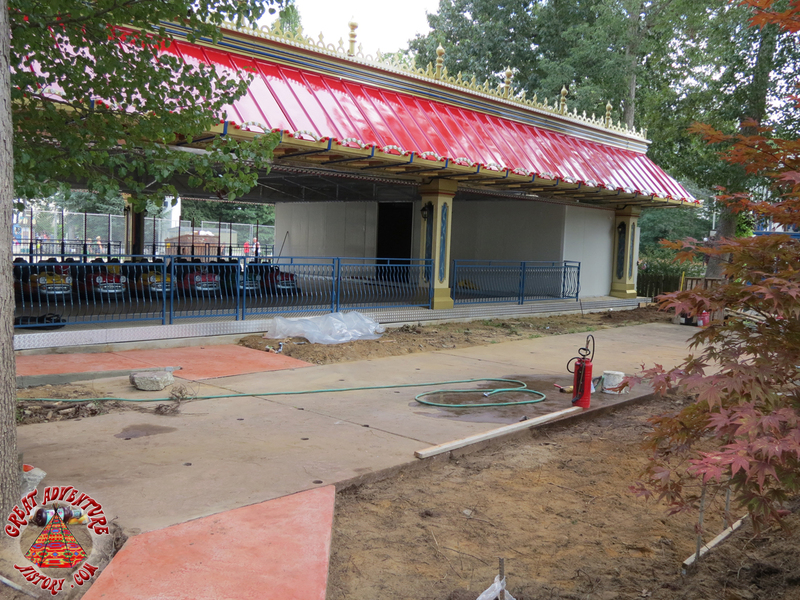 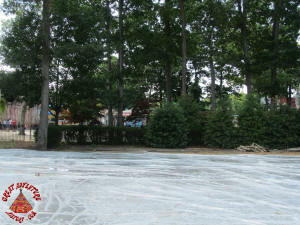 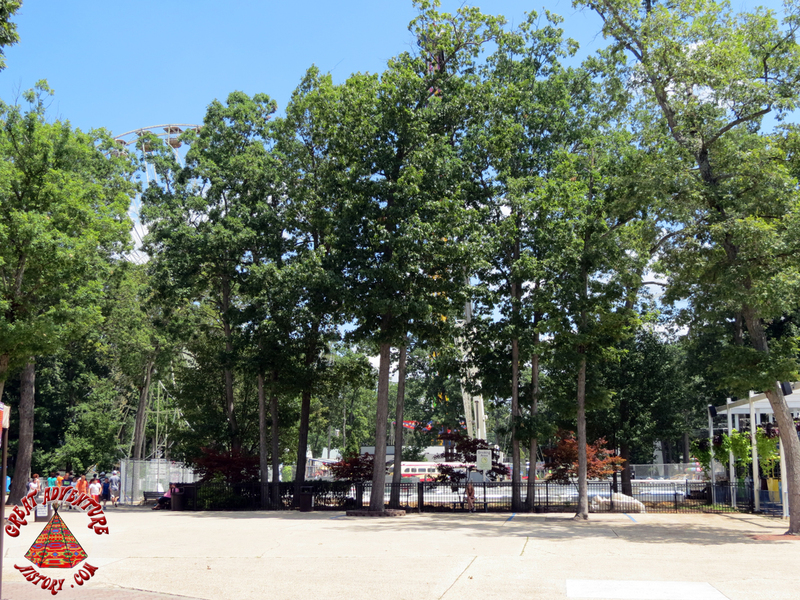 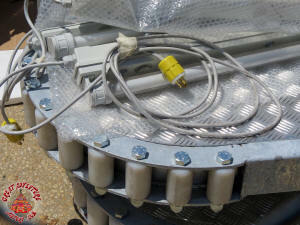 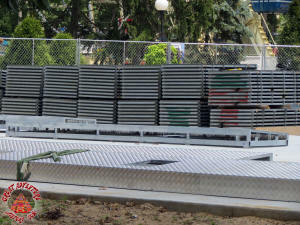 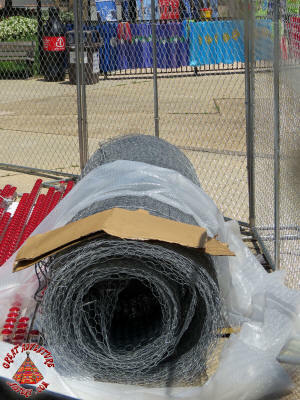 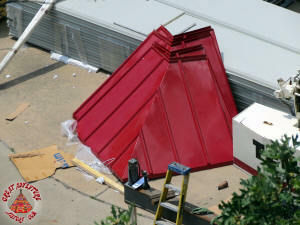 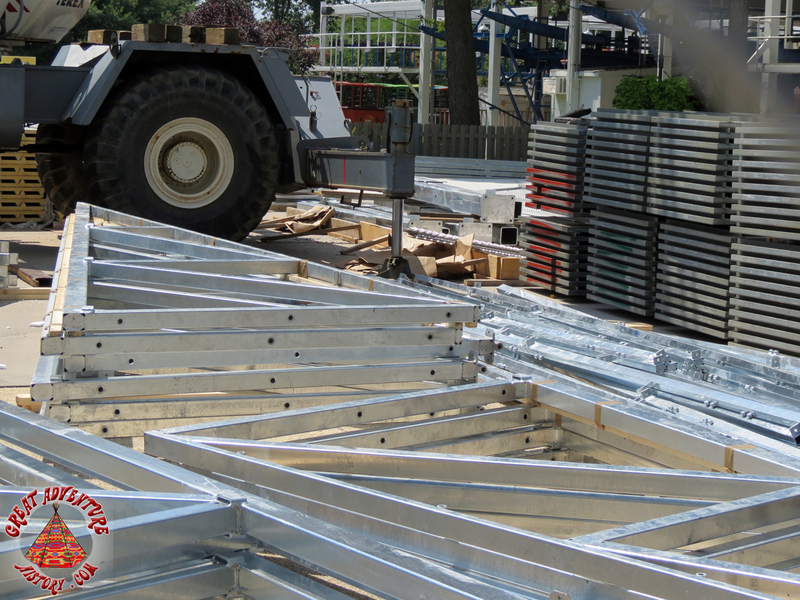 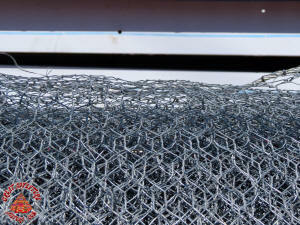 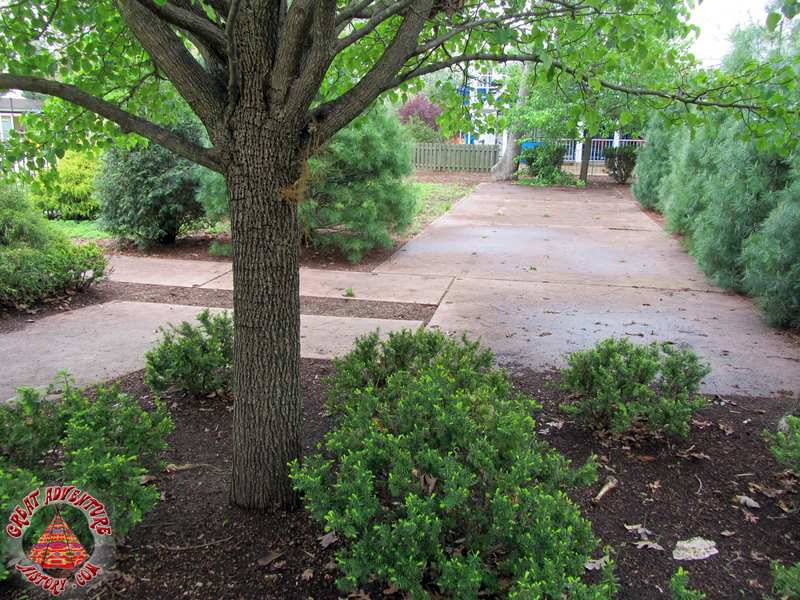 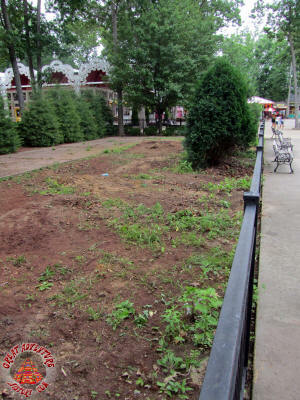 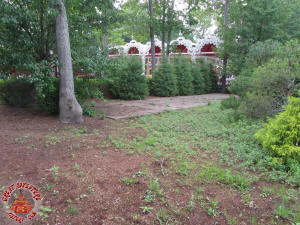 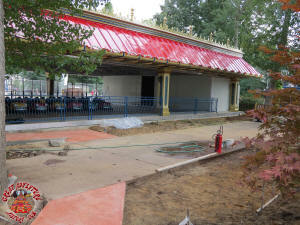 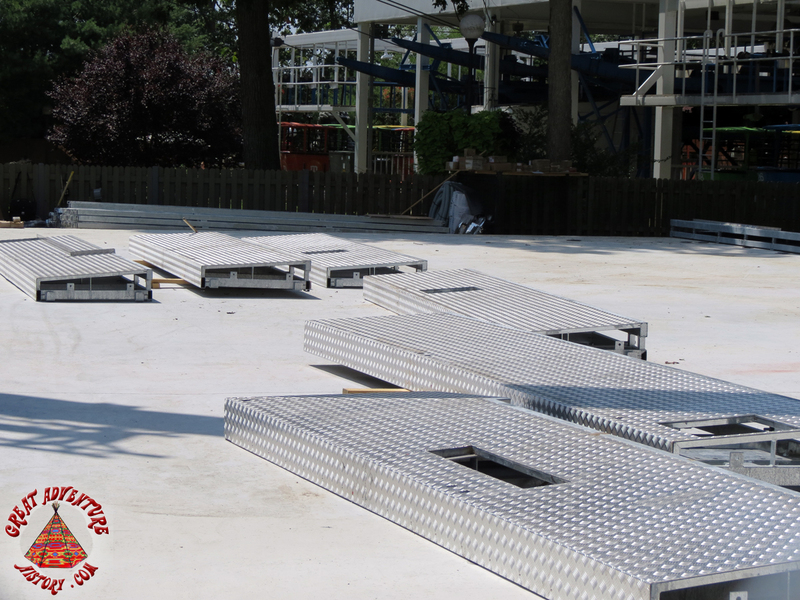 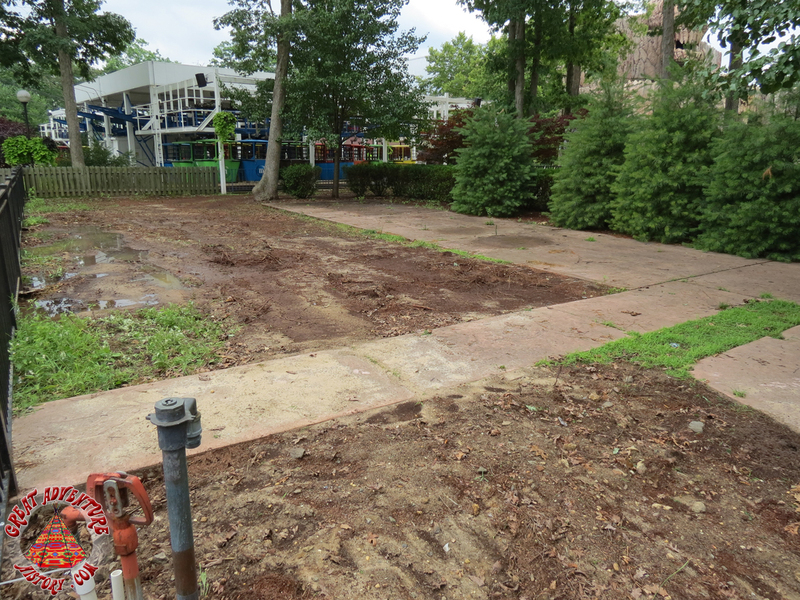 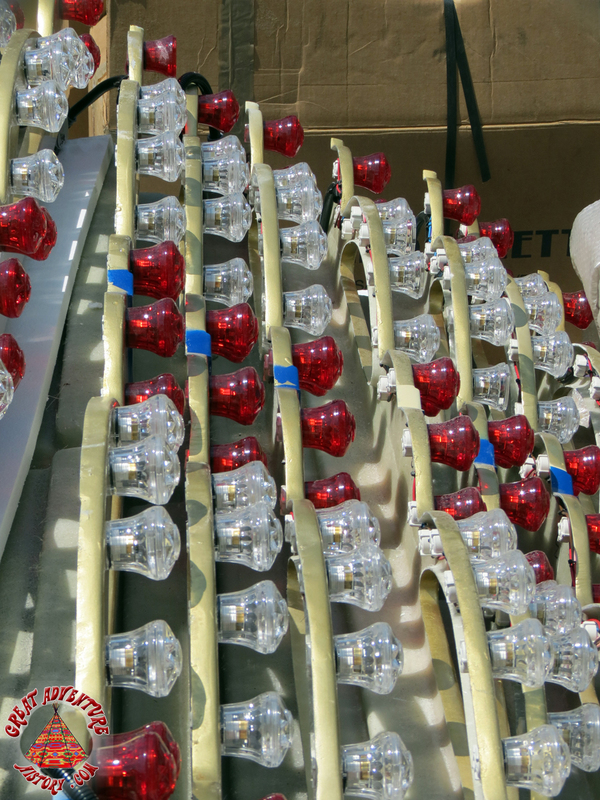 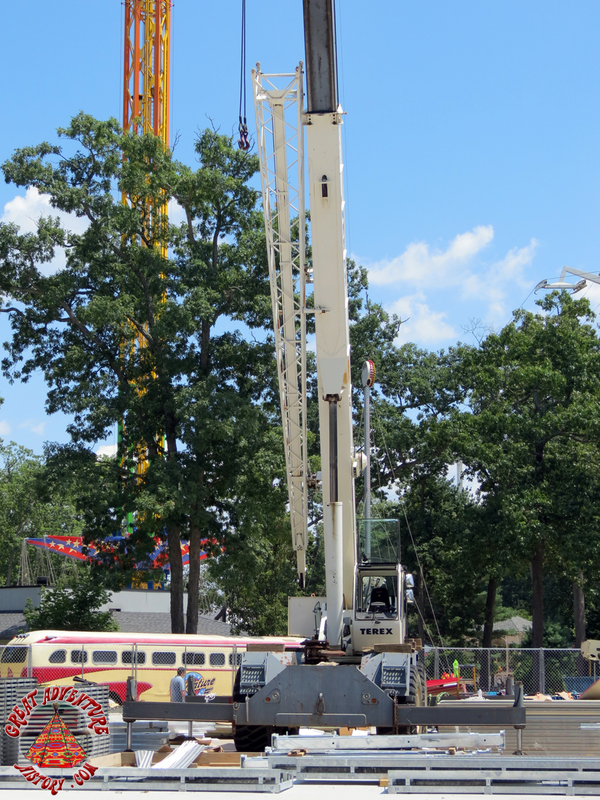 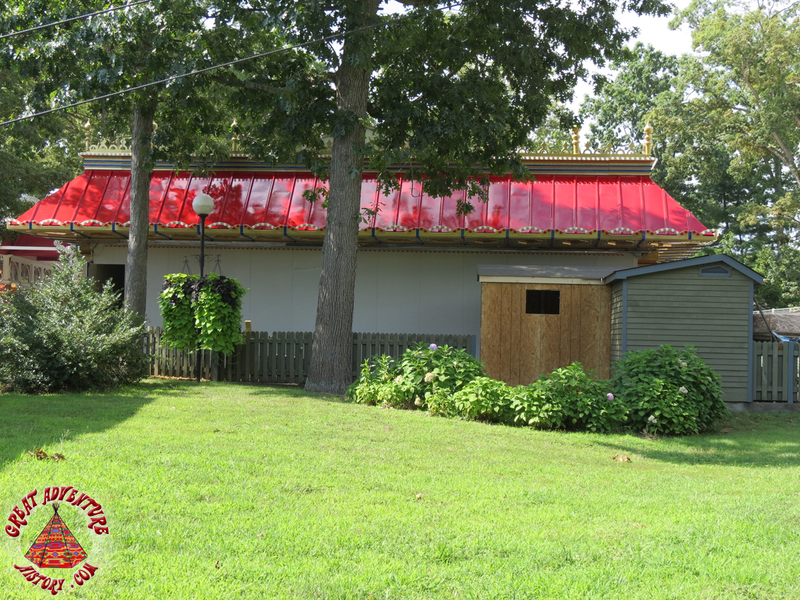 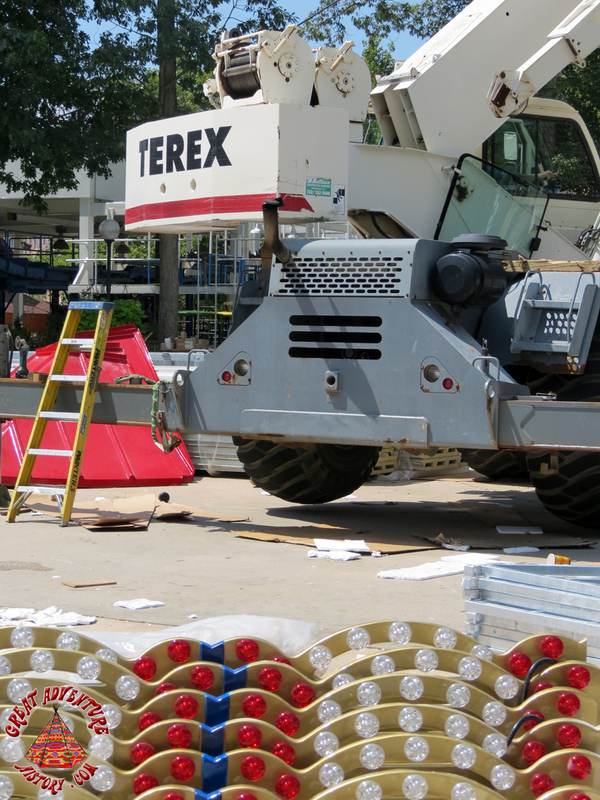 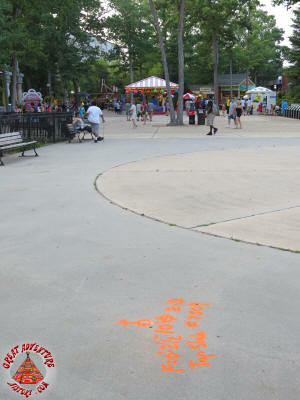 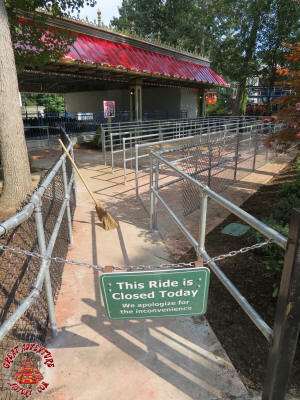 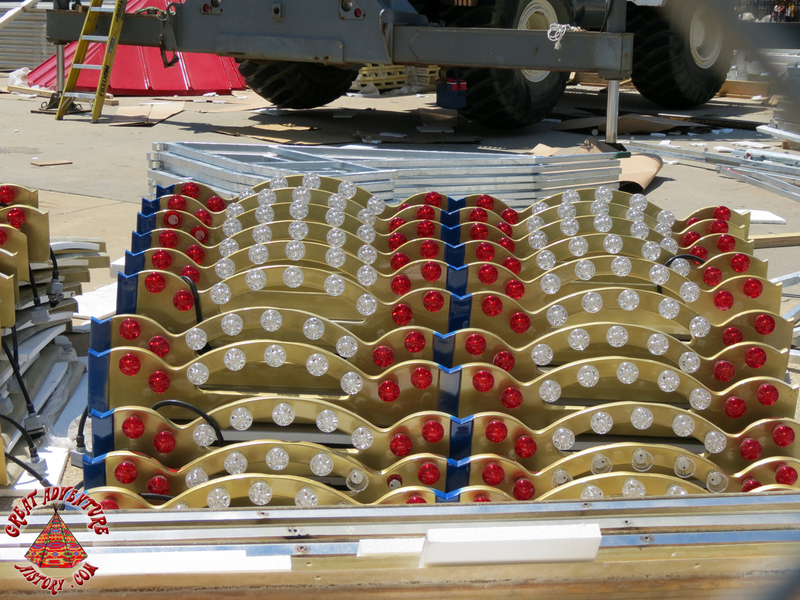 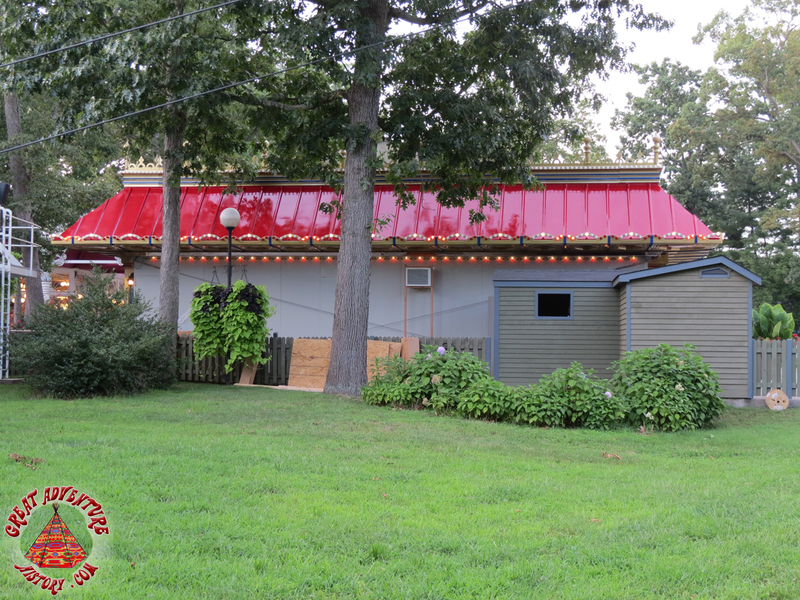 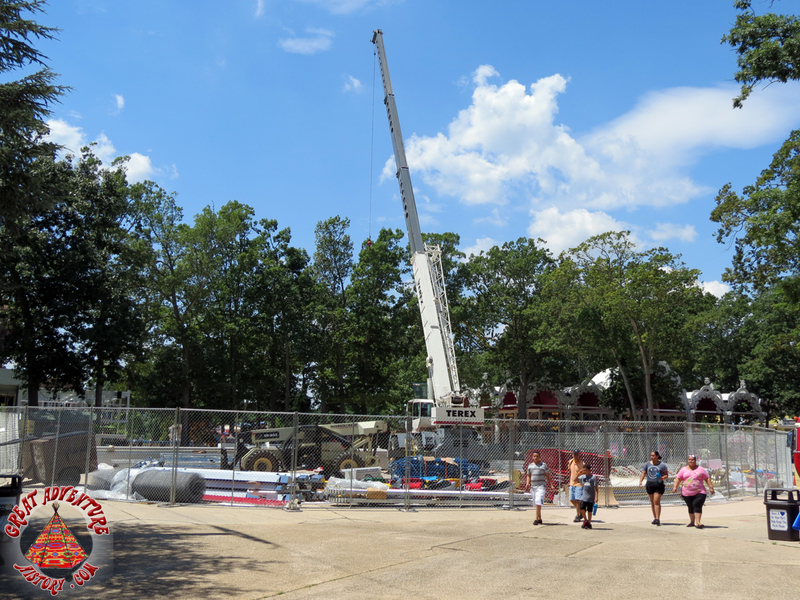 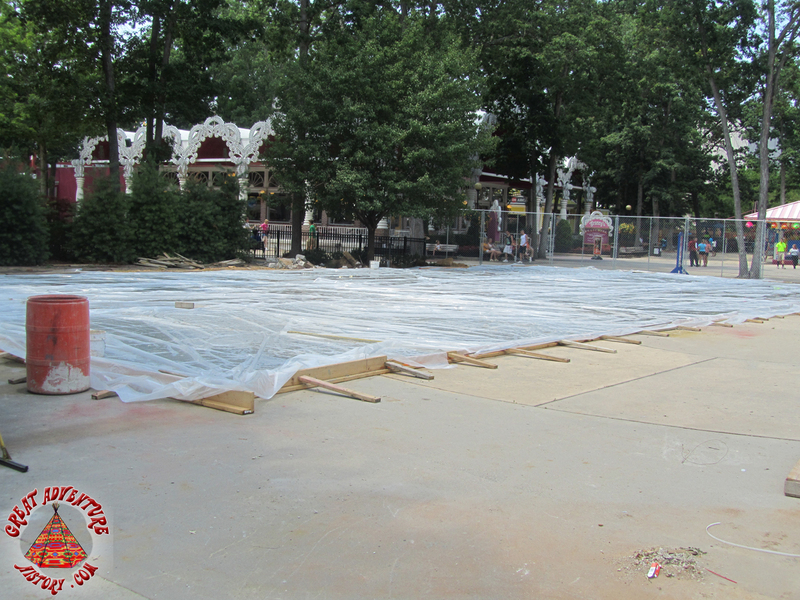 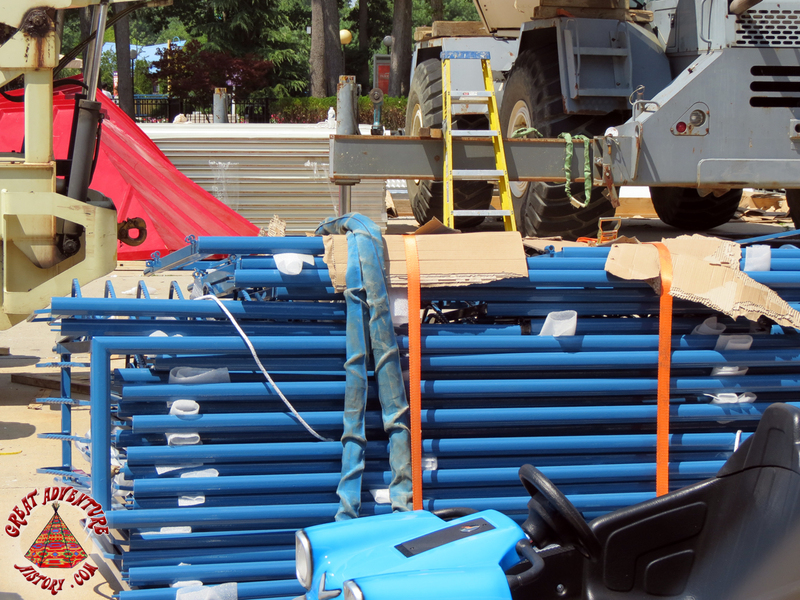 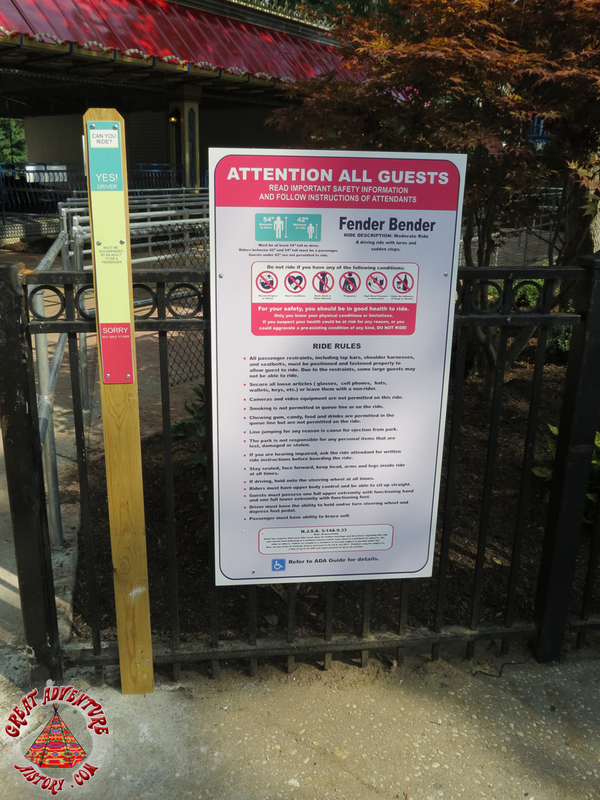 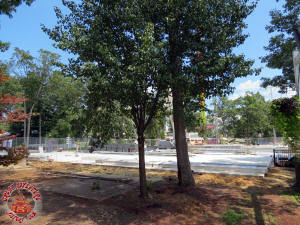 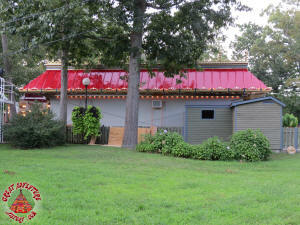 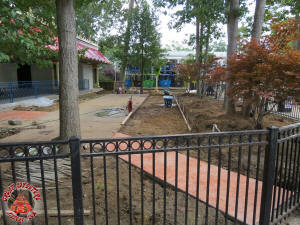 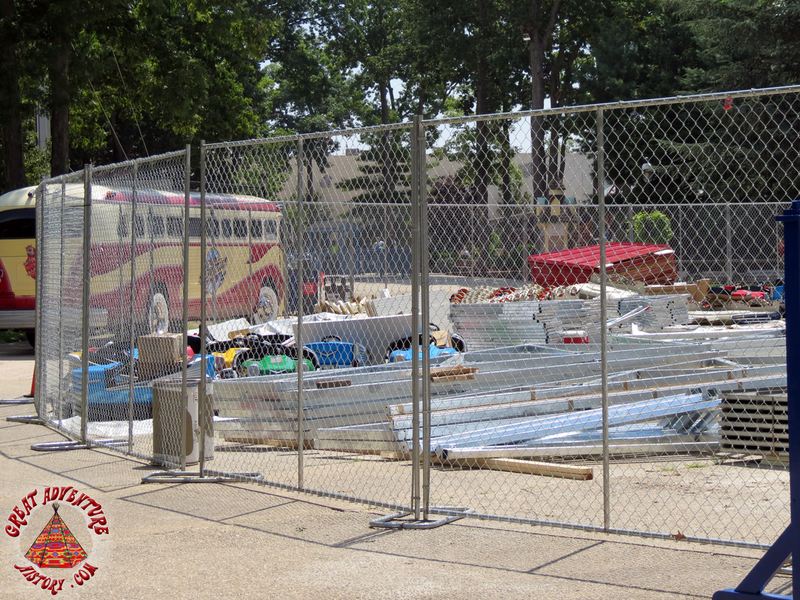 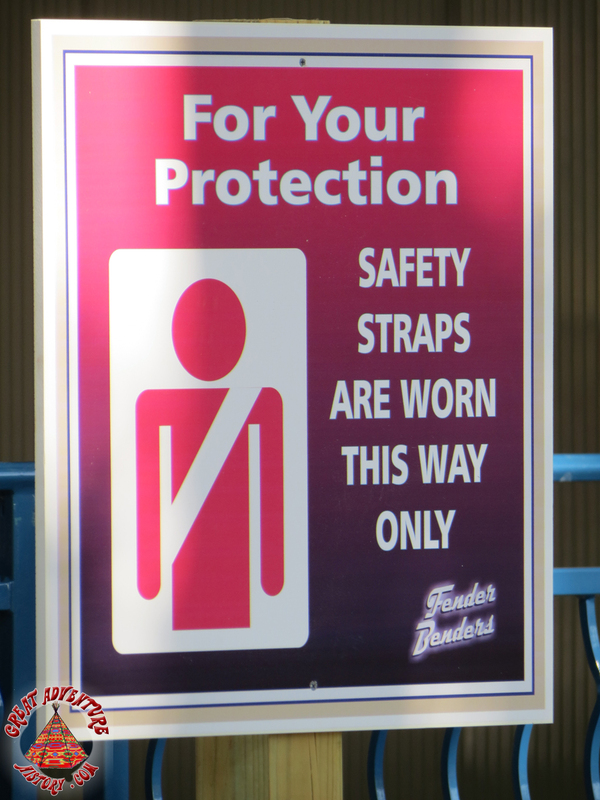 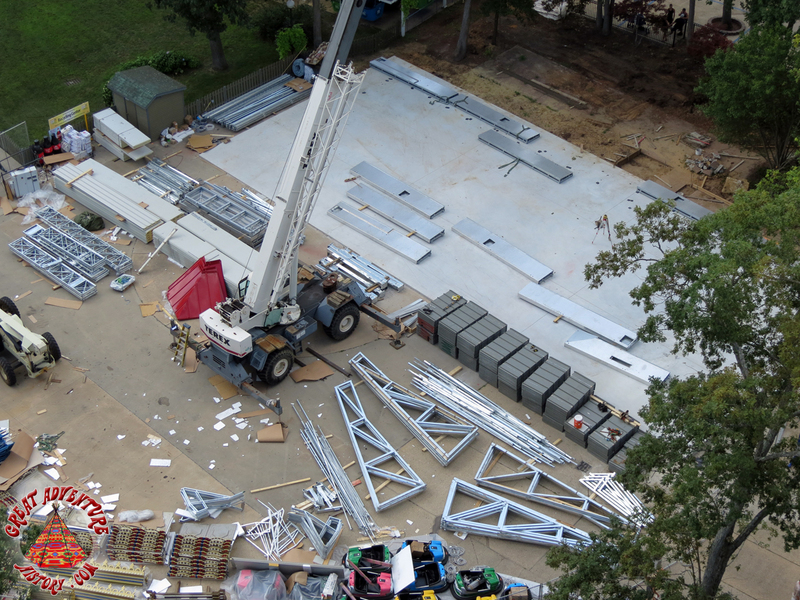 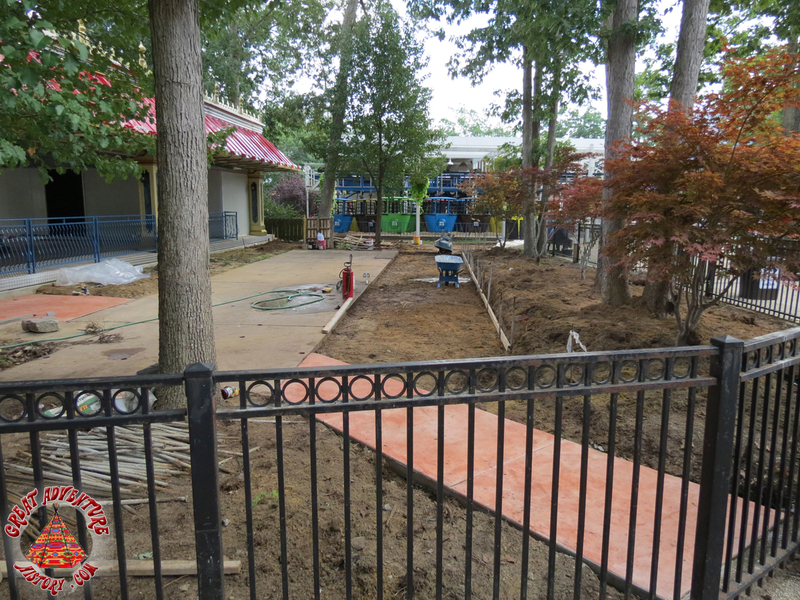 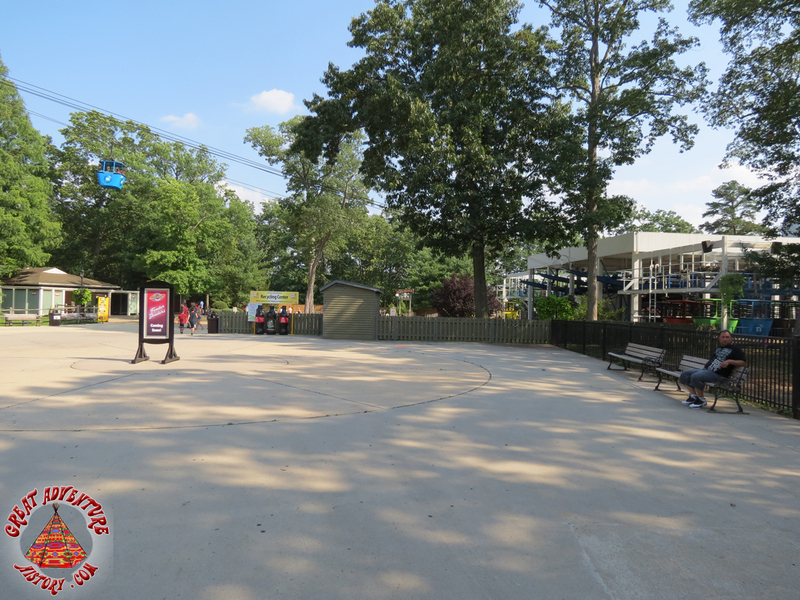 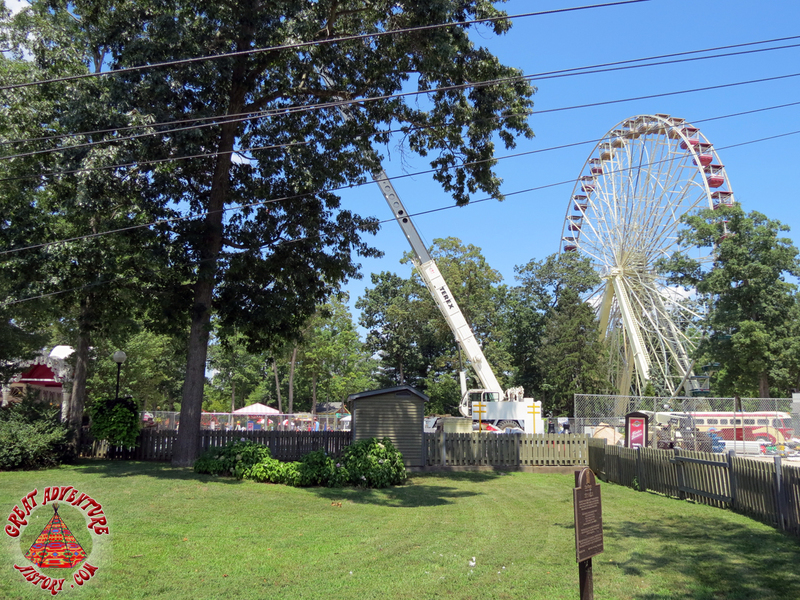 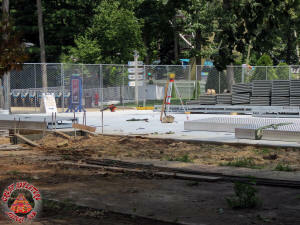 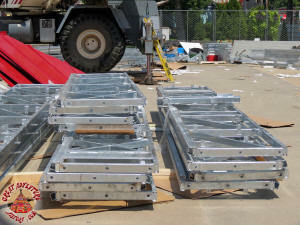 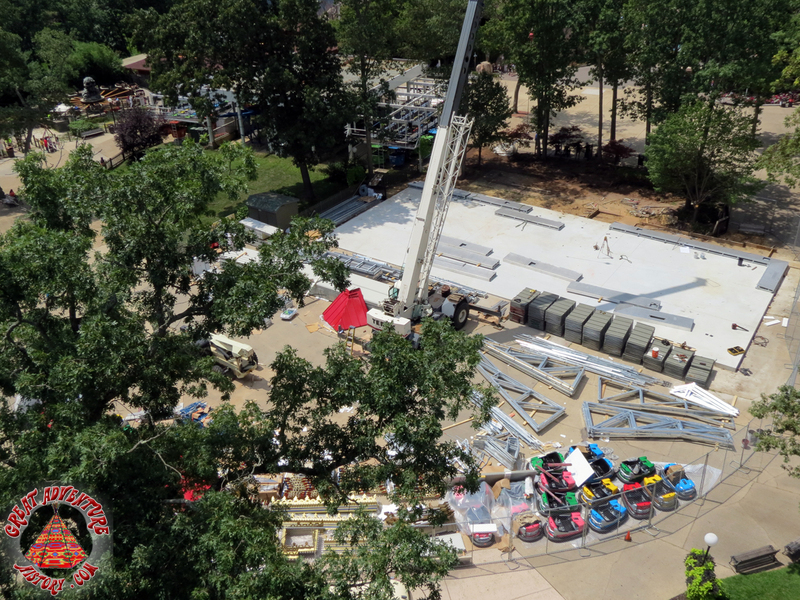 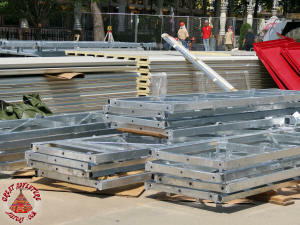 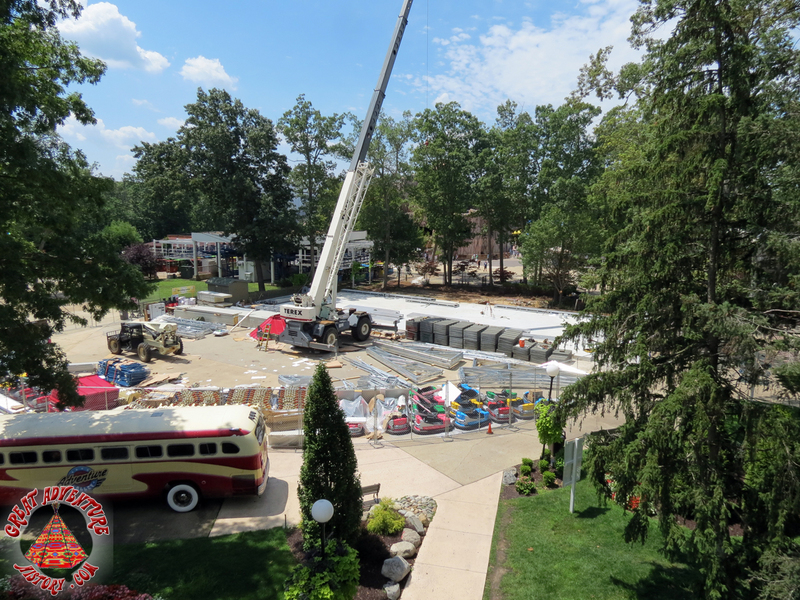 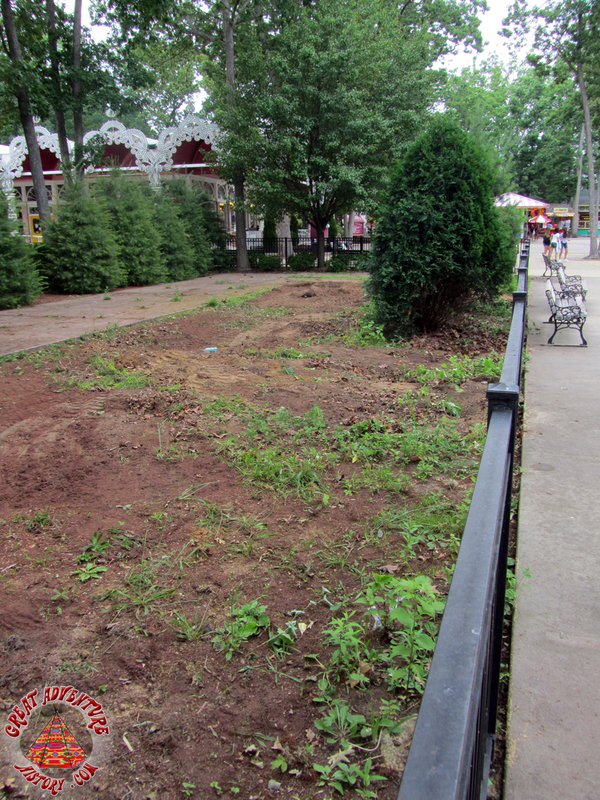 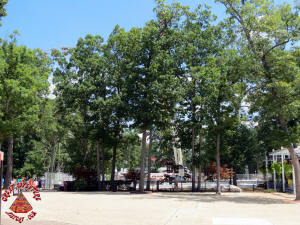 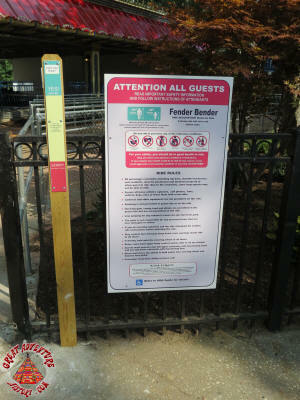 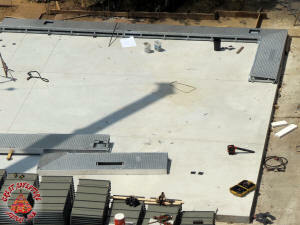 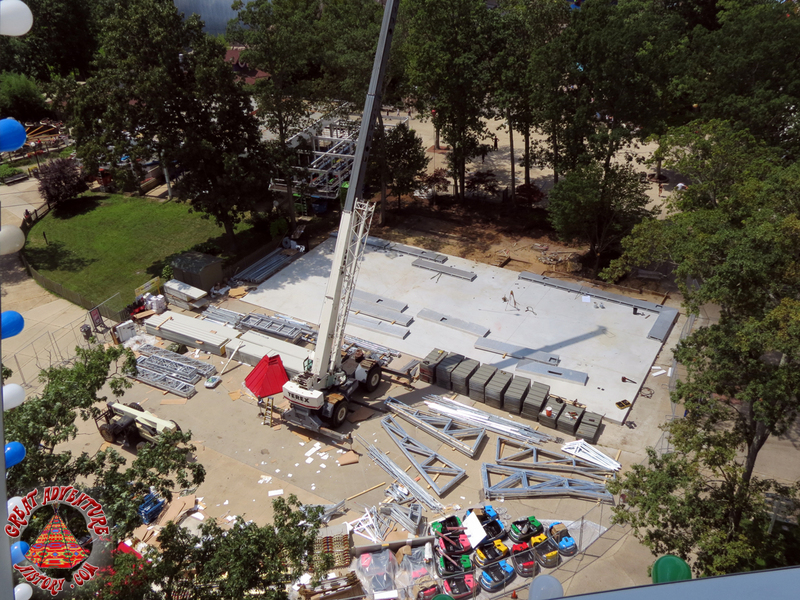 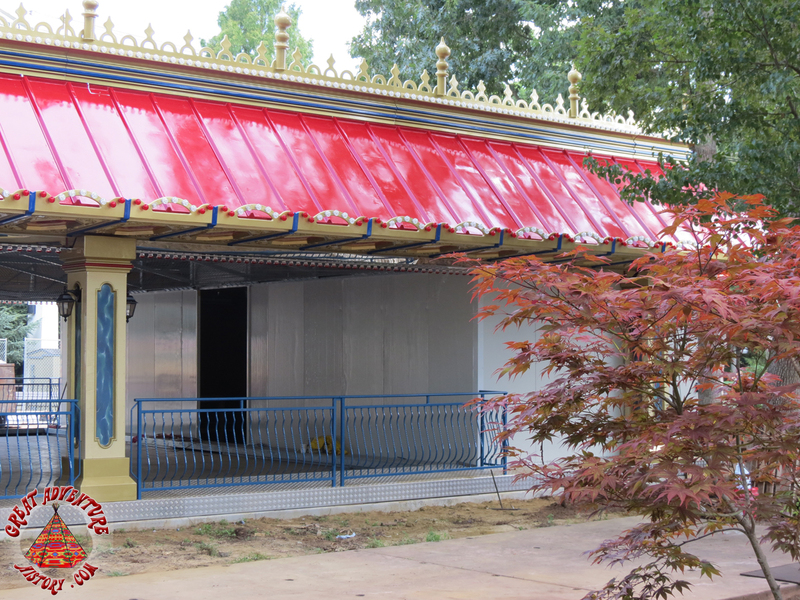 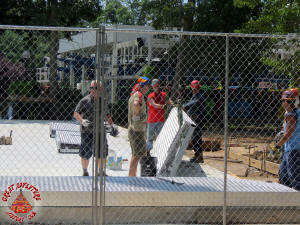 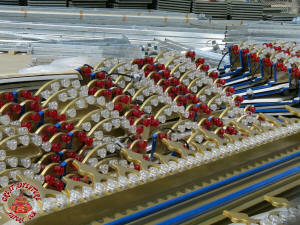 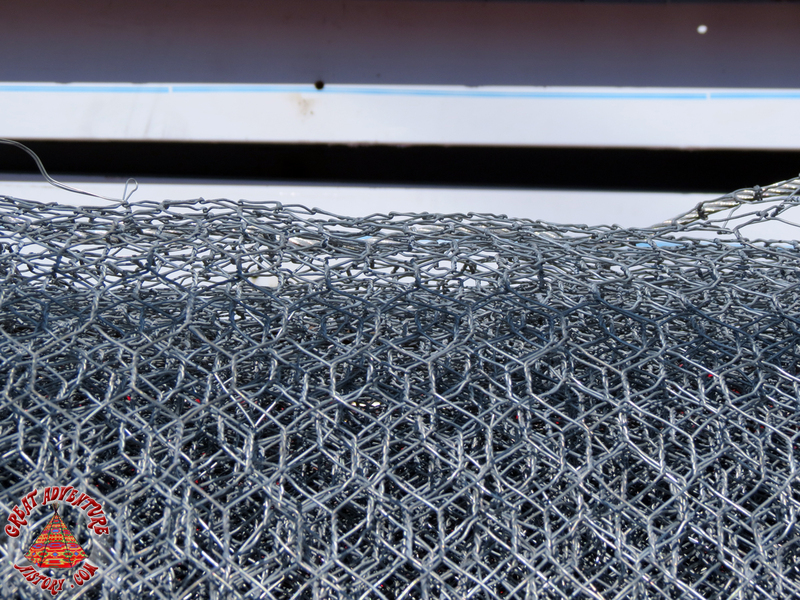 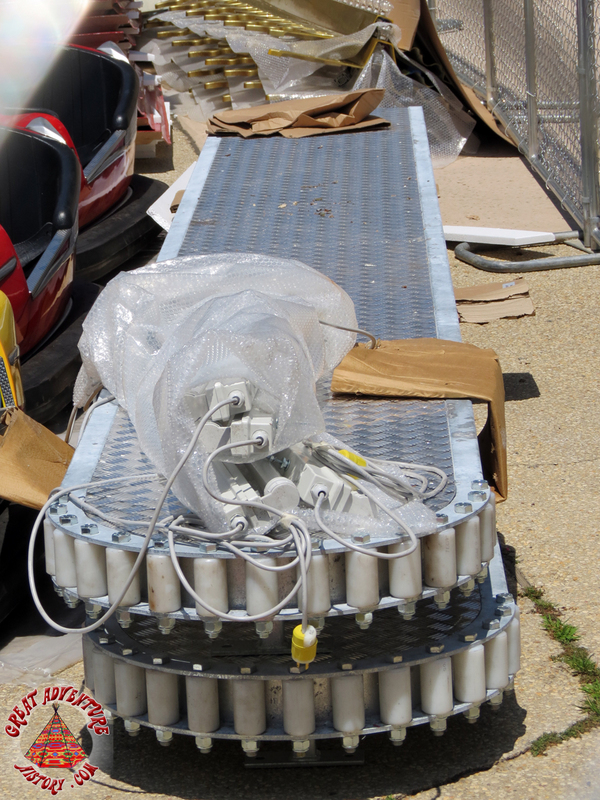 Site preparations began in late spring for the arrival of the new Fender Benders ride. 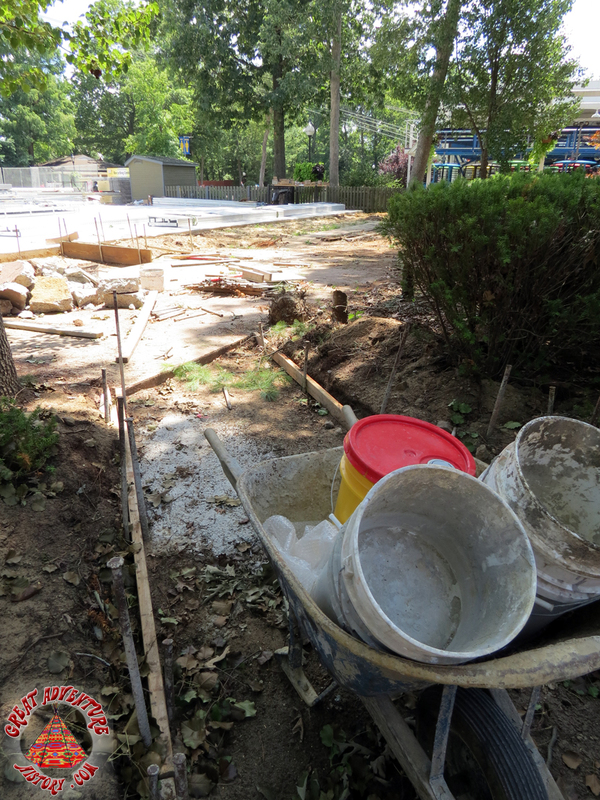 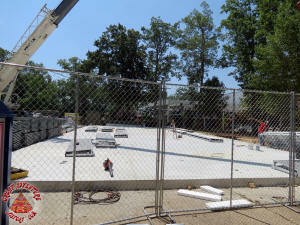 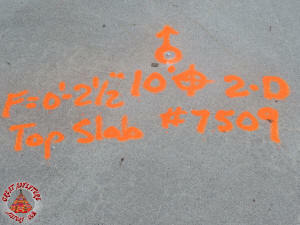 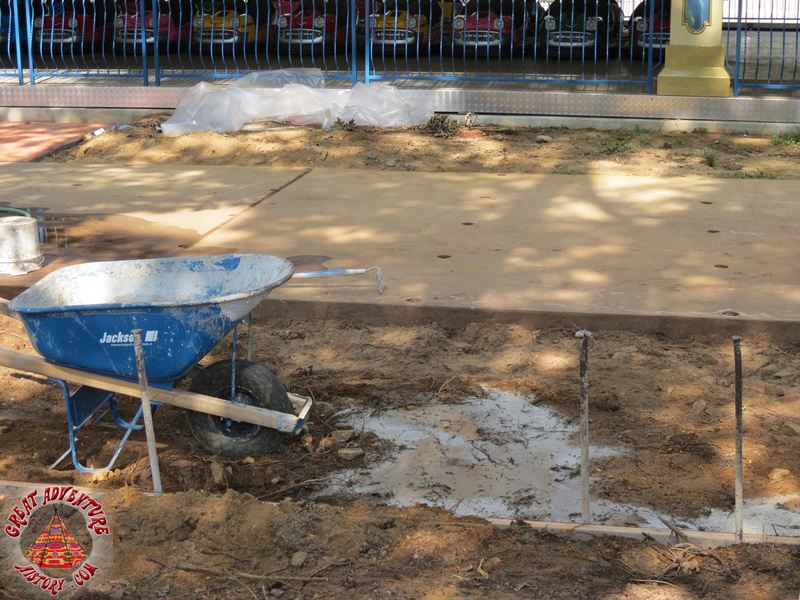 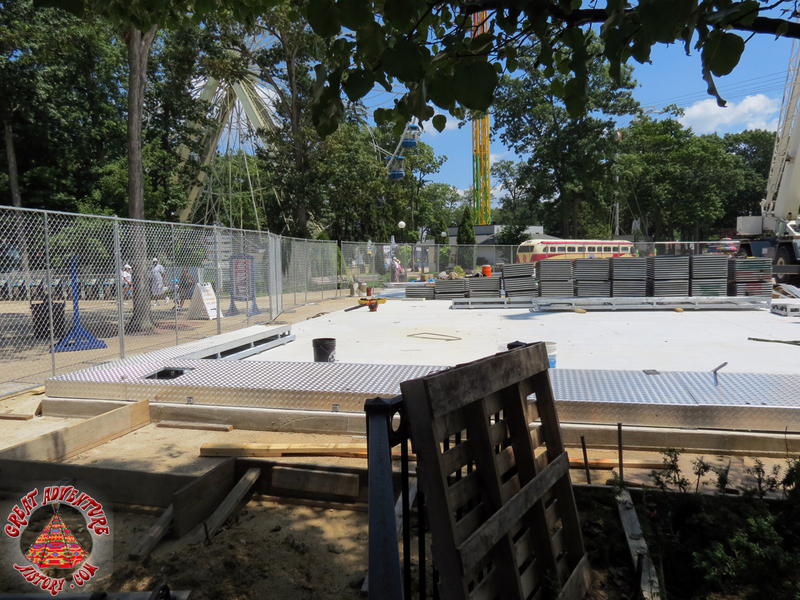 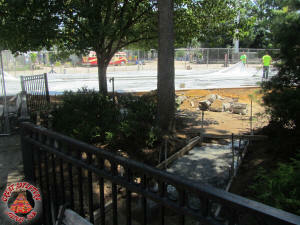 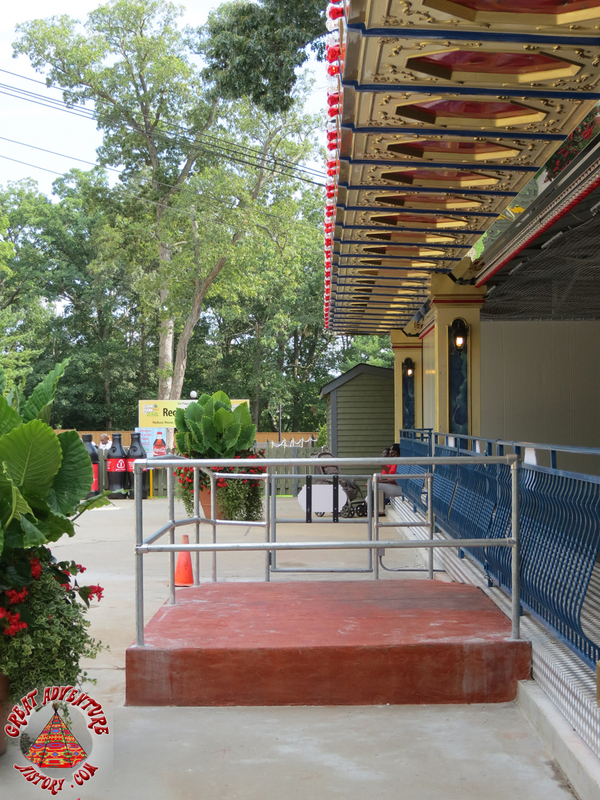 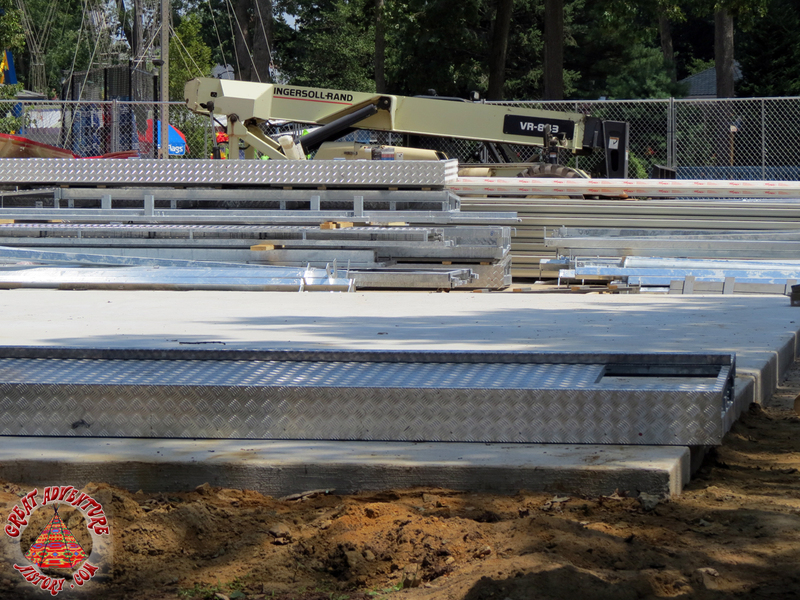 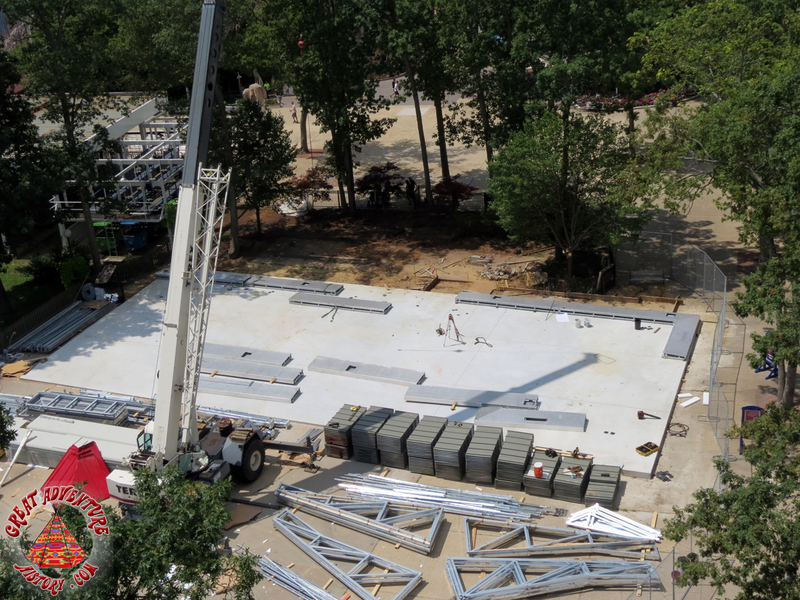 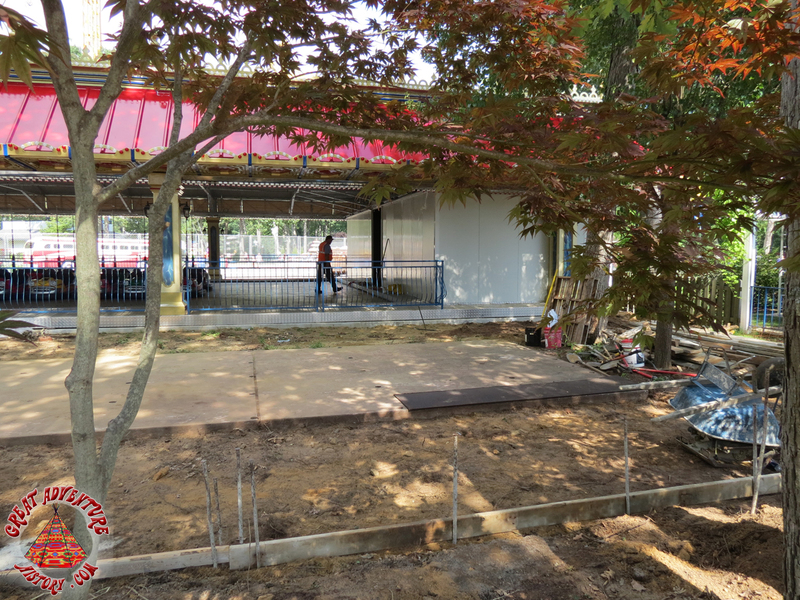 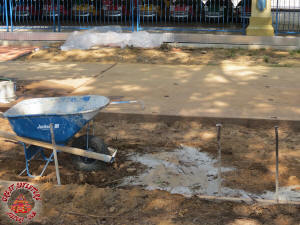 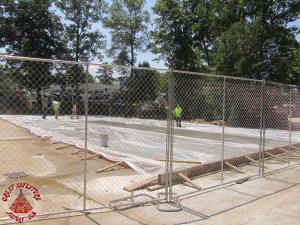 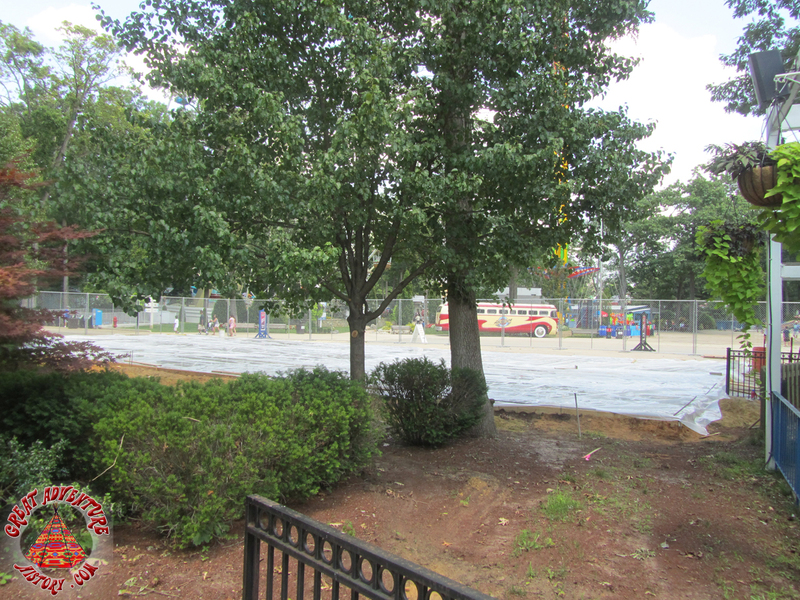 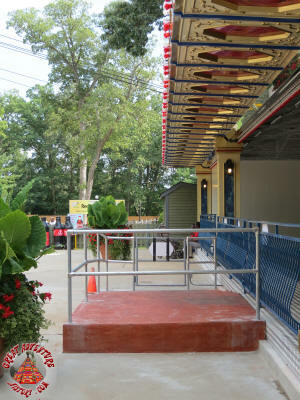 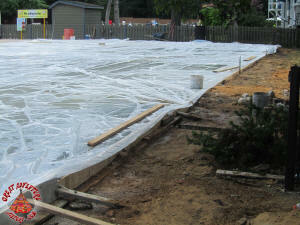 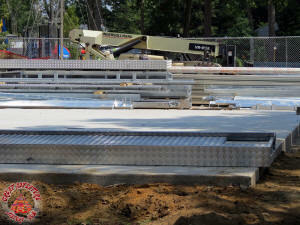 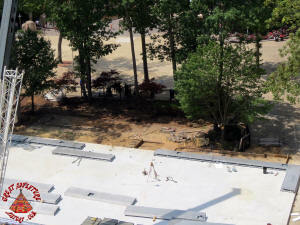 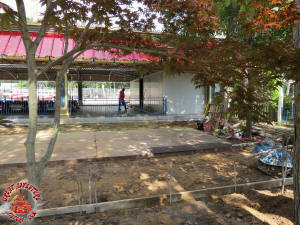 A new concrete pad was poured for the ride building to be assembled upon adjacent to the nearby Granny's restaurant. 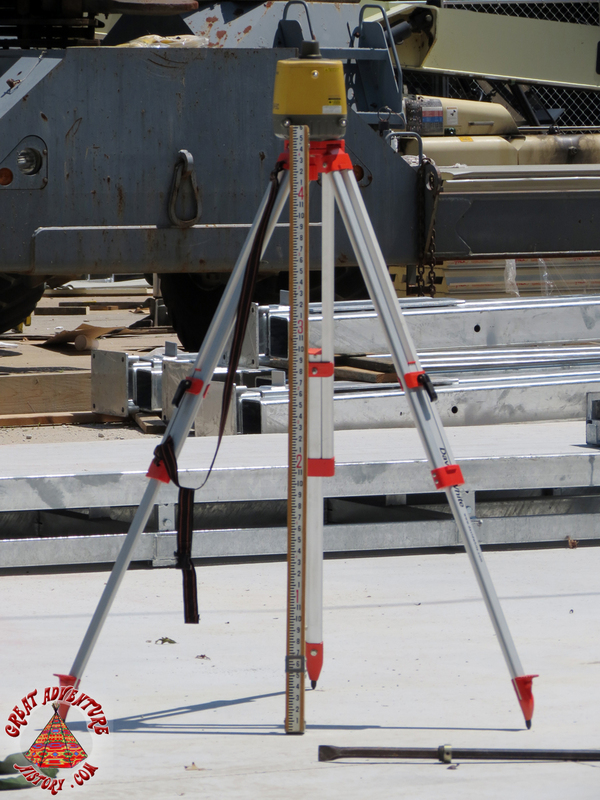 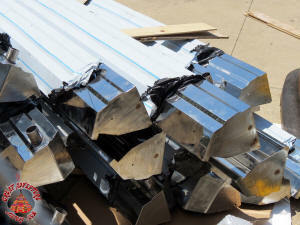 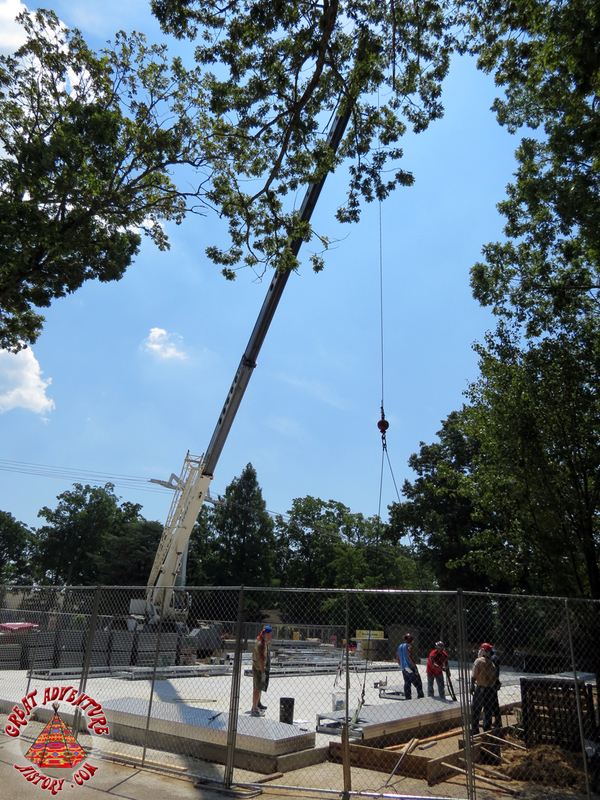 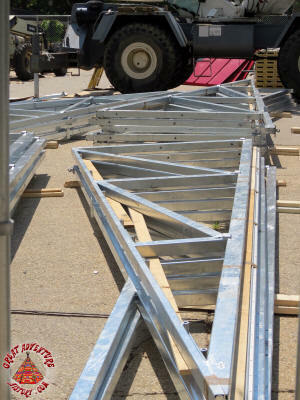 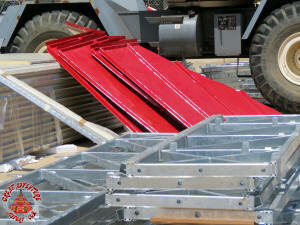 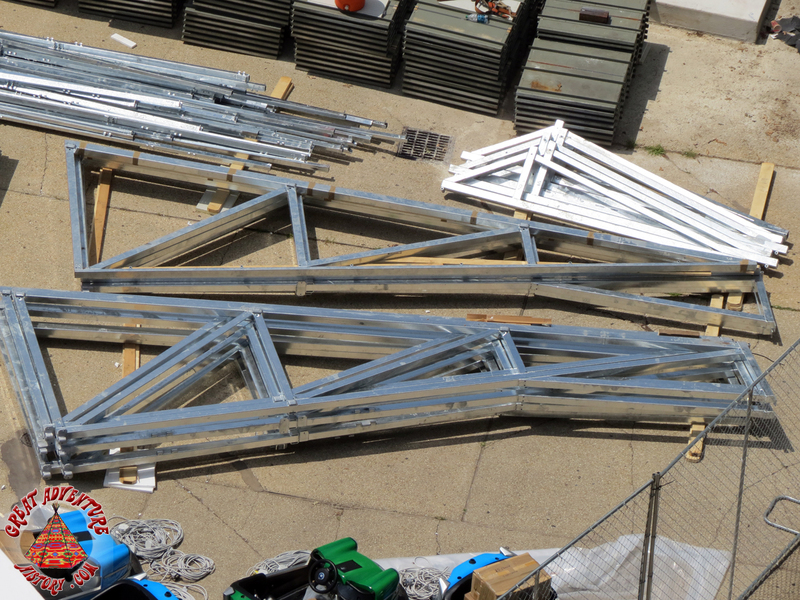 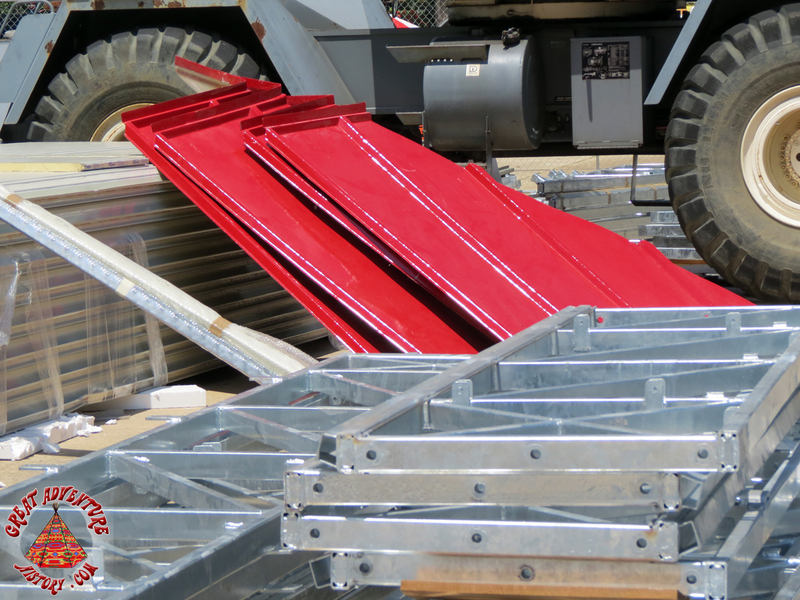 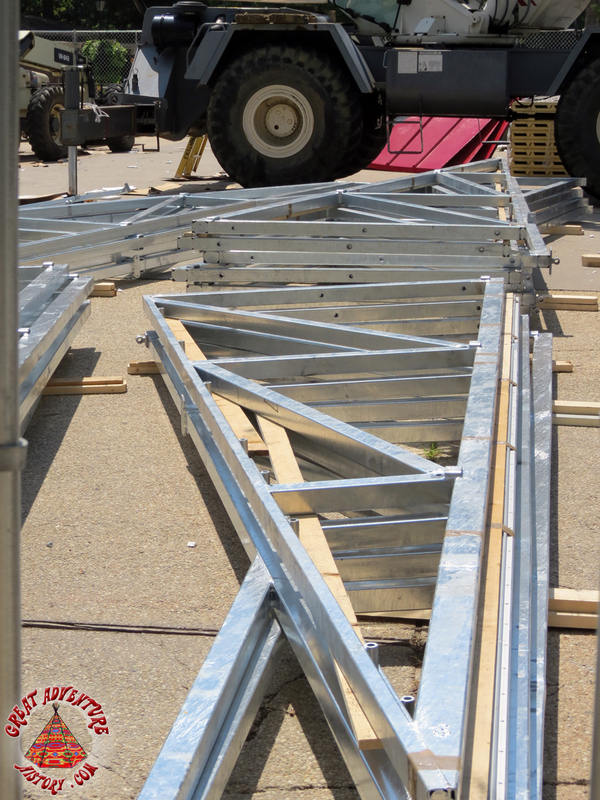 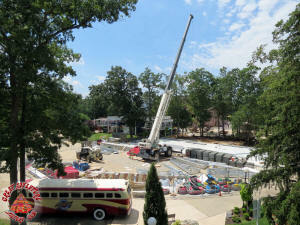 The parts of the new building began to arrive towards the end of July and assembly began shortly thereafter. The new building was designed in a very classic style, reflecting the lights and scrolls of the neighboring Granny's restaurant. 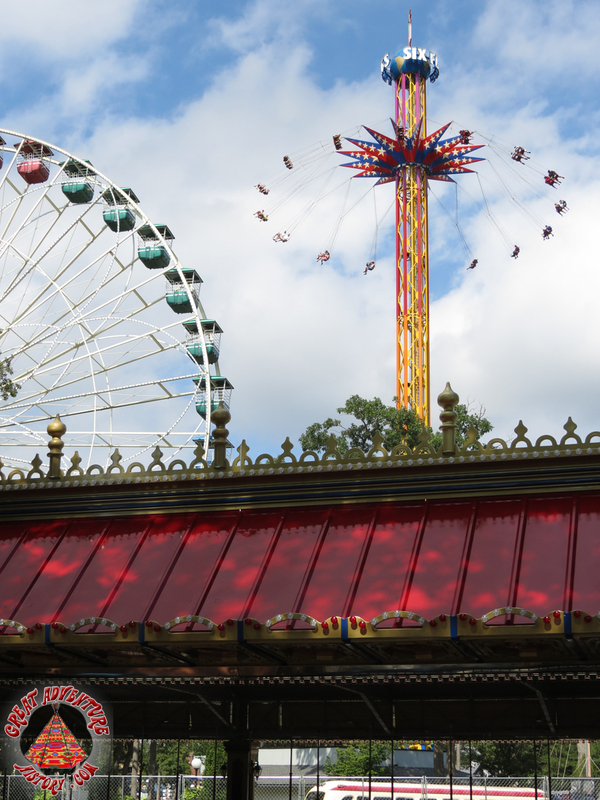 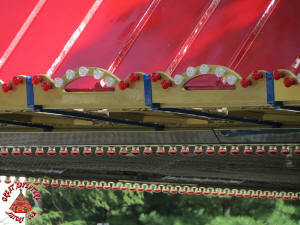 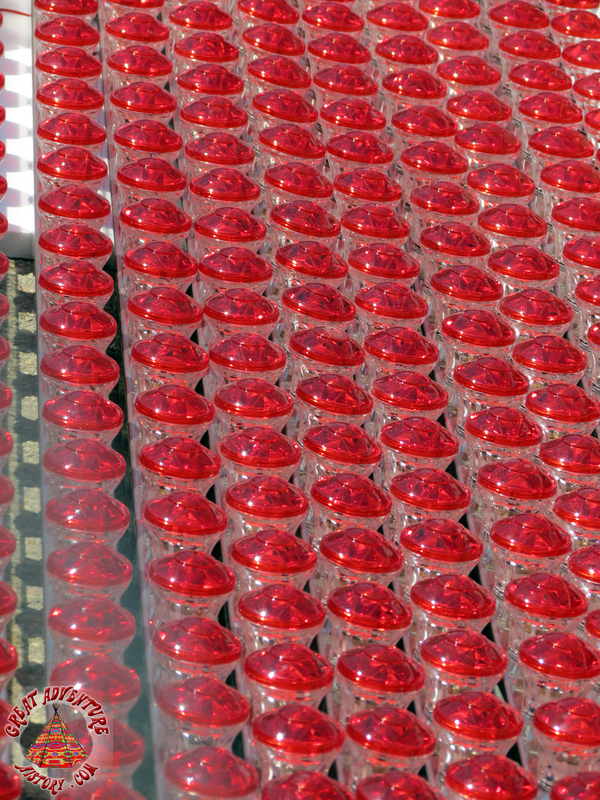 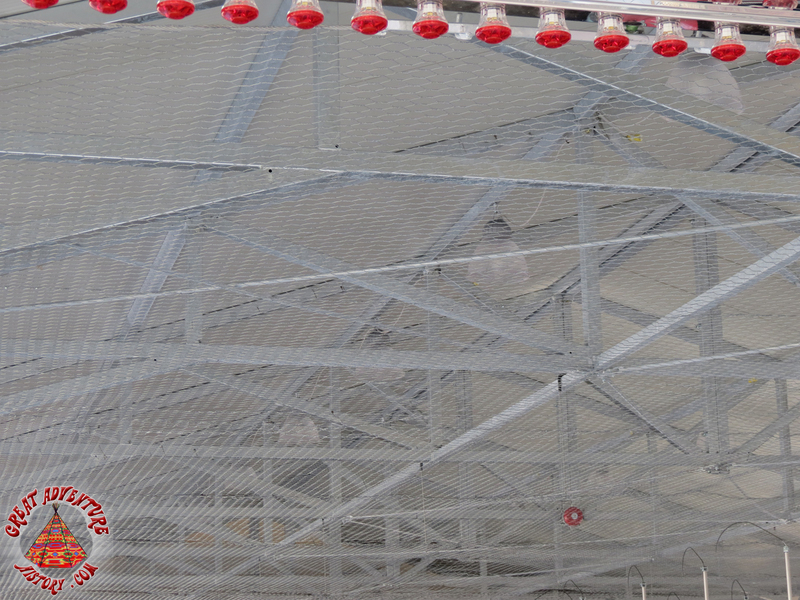 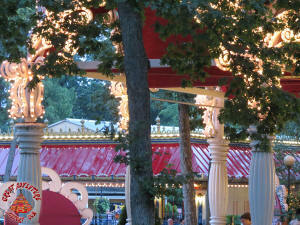 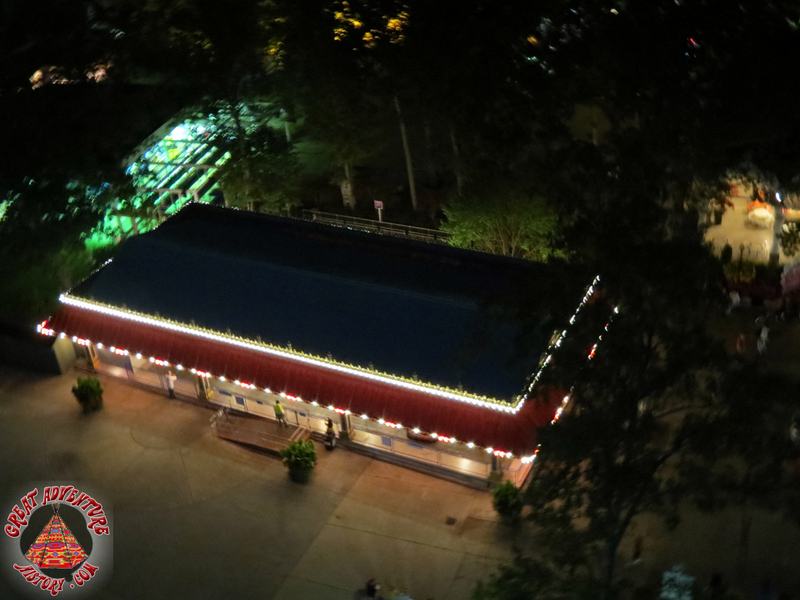 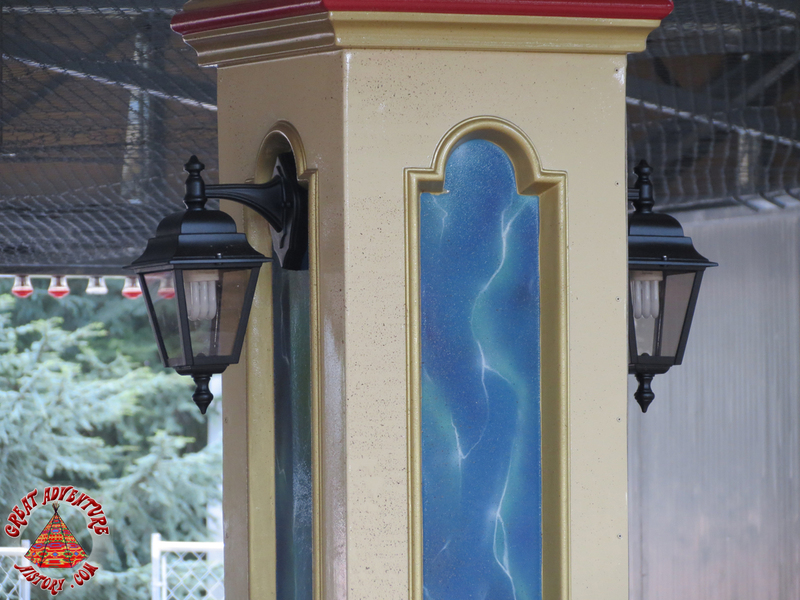 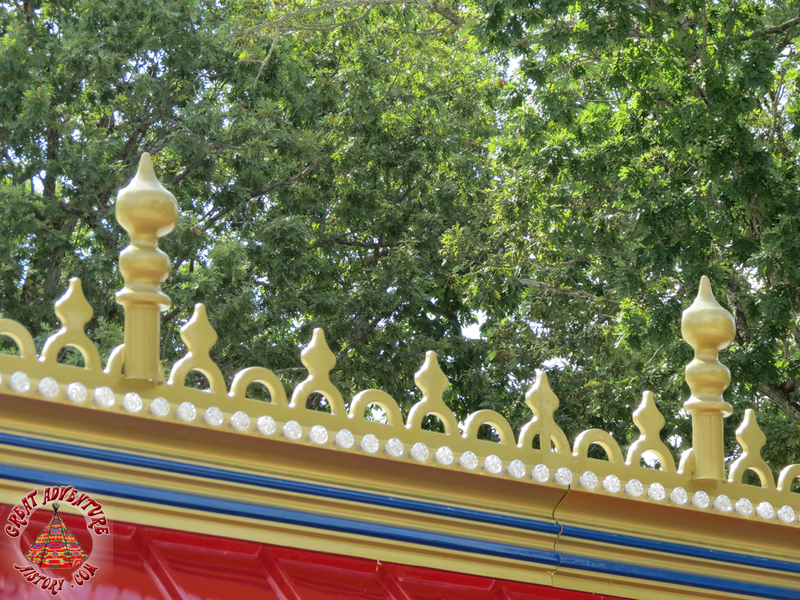 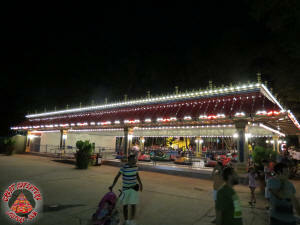 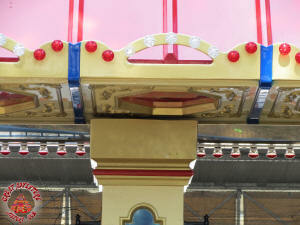 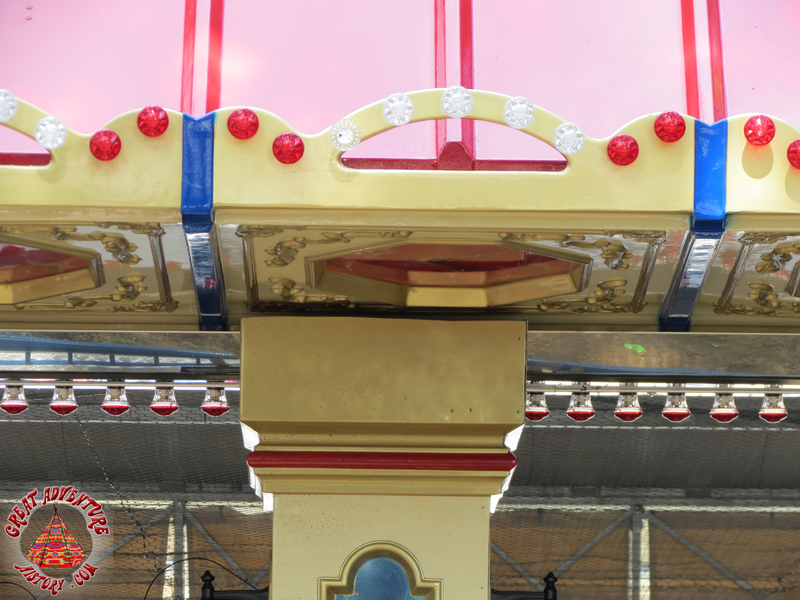 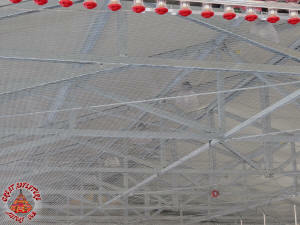 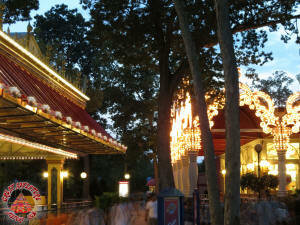 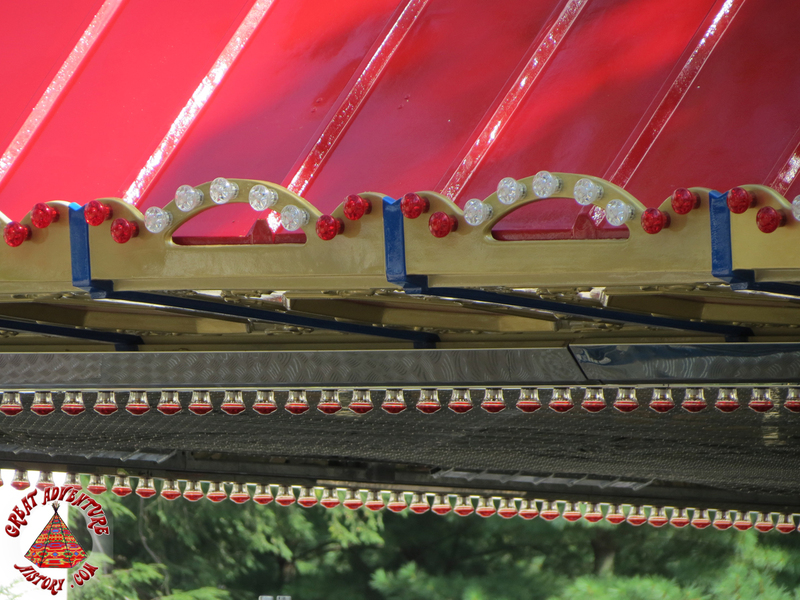 The red and white lights atop the ride would add a much missed nighttime attraction for the area. 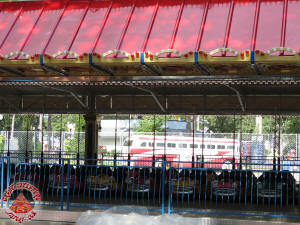 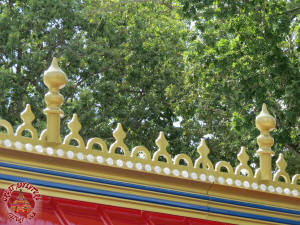 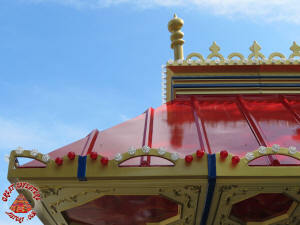 In the 1970's, guests would spend hours enjoying the rides in the colorful glimmering Strawberry Fair section of the park that occupied the same footprint as the new Adventure Alley region. 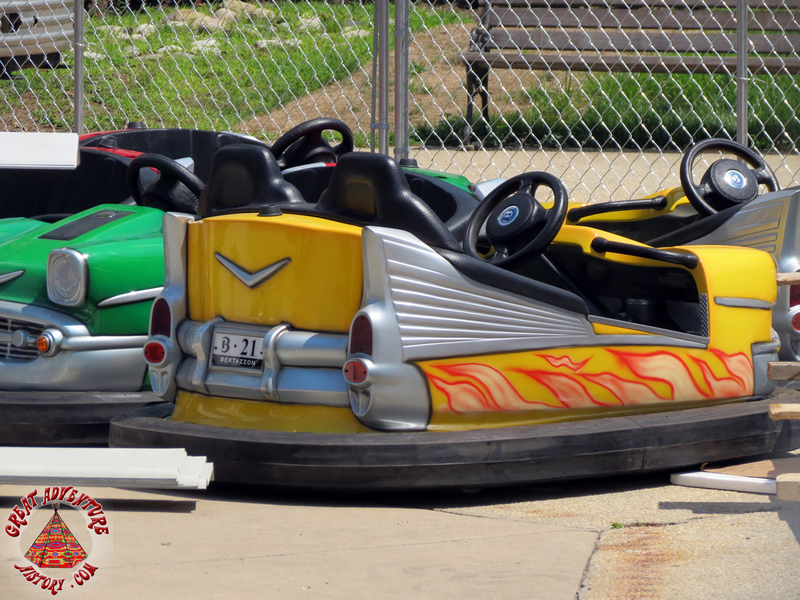 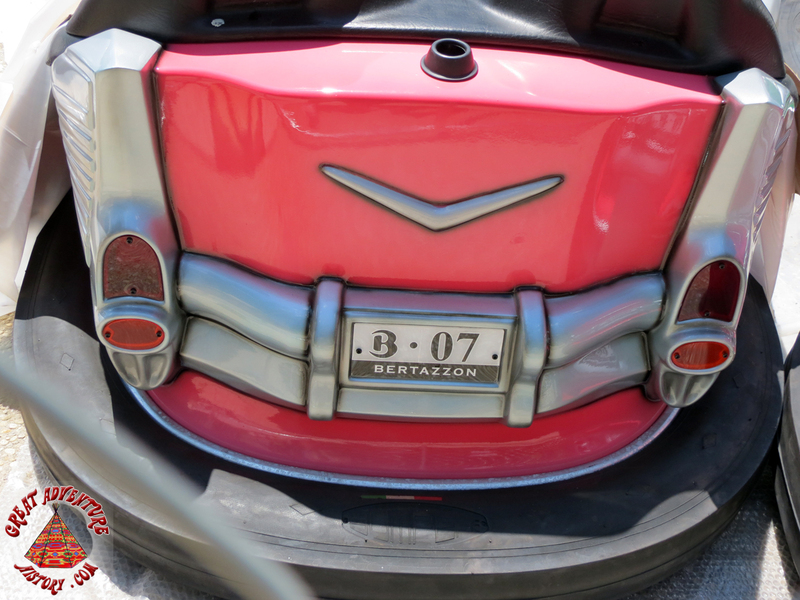 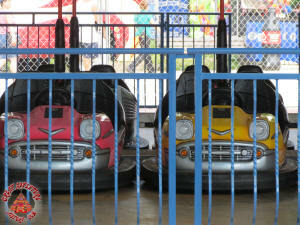 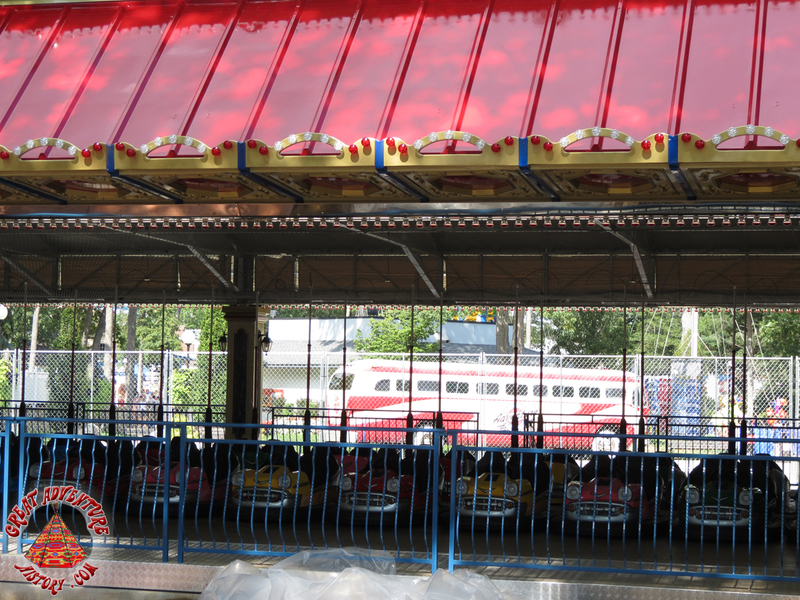 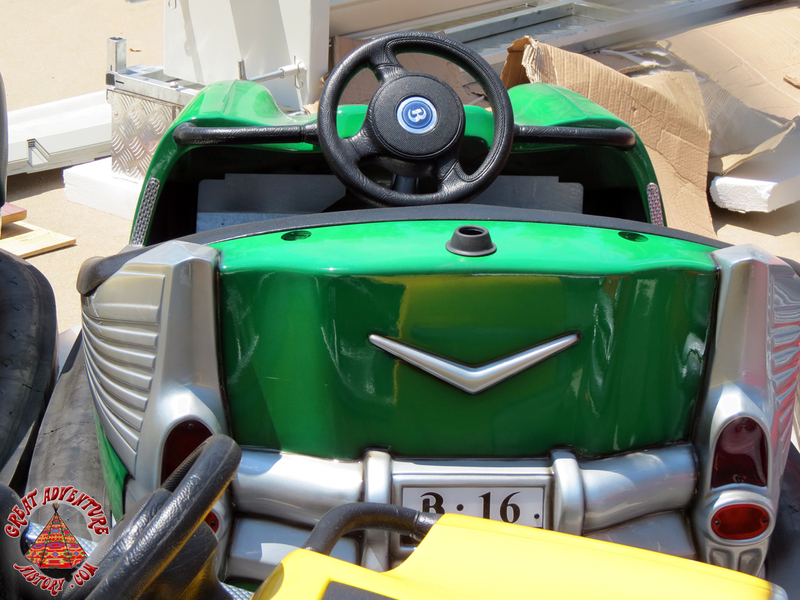 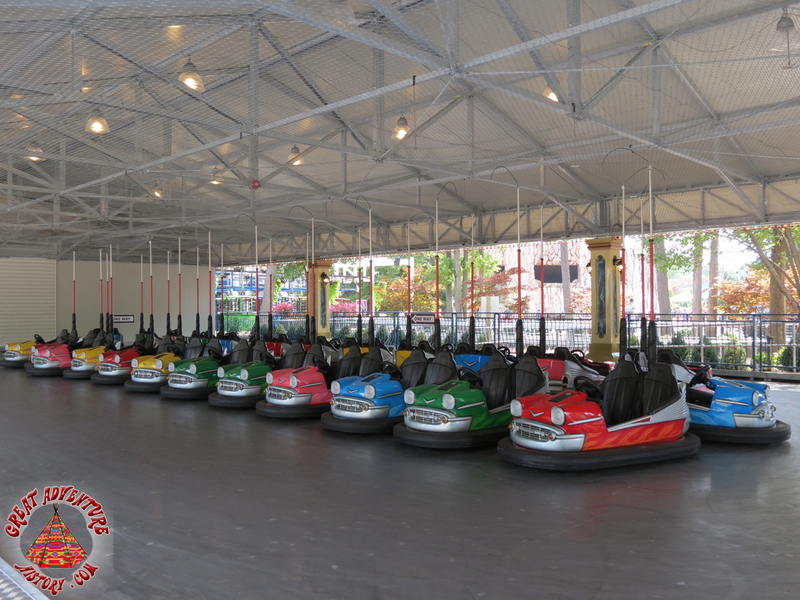 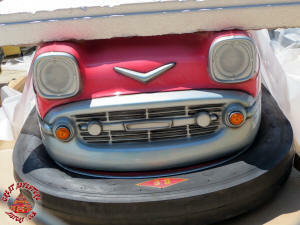 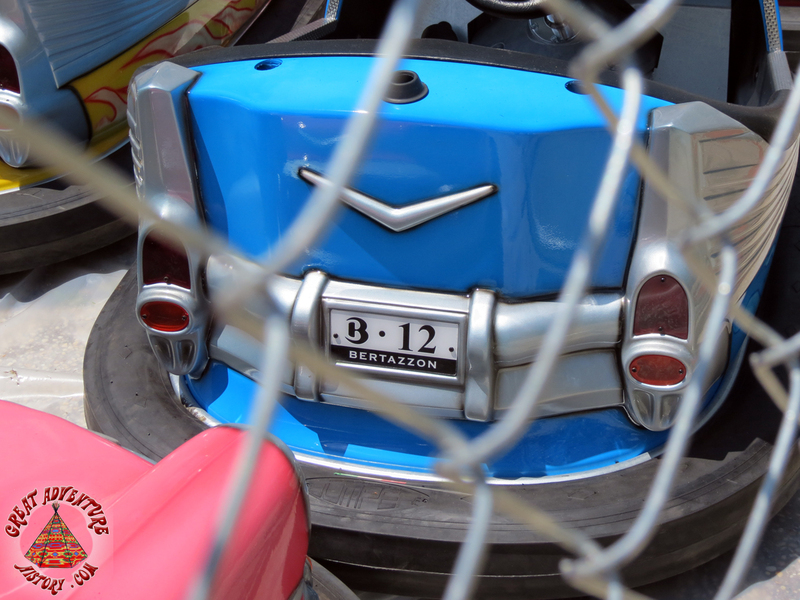 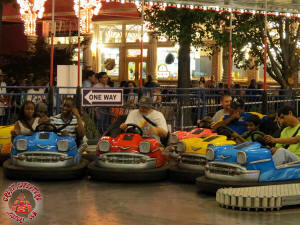 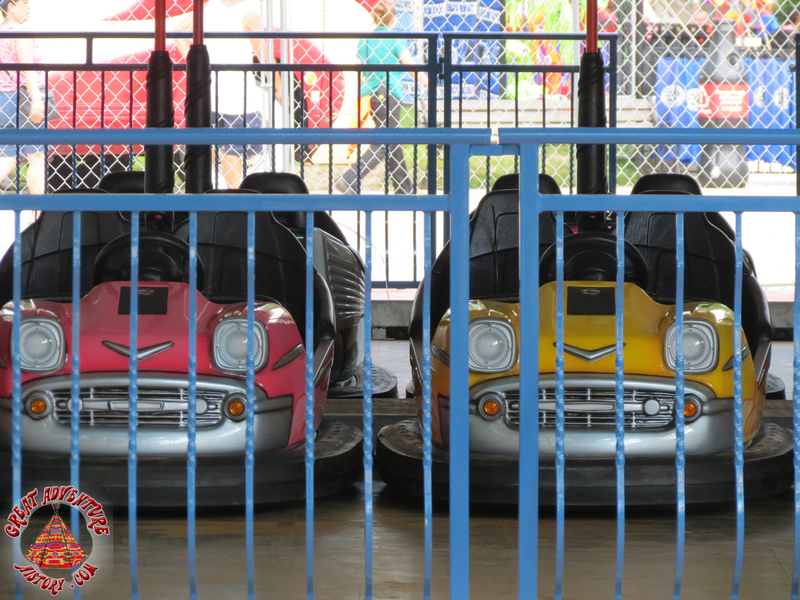 The classically styled bumper cars that were part of the ride were made to resemble the cars of the late 1950's and early 1960's with fins and lots of decorative accents. 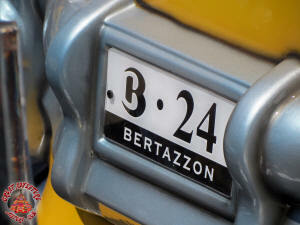 Each of the 25 cars had a numbered license plate featuring the car number as well as the name of the ride's manufacturer. 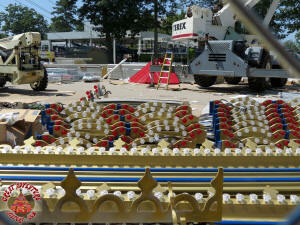 As the end of July approached, the ride neared completion. 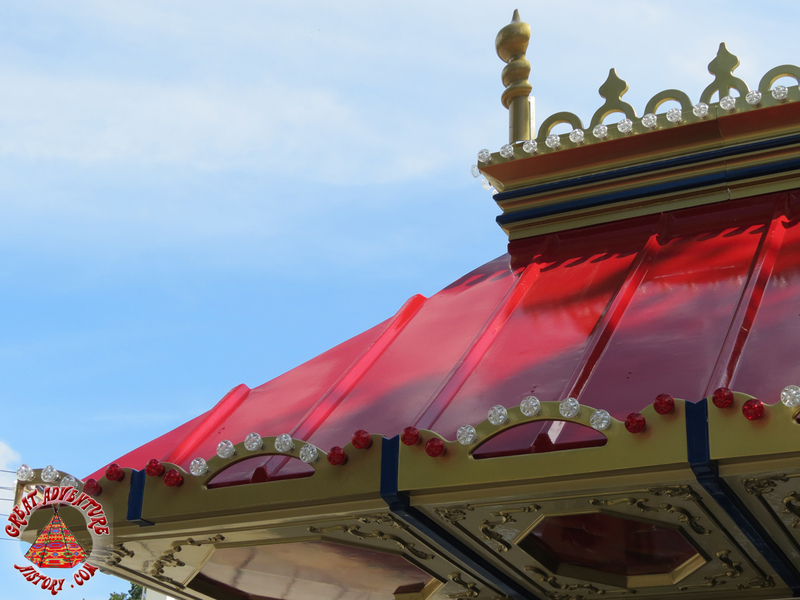 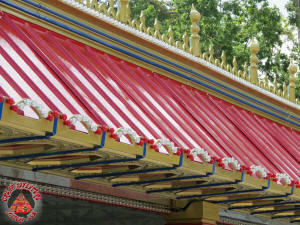 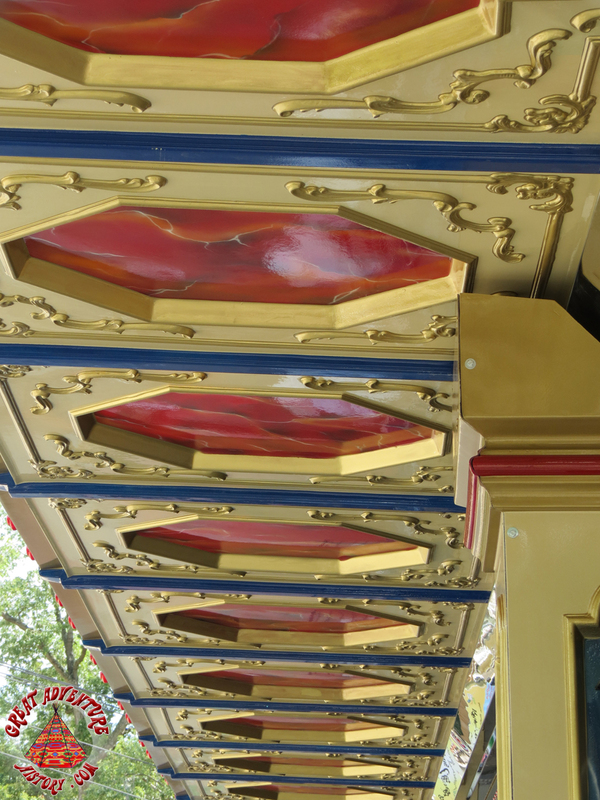 The classic, colorful details of the ride fit the style of the surrounding area beautifully. 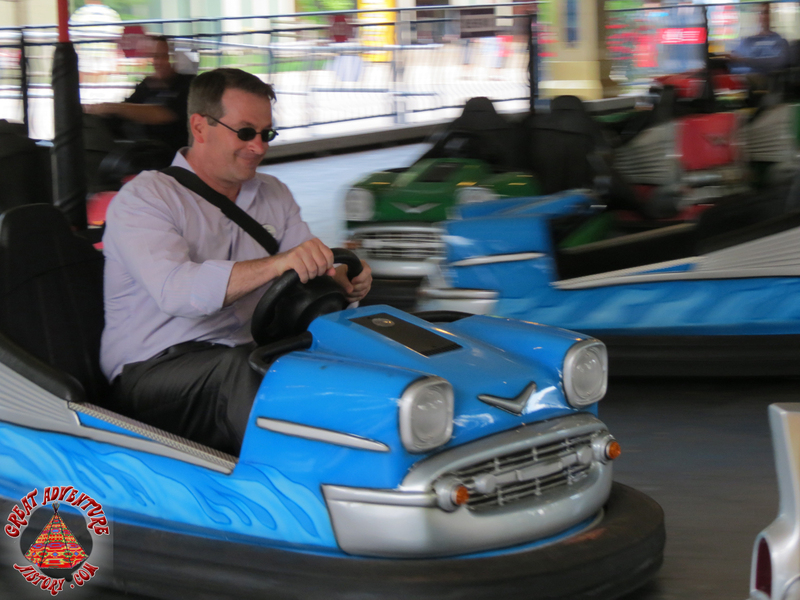 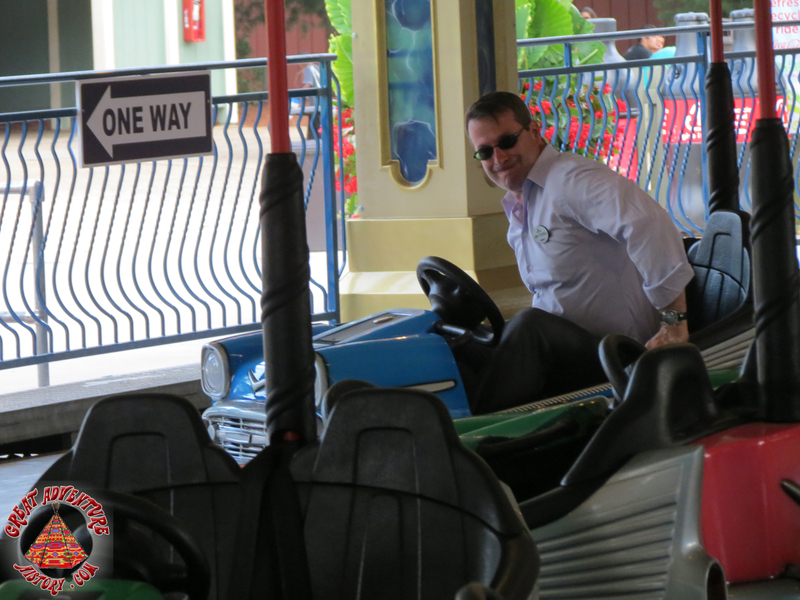 In the first week of August, the first riders got to test out the new ride, including park president John Fitzgerald. 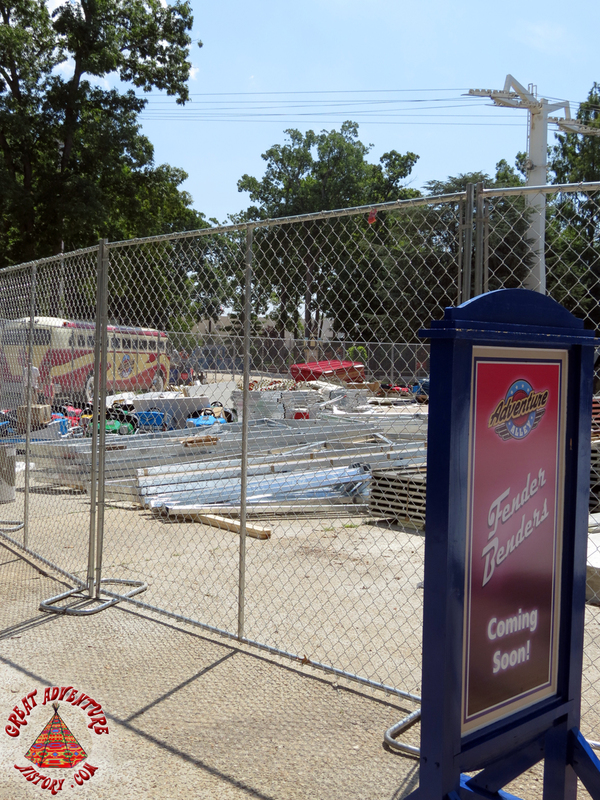 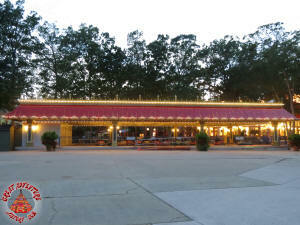 As final training and adjustments were made, Fender Benders was finally ready to open just a few days later. 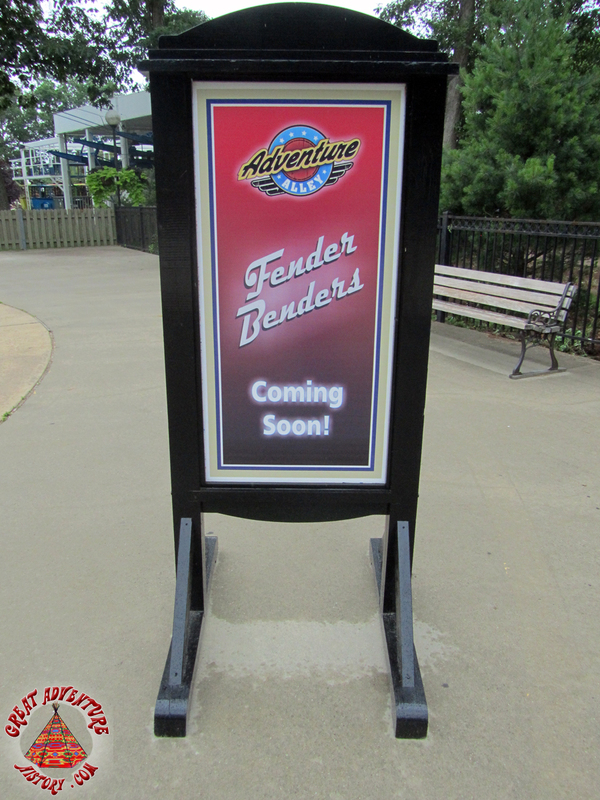 The new Fender Benders ride was an immediate hit with guests, bringing back a classic ride that had been missed by many guests. 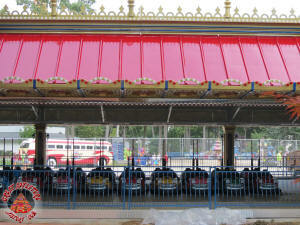 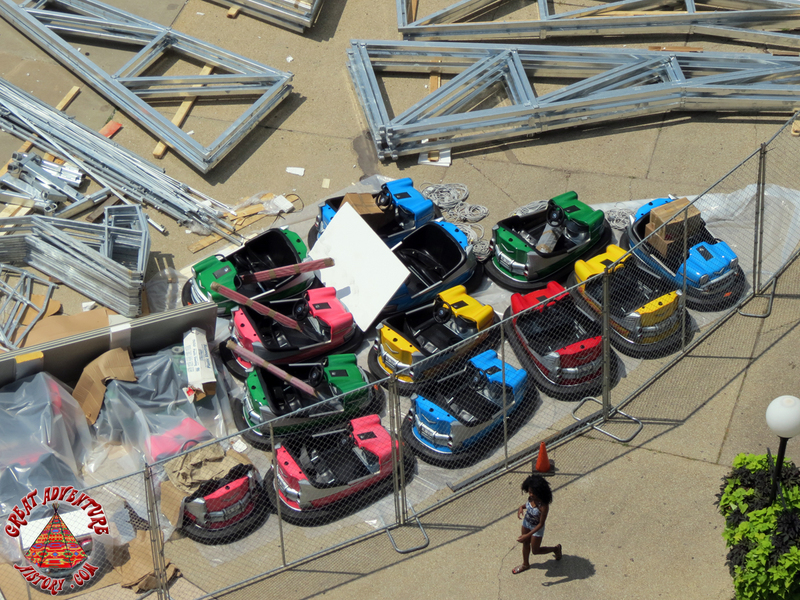 The new ride added color and movement to what had been a desolate area of the park. 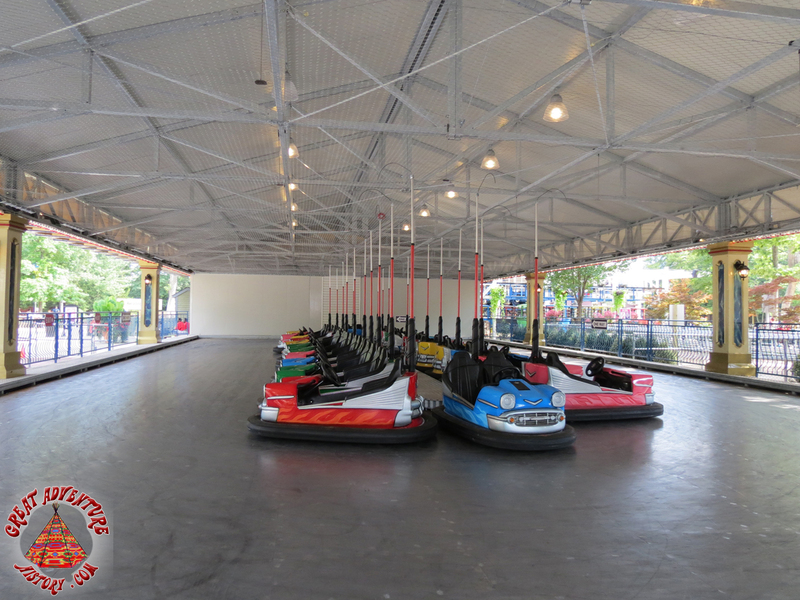 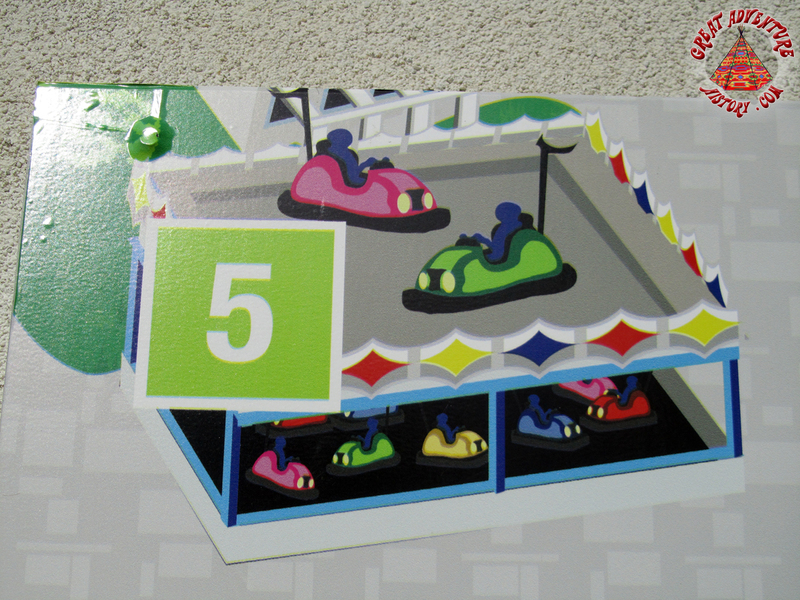 The shiny new ride featured all the classic elements, but being a brand new ride offered better reliability and safety than any of the other bumper car rides the park had in the past. 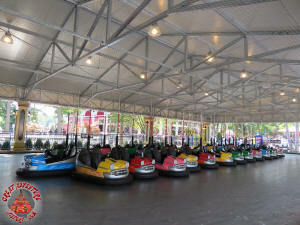 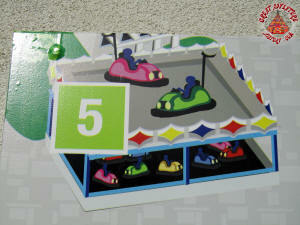 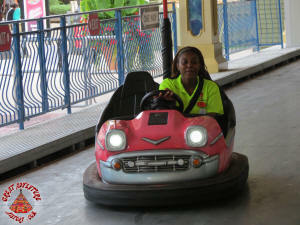 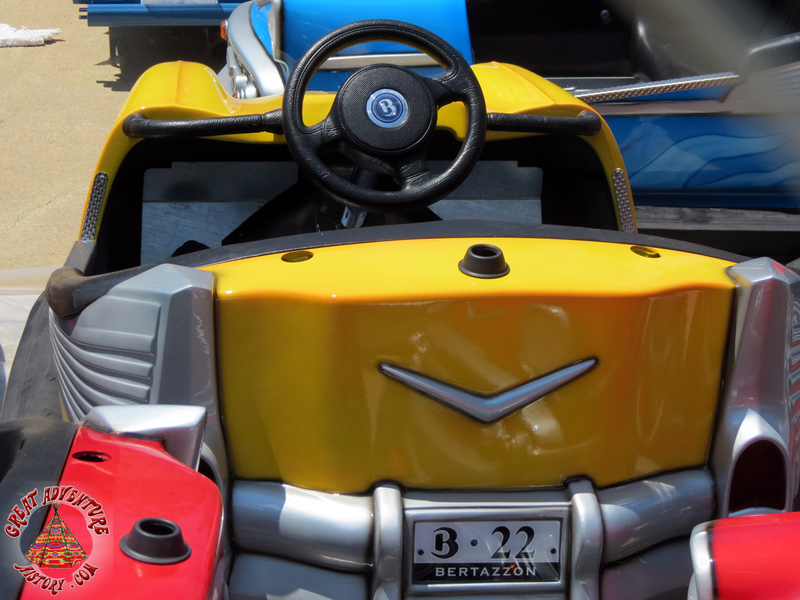 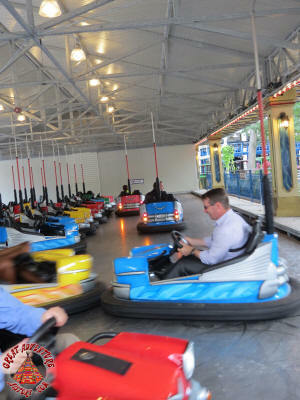 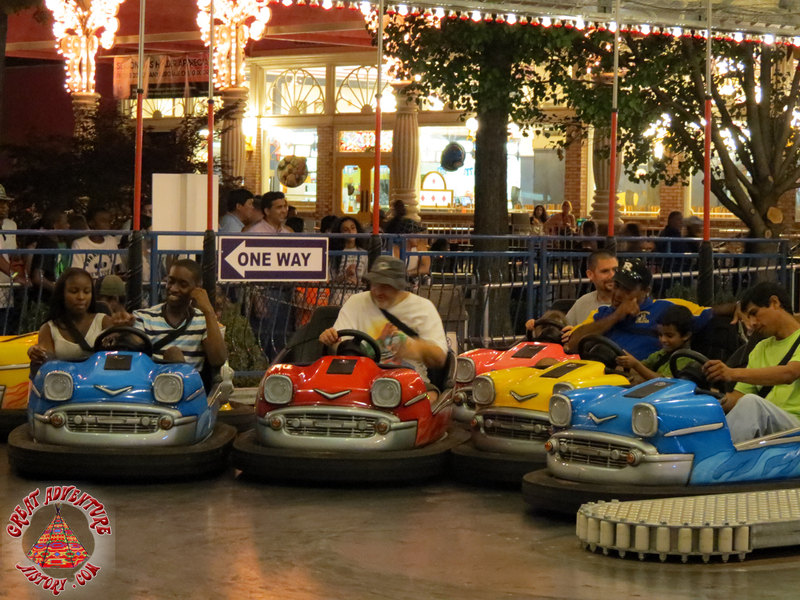 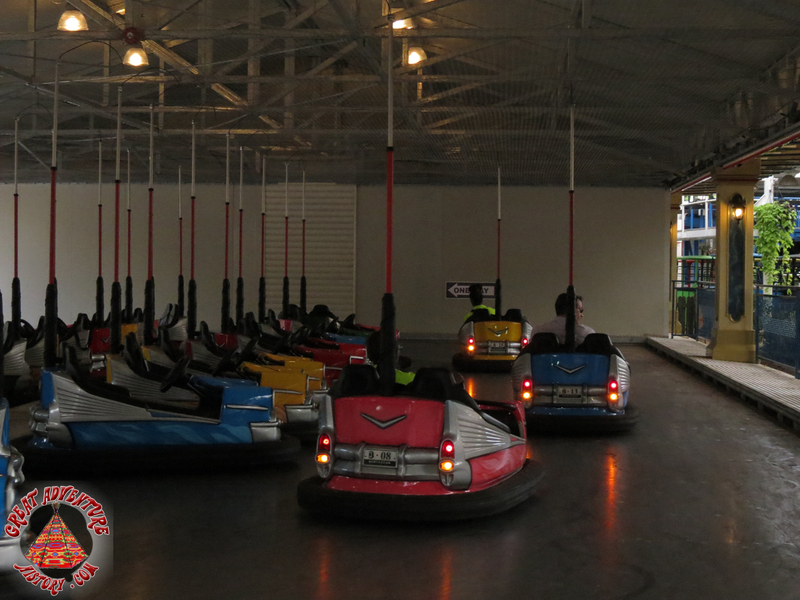 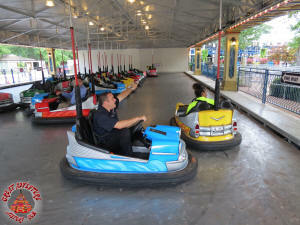 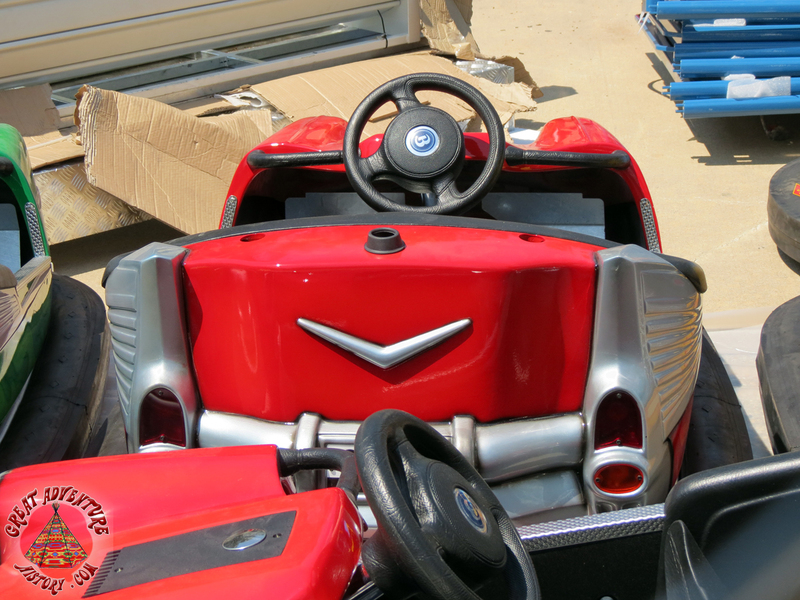 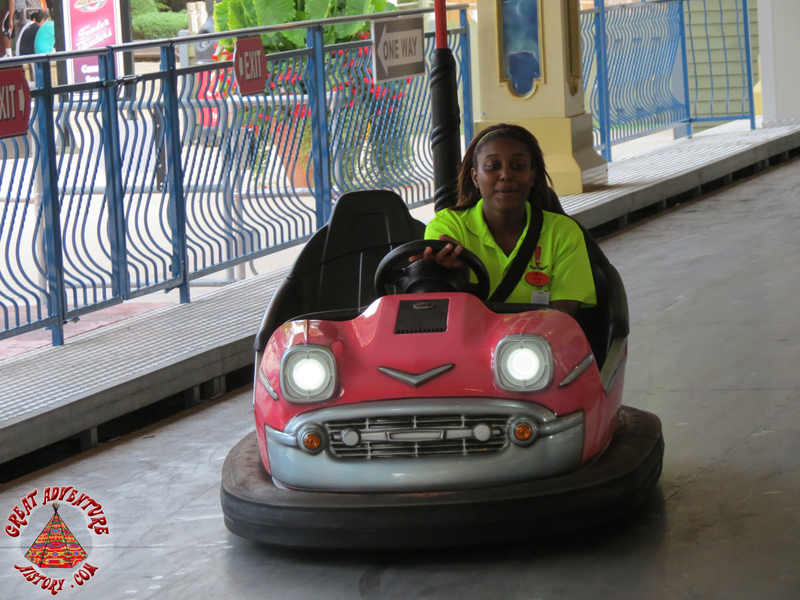 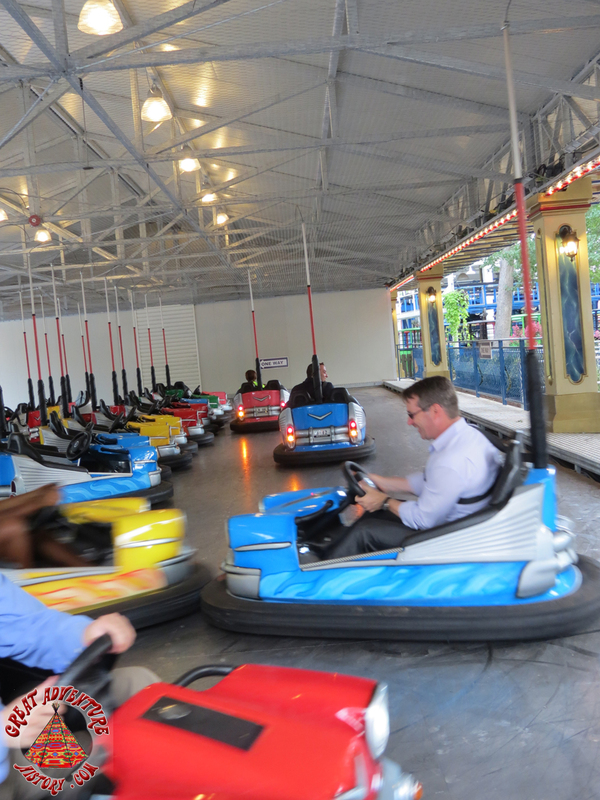 A new generation of riders could now discover the classic fun of the bumper cars.